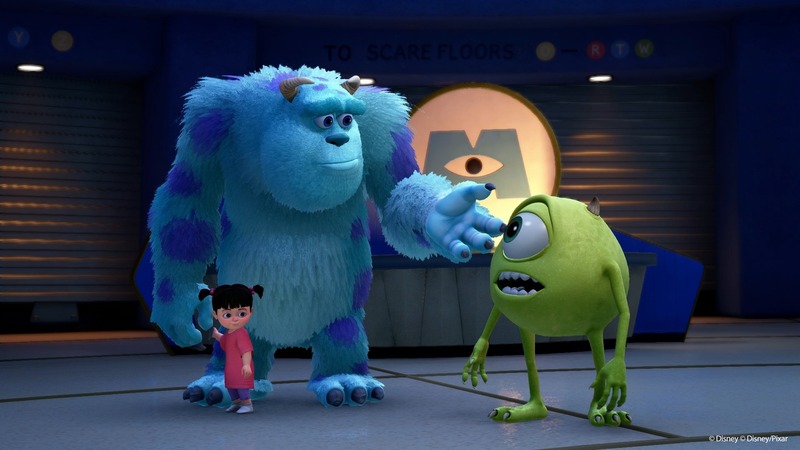 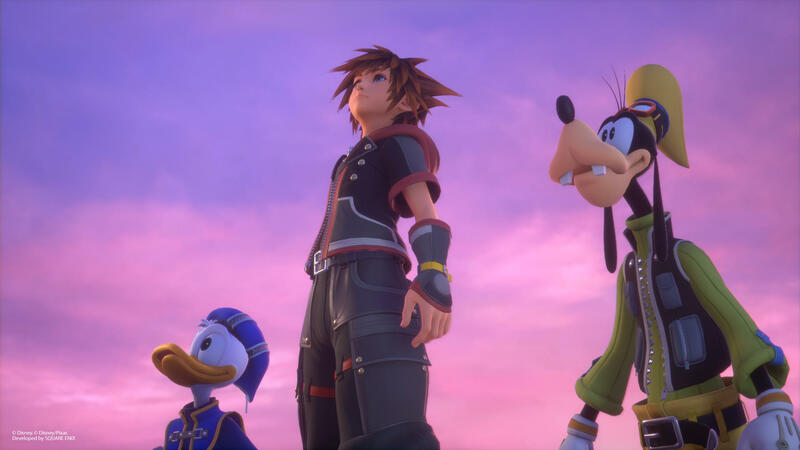 Kingdom Hearts III is the next generation take on the series. 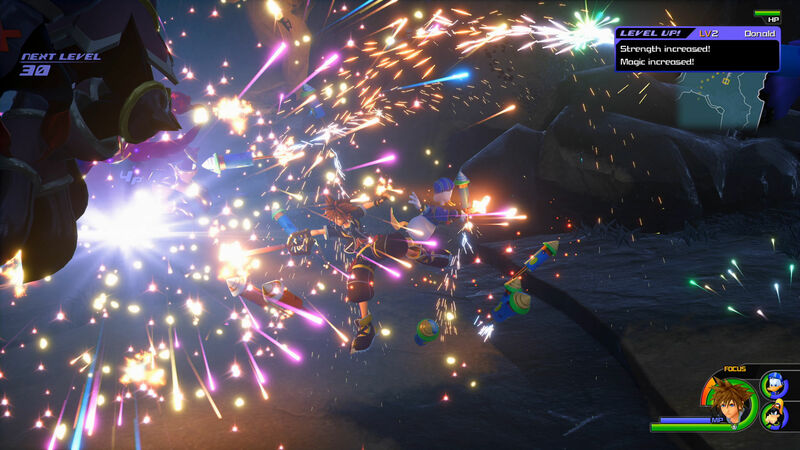 After many years and a multitude of side entries and remasters, Kingdom Hearts III is finally here. 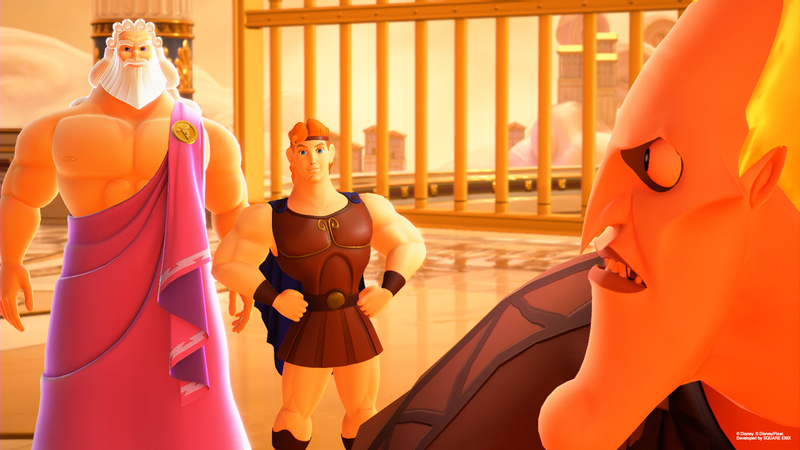 There are a lot of threads to tie up, but still plenty of time to go gallivanting around Disney worlds. 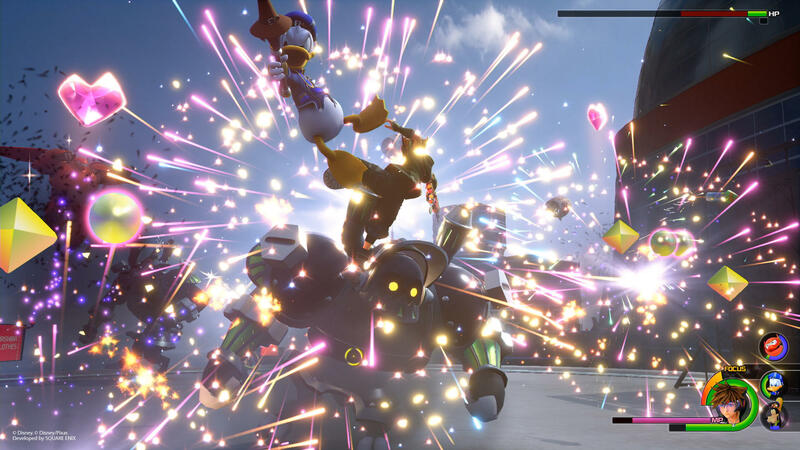 Kingdom Hearts III is available now after a long, long wait. 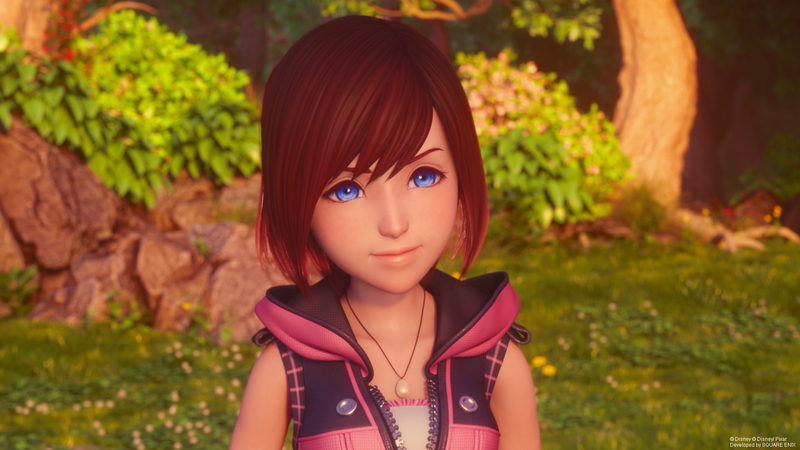 For those looking to hop in now, or needing a quick refresher, Square Enix has a series of videos to get everyone caught up. 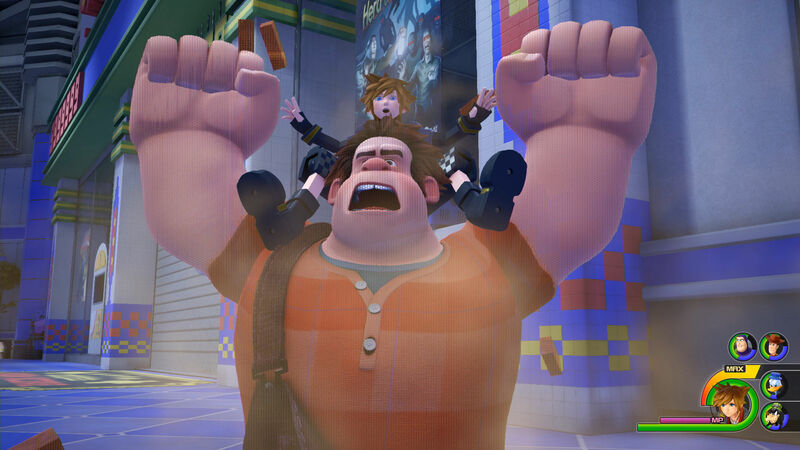 Kingdom Hearts III is finally set to release in just a few days. 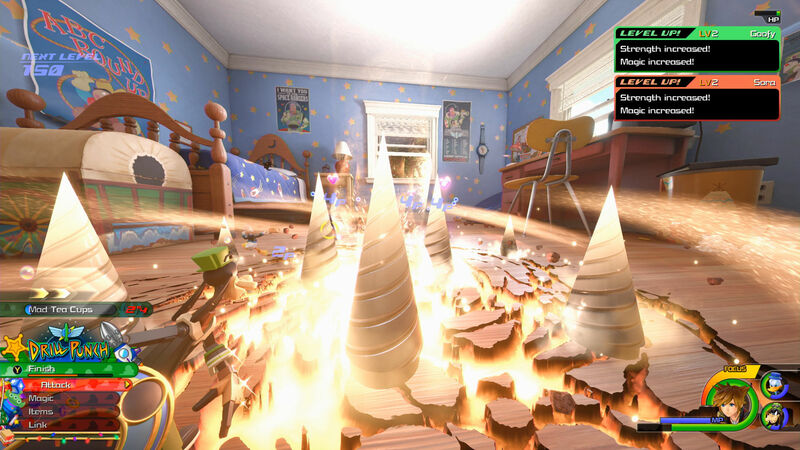 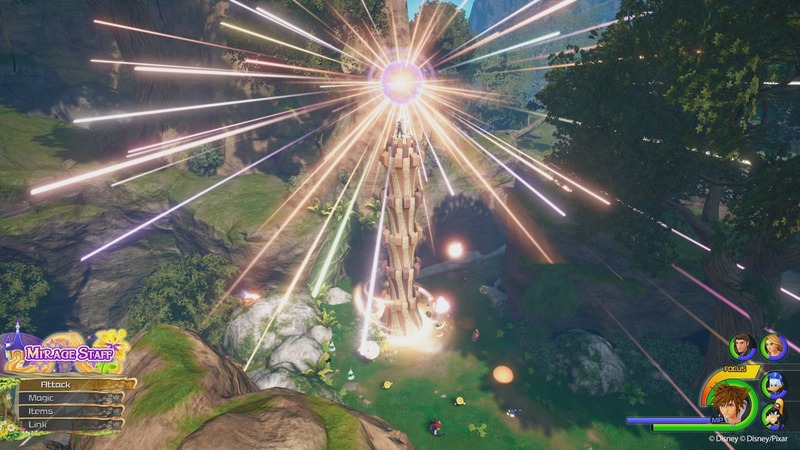 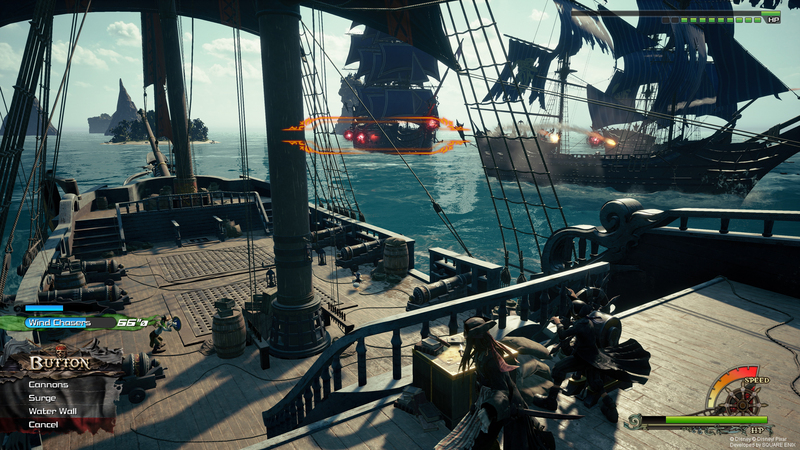 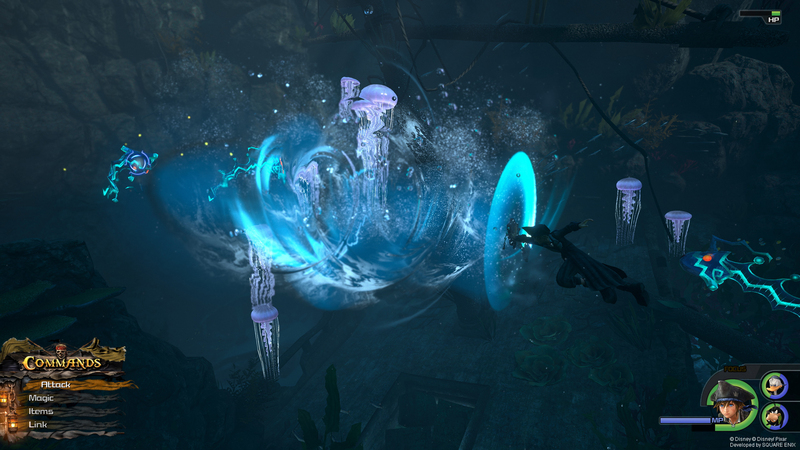 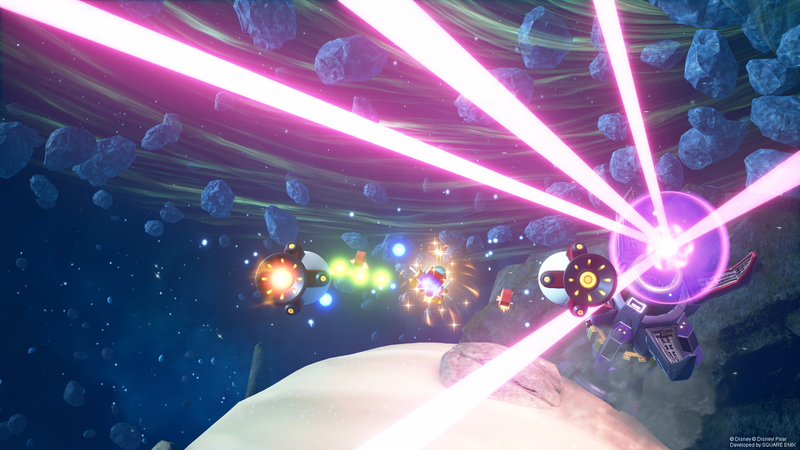 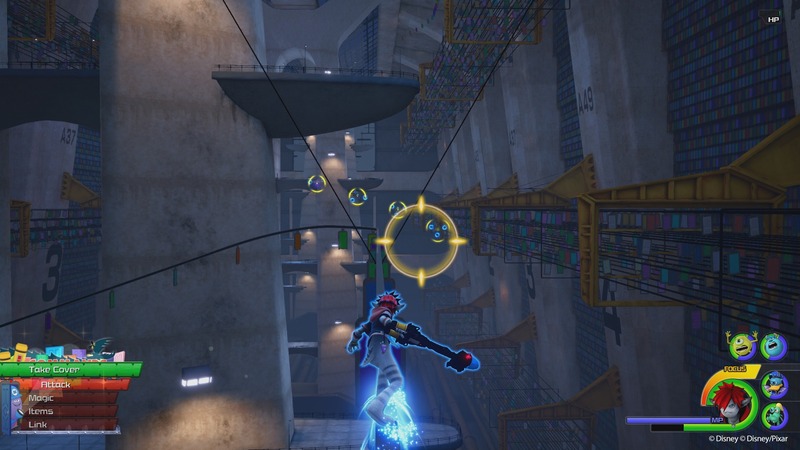 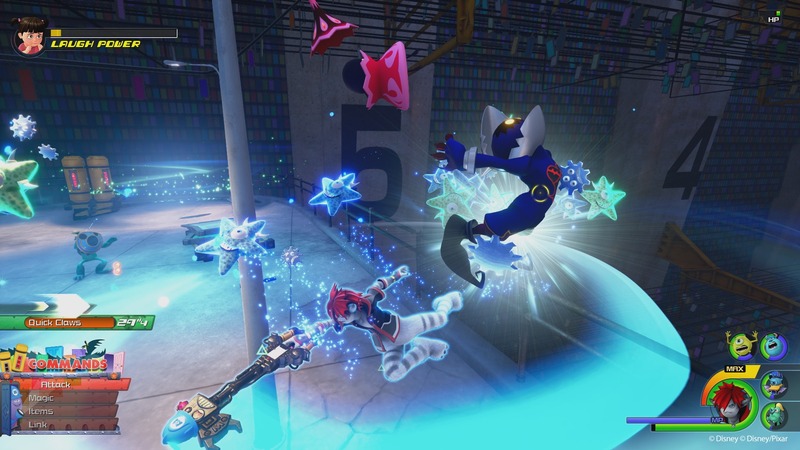 A new trailer highlights some of the gameplay additions in this latest entry. 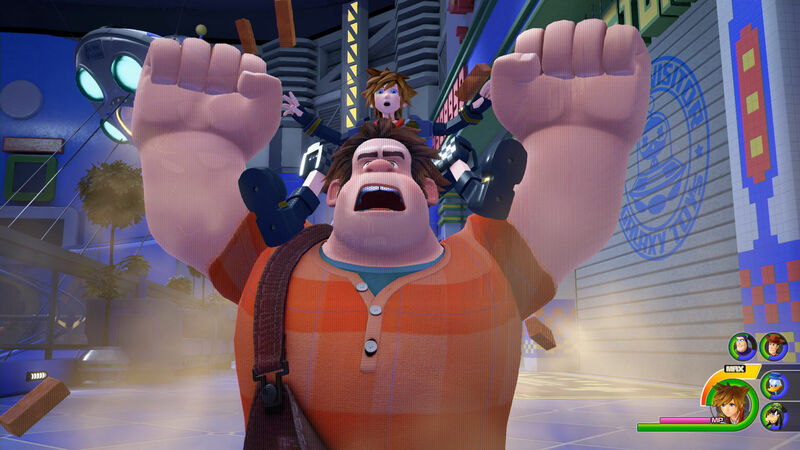 Kingdom Hearts III is just a week away. 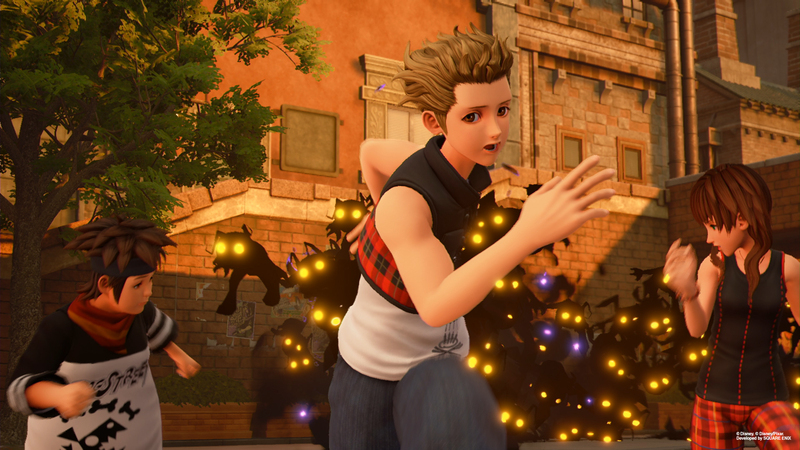 Square Enix has a new batch of screenshots, and also announced the game’s theme song is now available to purchase. 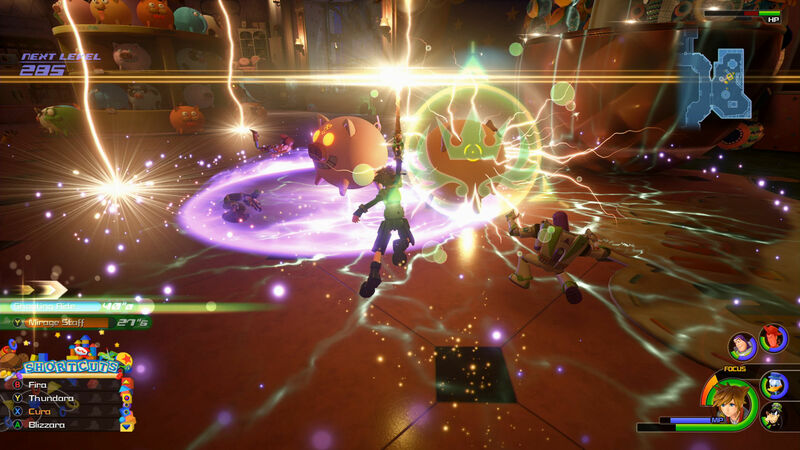 Kingdom Hearts III will be receiving some updates shortly after launch. 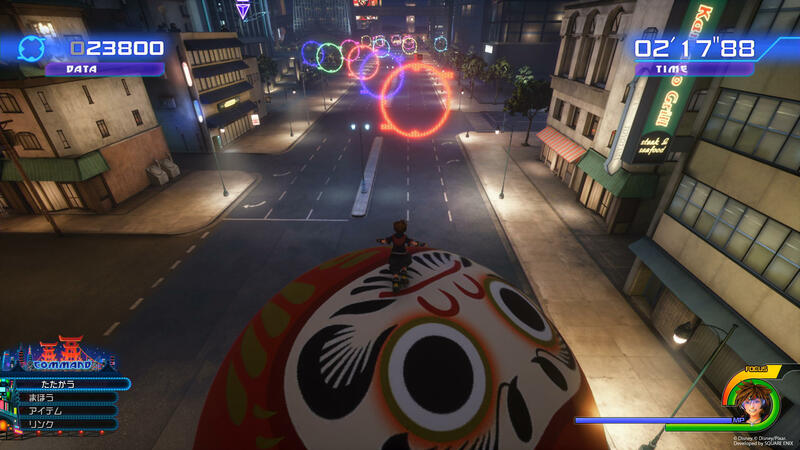 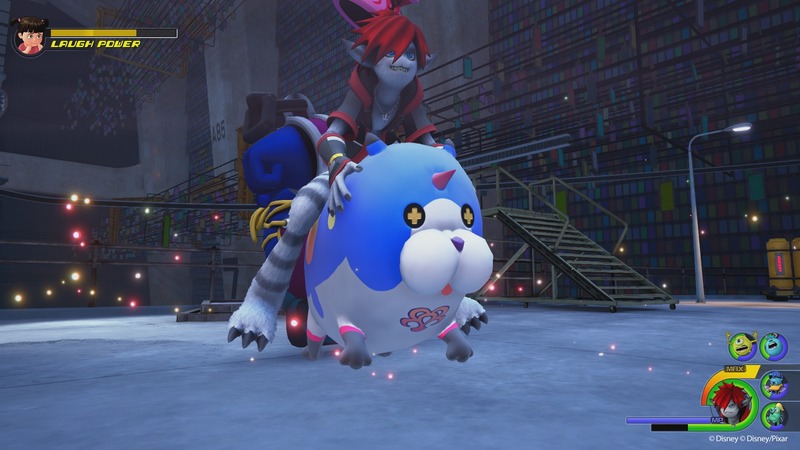 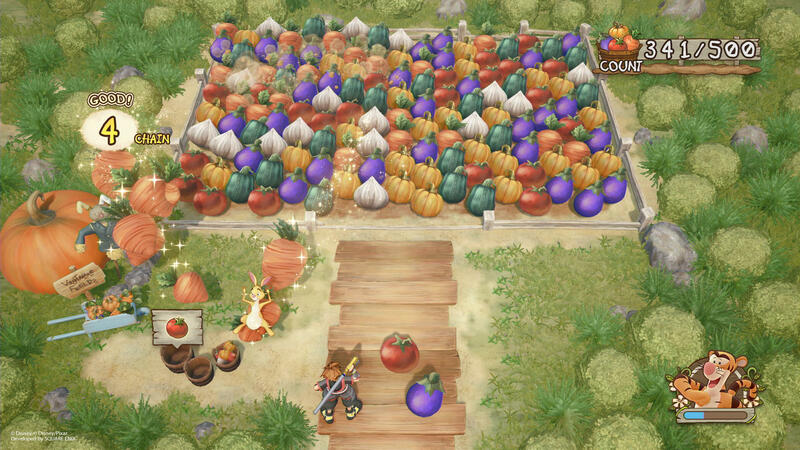 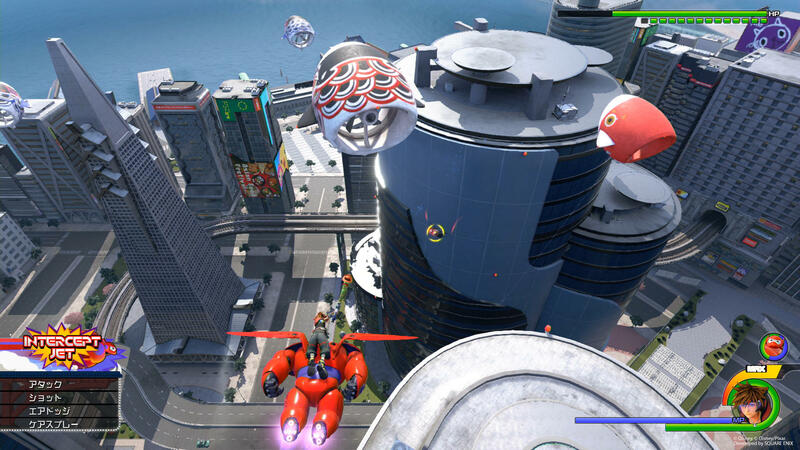 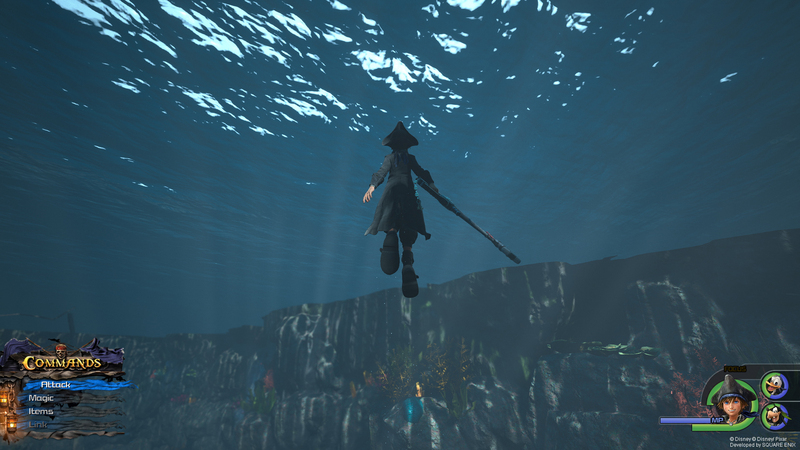 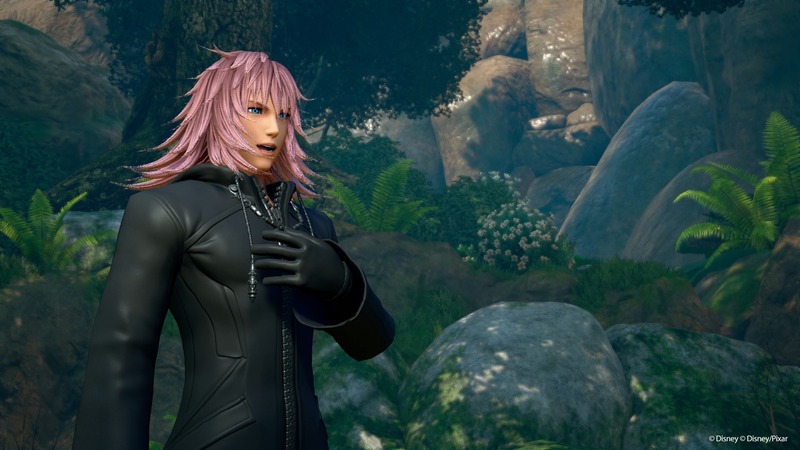 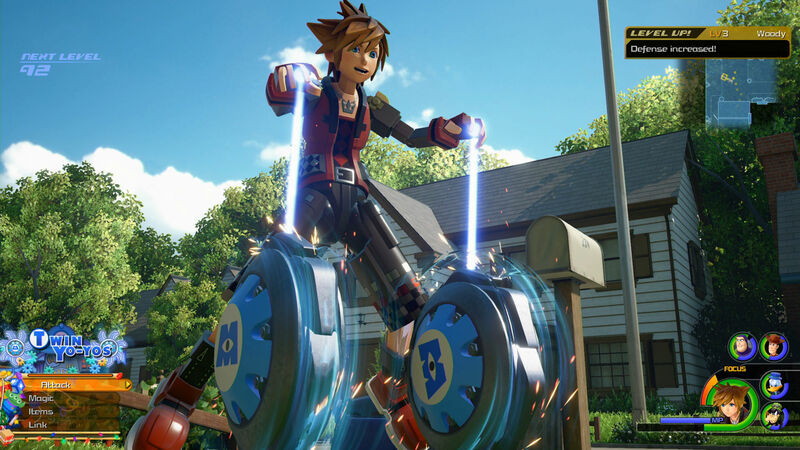 Square Enix revealed what those updates will add to the game. 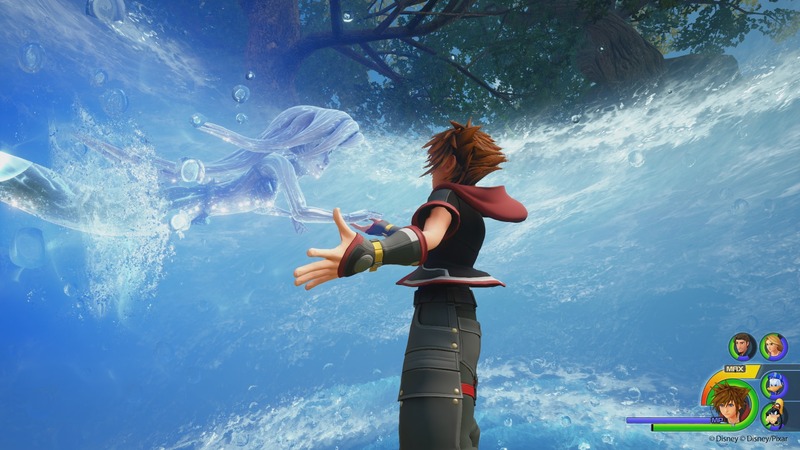 Square Enix’s latest trailer for Kingdom Hearts III hints that the final battle is drawing near. 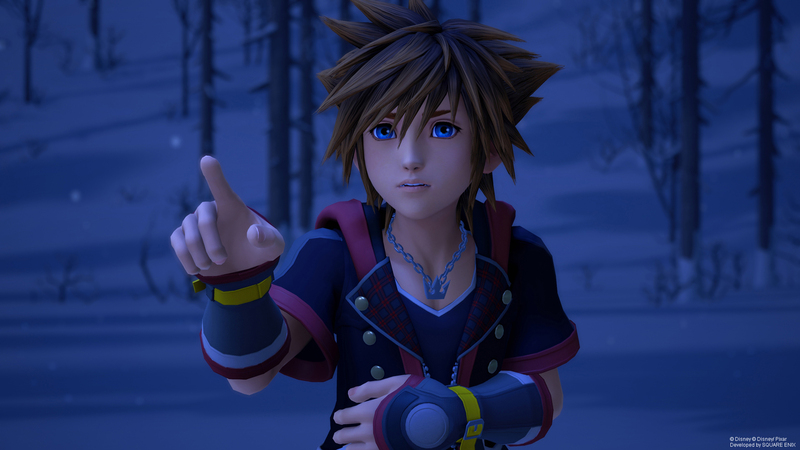 RPGamers should be warned that the new four-minute video features some minor spoilers. 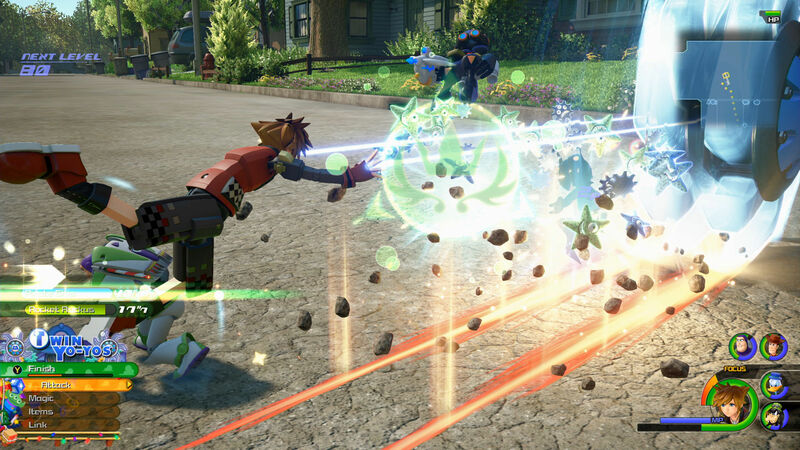 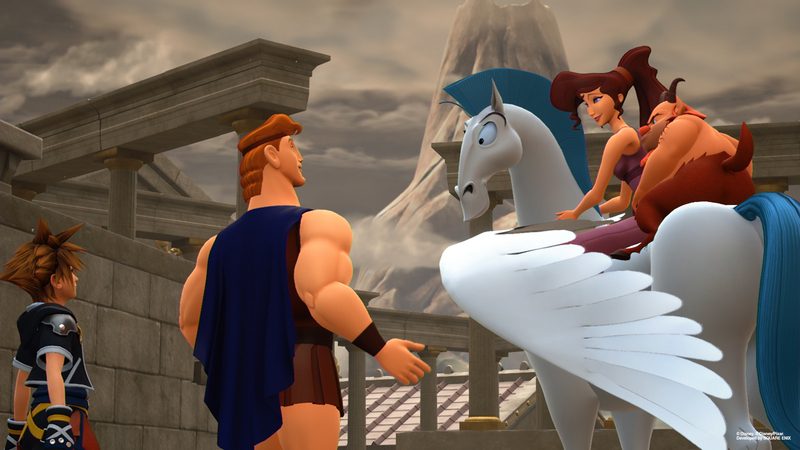 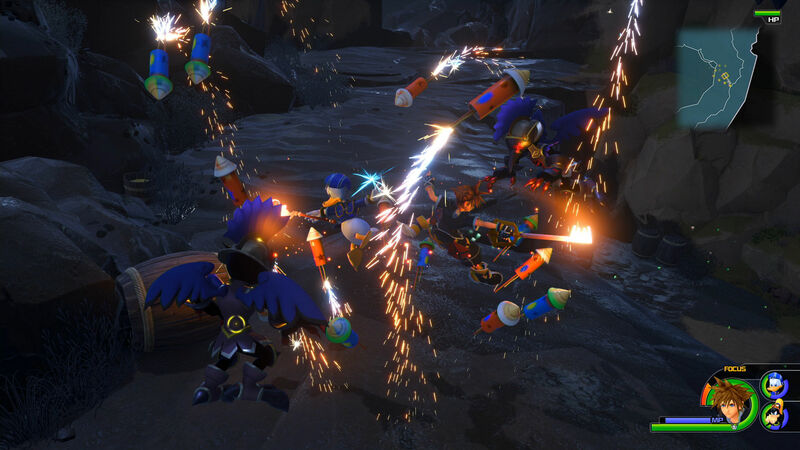 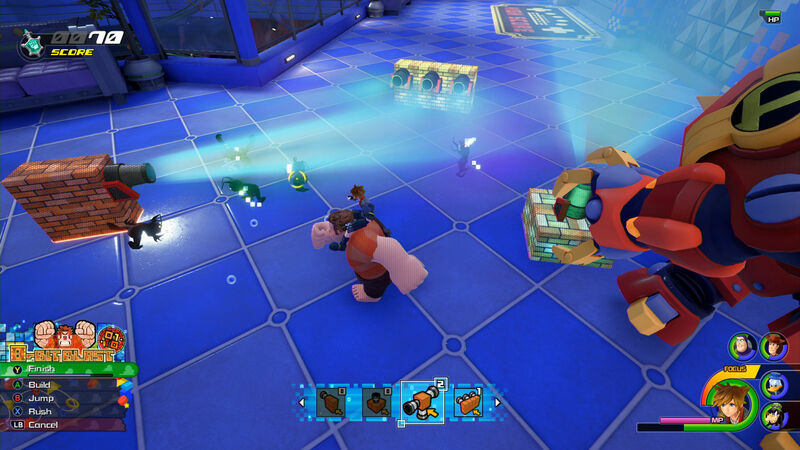 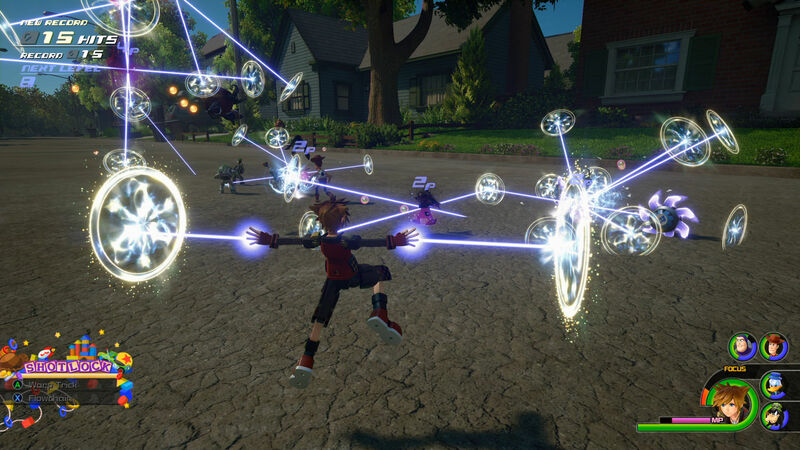 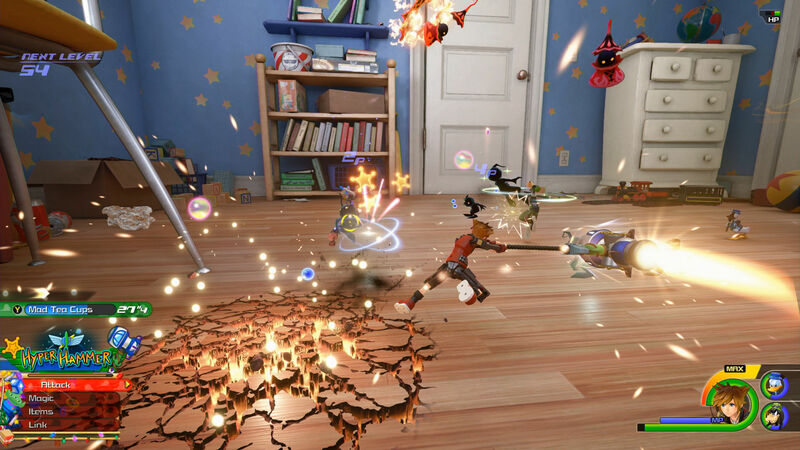 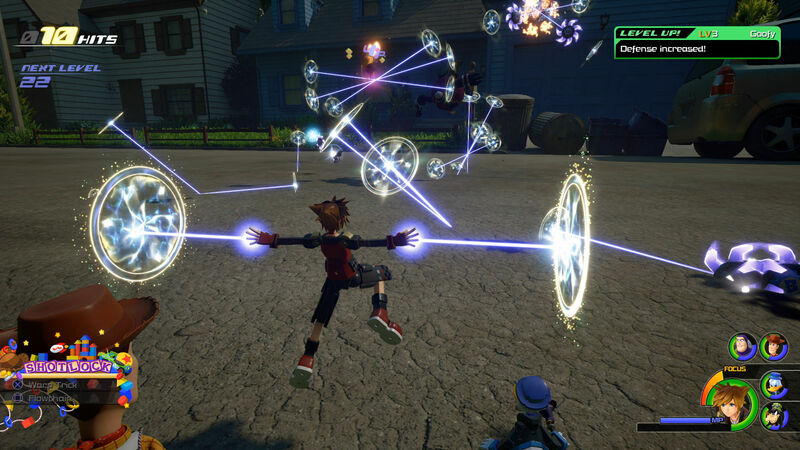 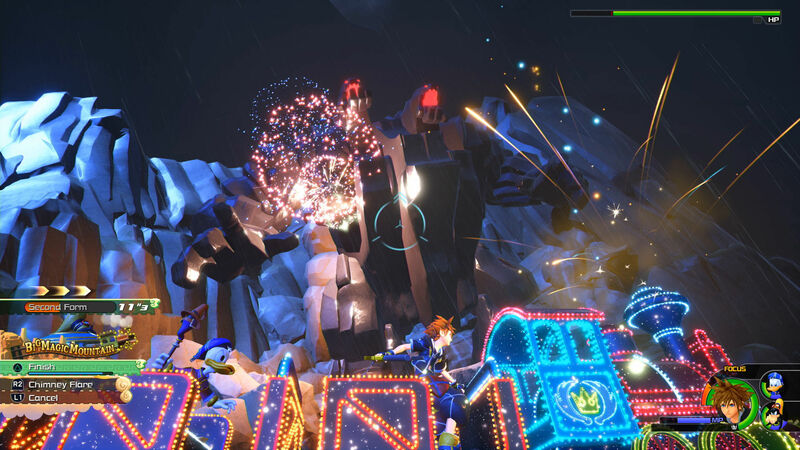 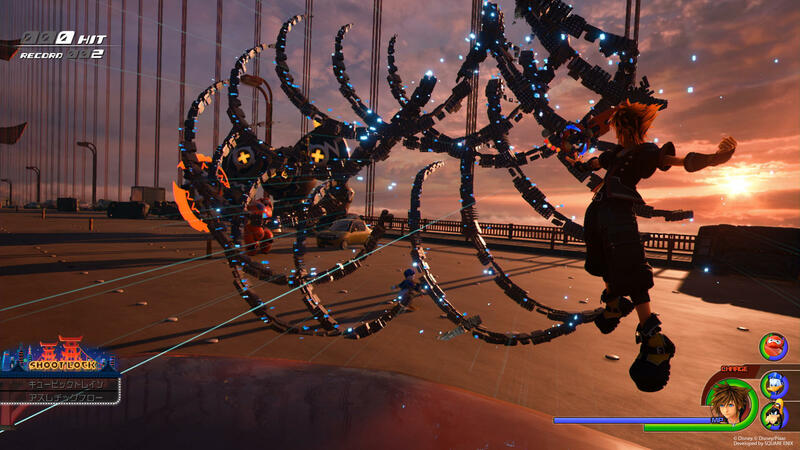 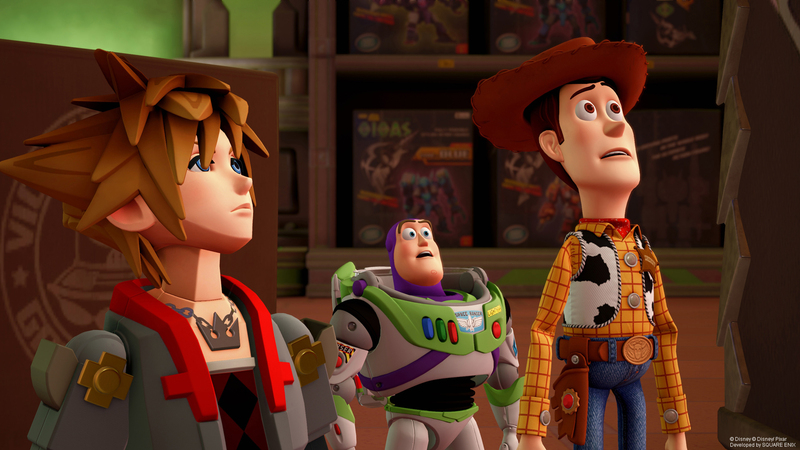 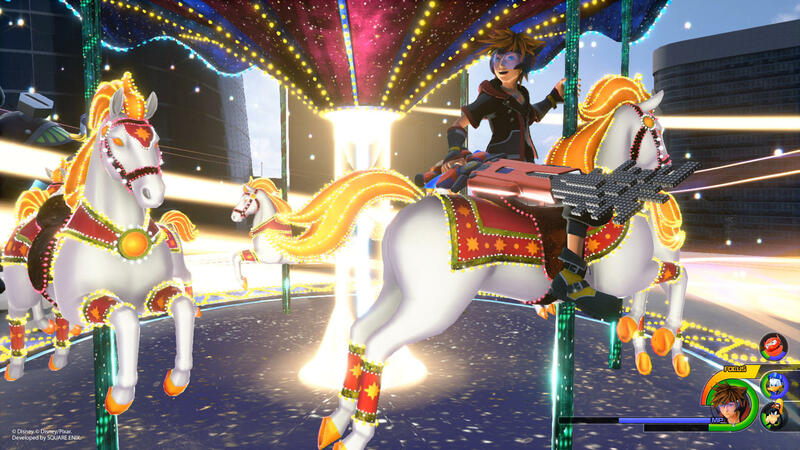 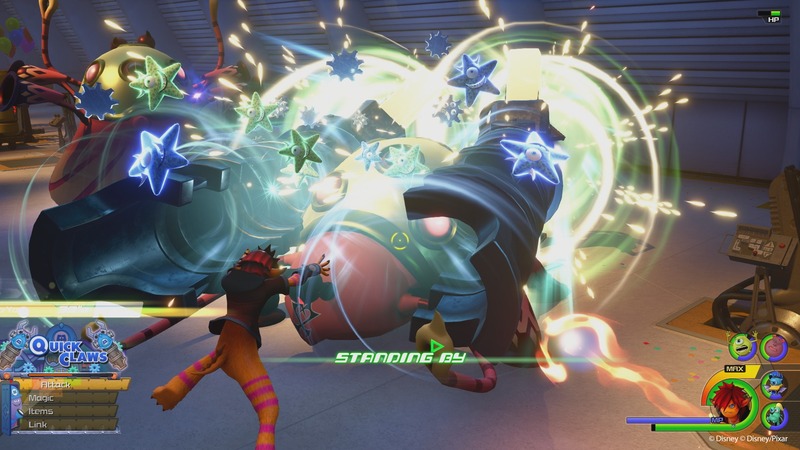 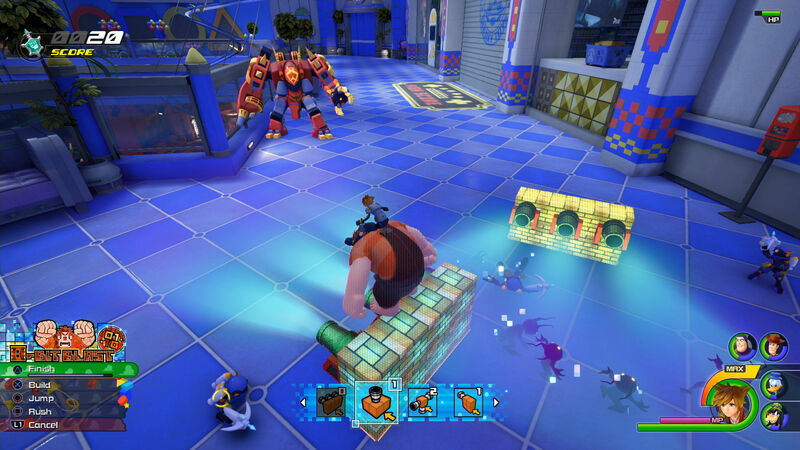 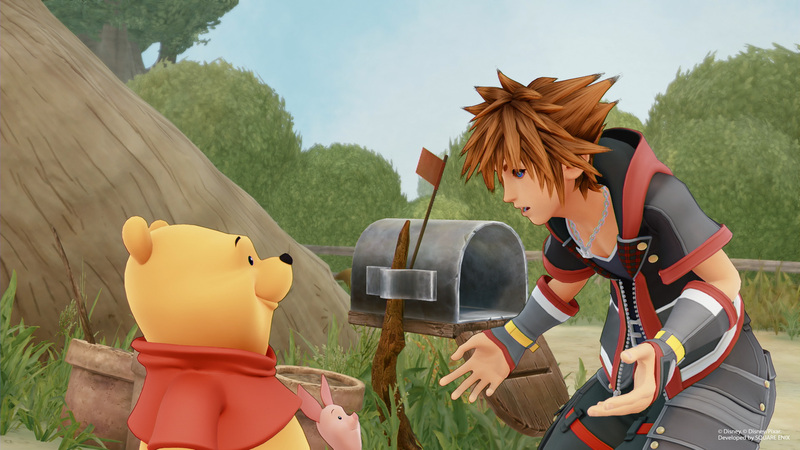 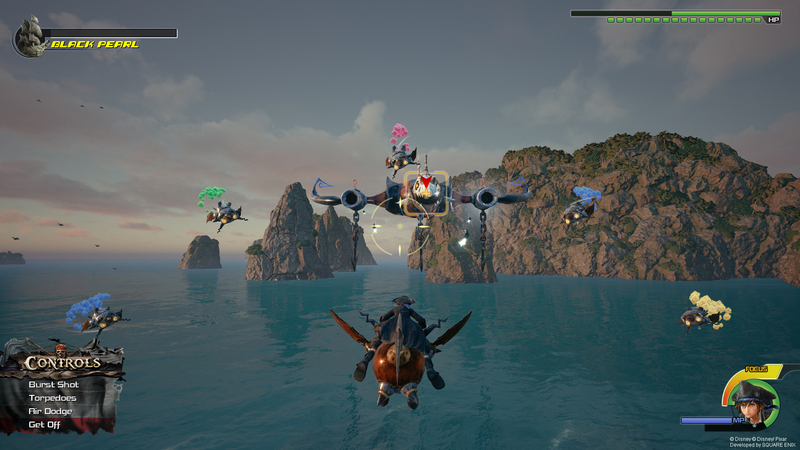 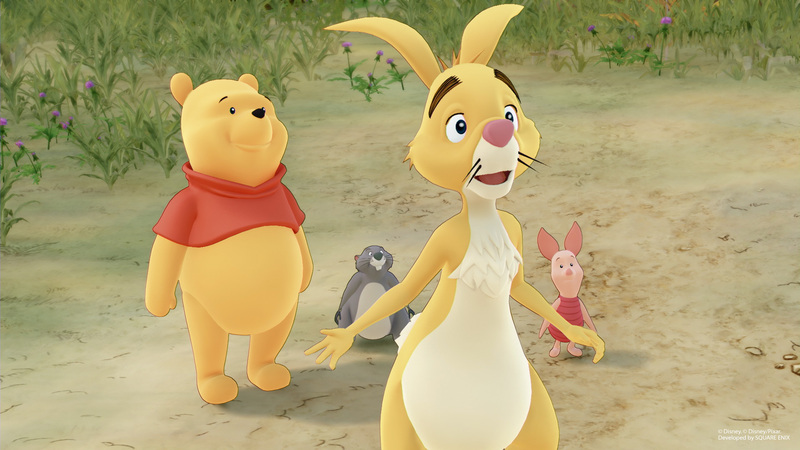 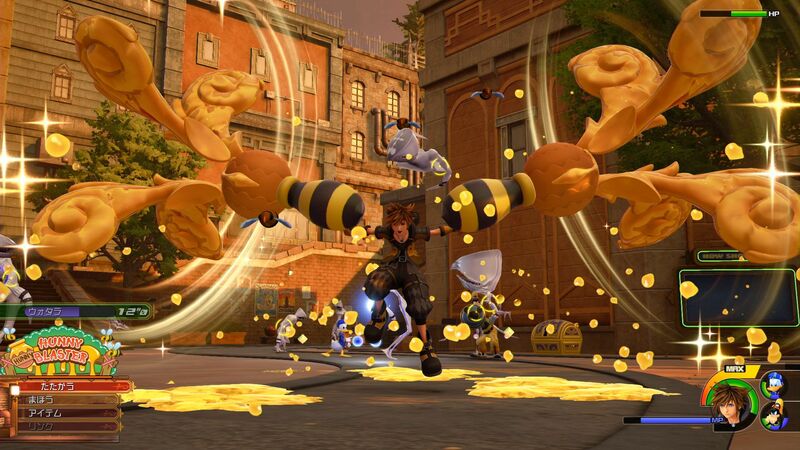 More Kingdom Hearts III are available to pore over. 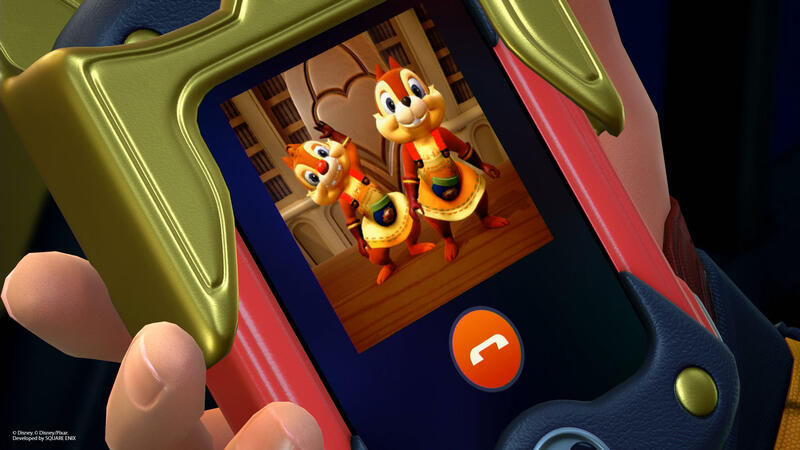 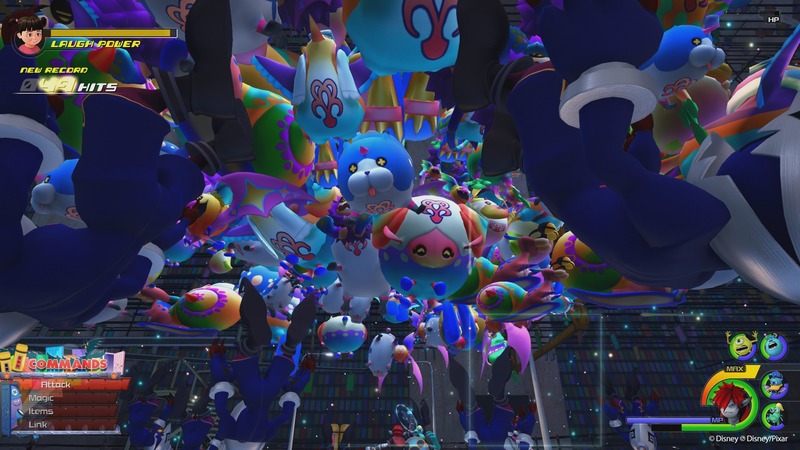 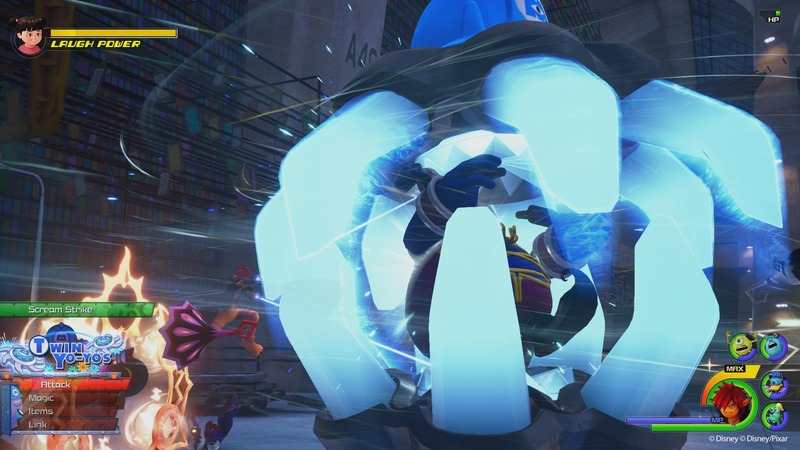 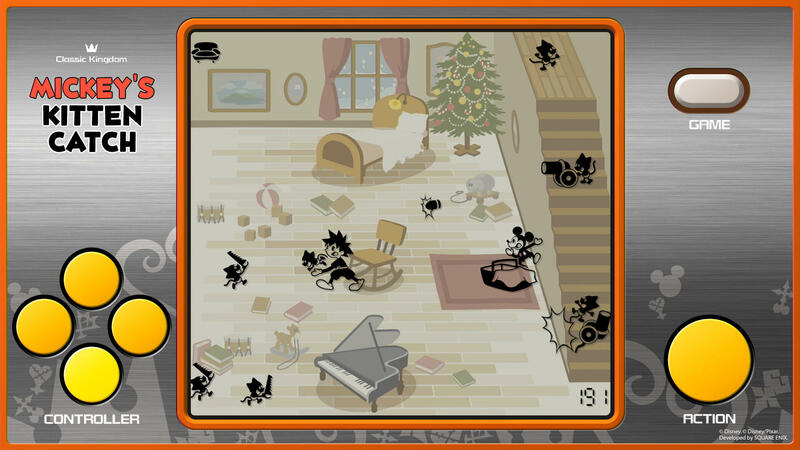 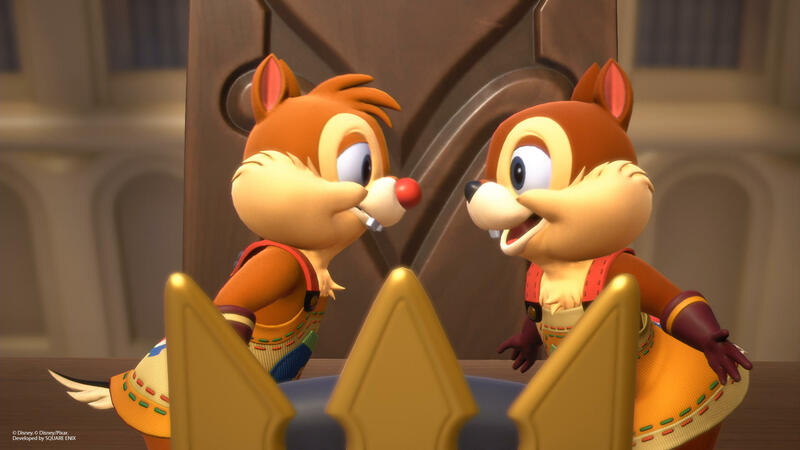 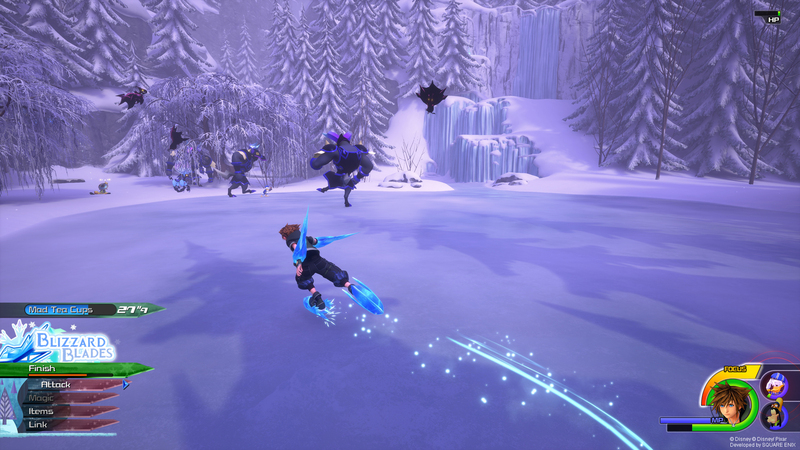 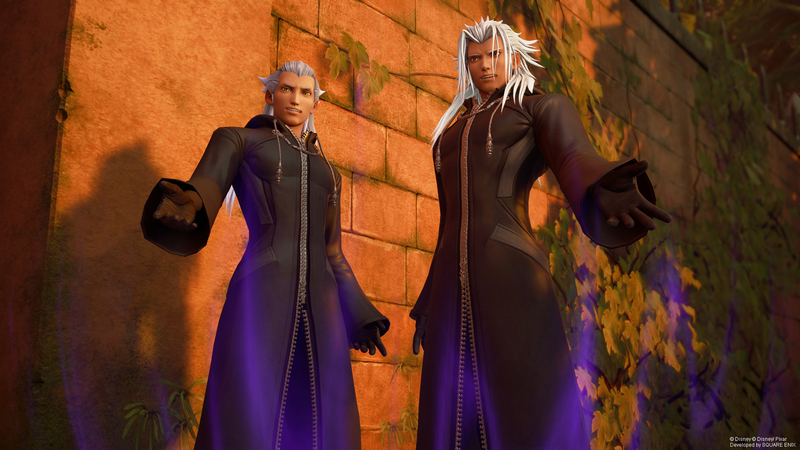 Chip ‘n’ Dale, Frozen, and Organization XIII make up the eclectic mix of groups shown in the new images. 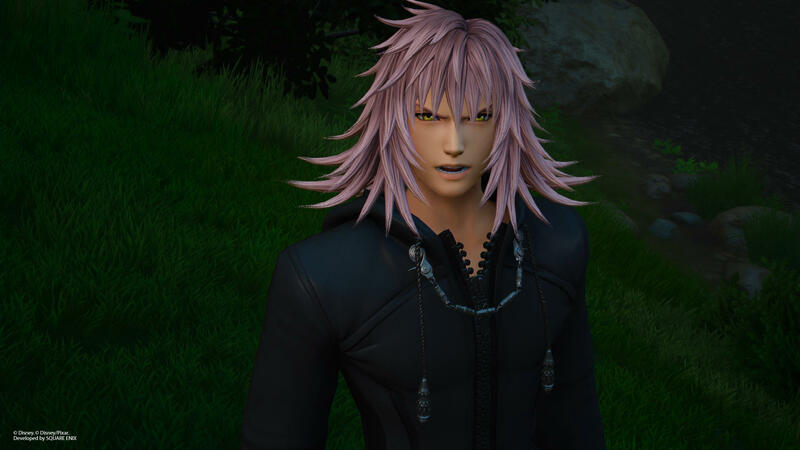 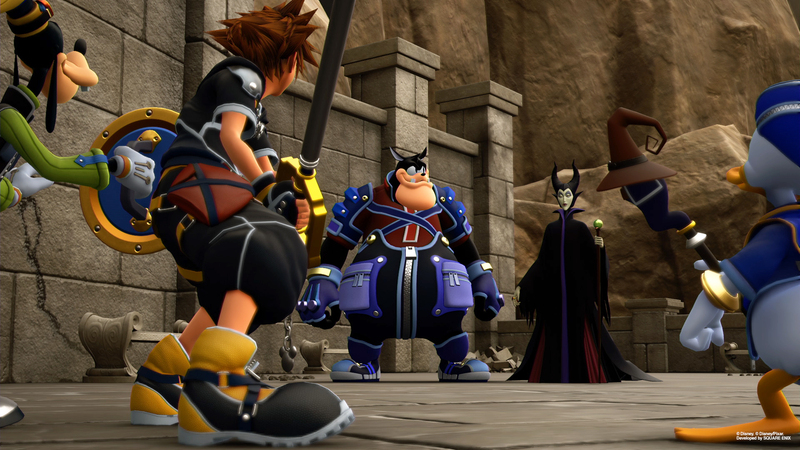 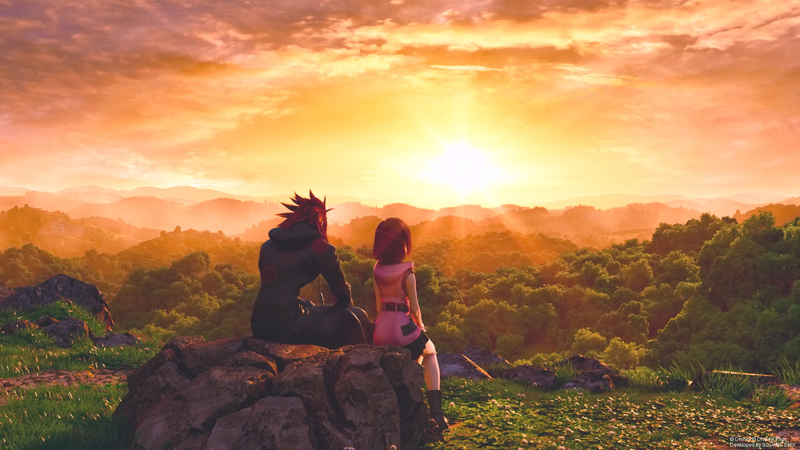 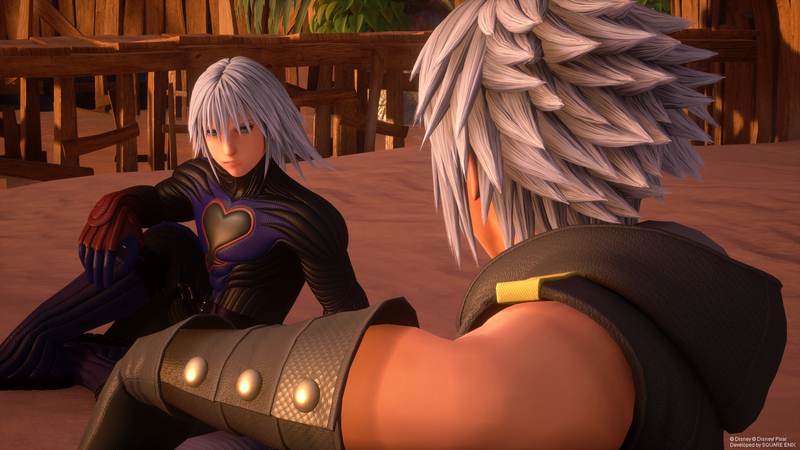 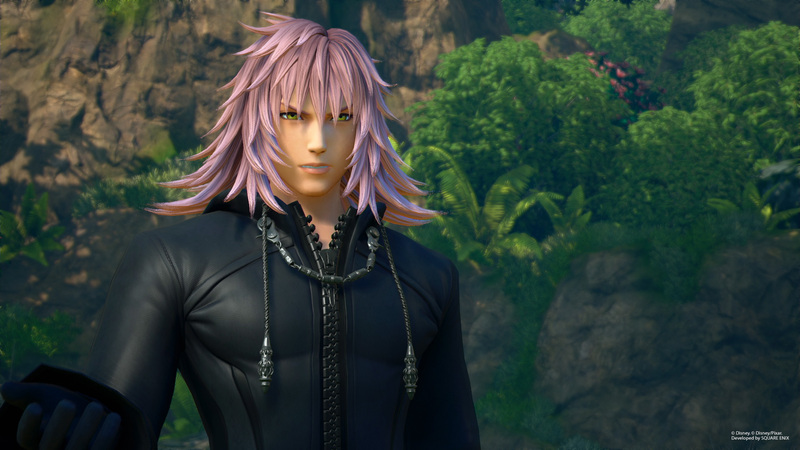 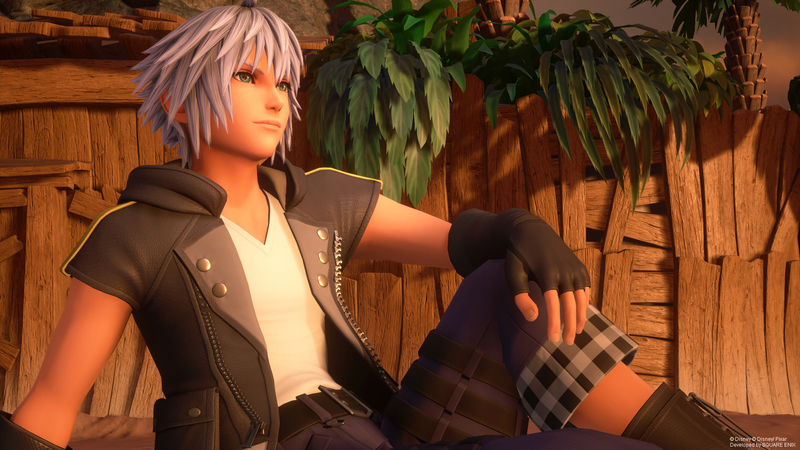 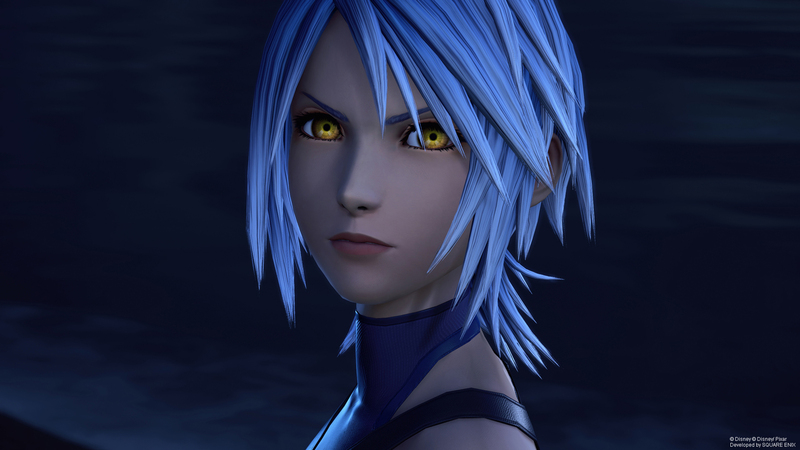 As promised by director Tetsuya Nomura, a new Kingdom Hearts video is here. 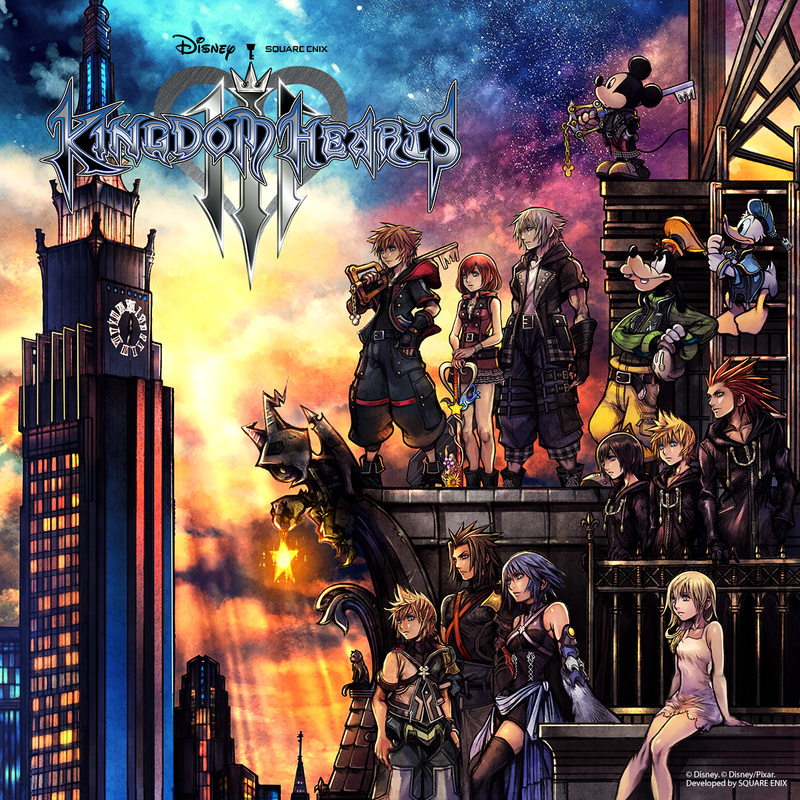 This one features the game’s opening movie and collaboration between Hikaru Utada and Skrillex. 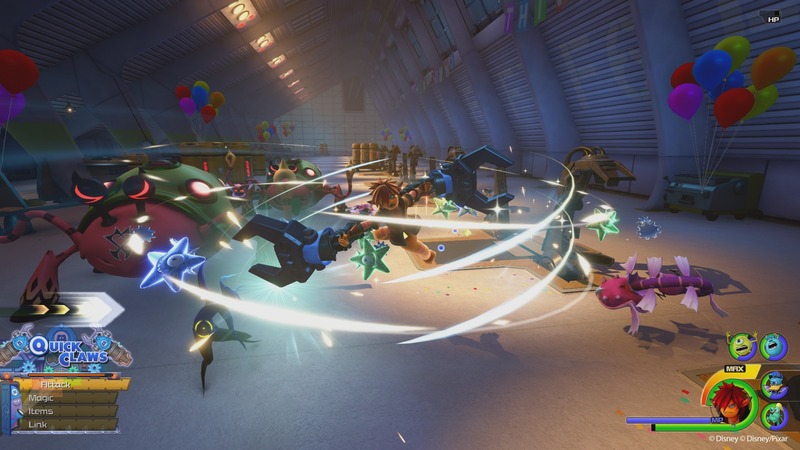 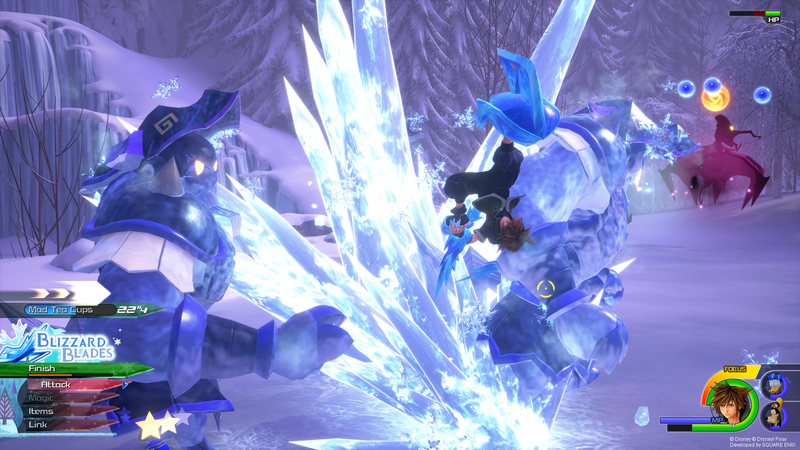 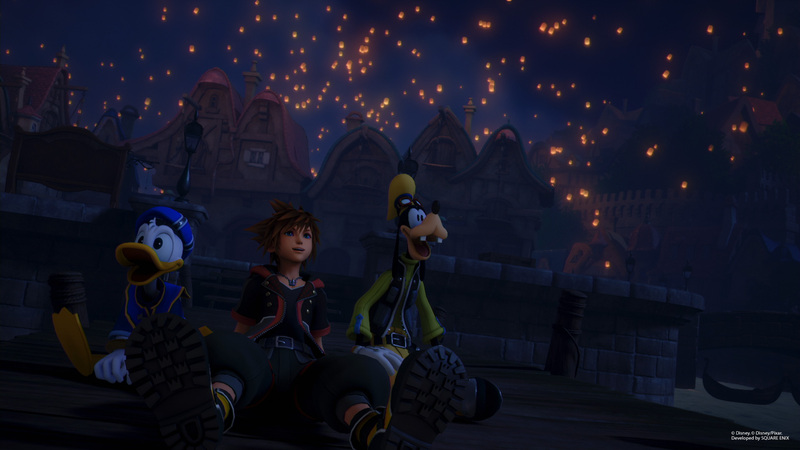 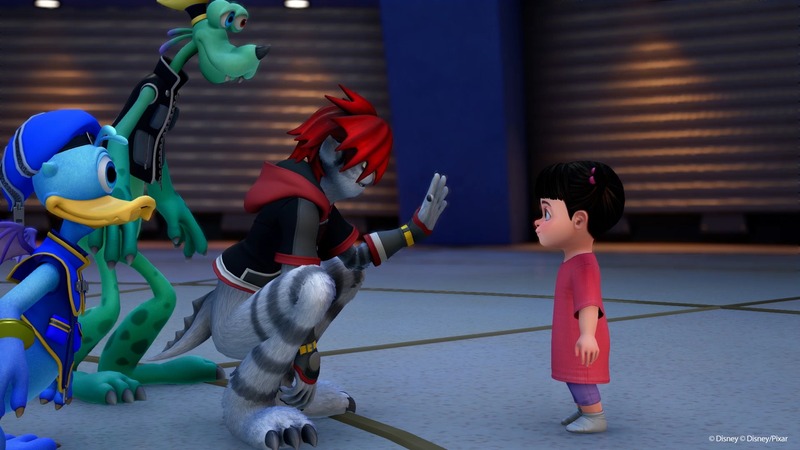 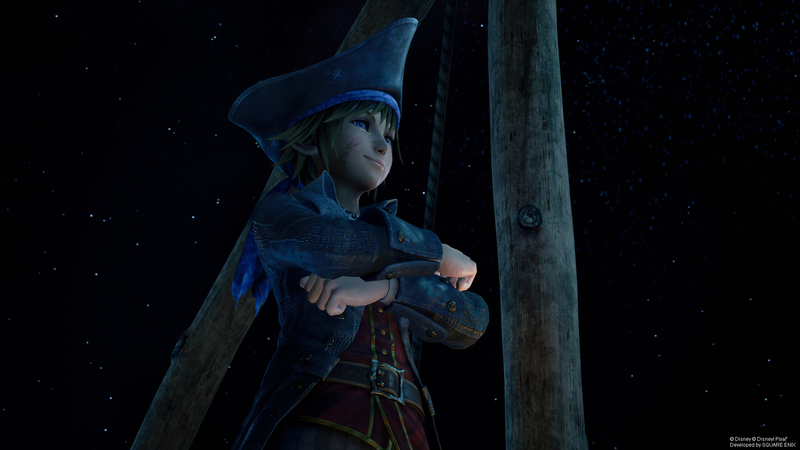 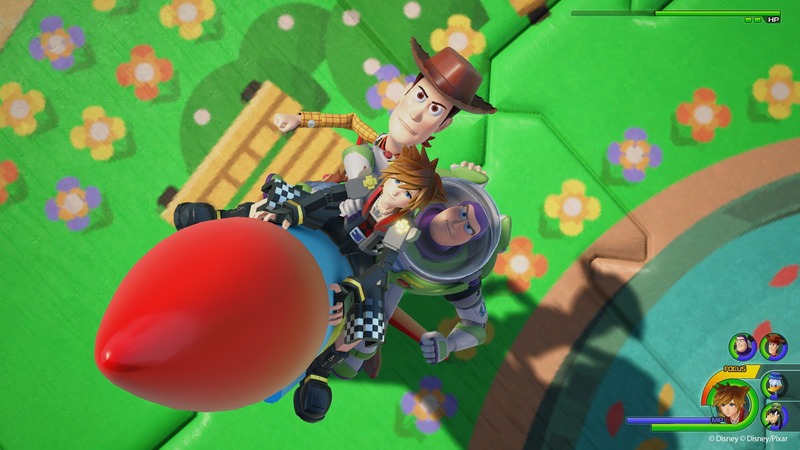 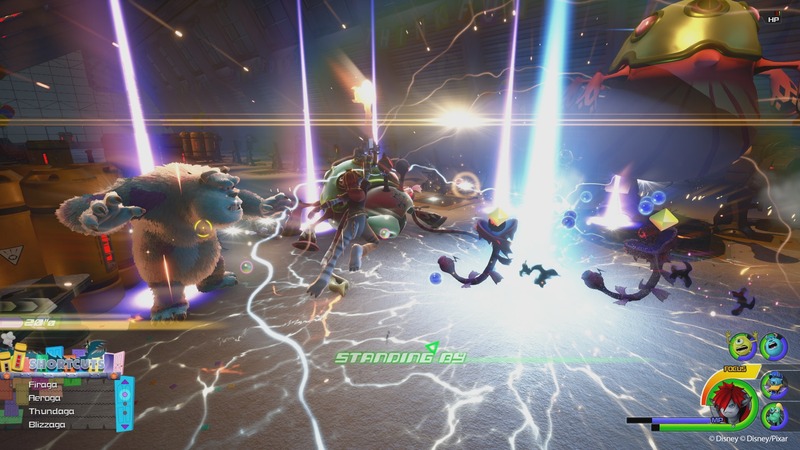 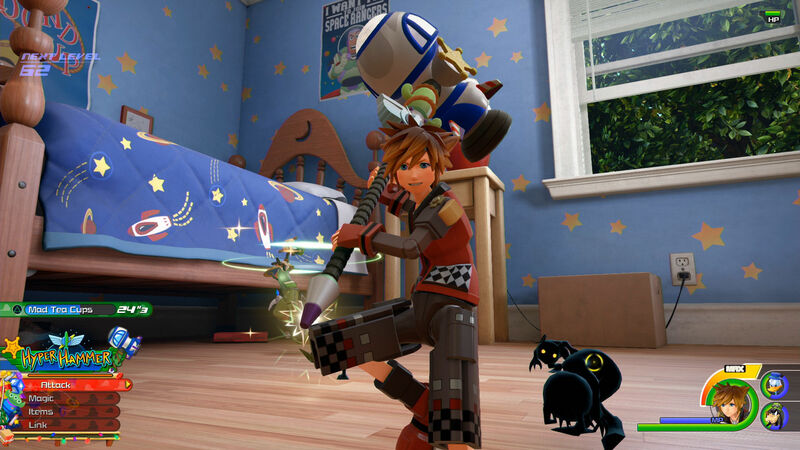 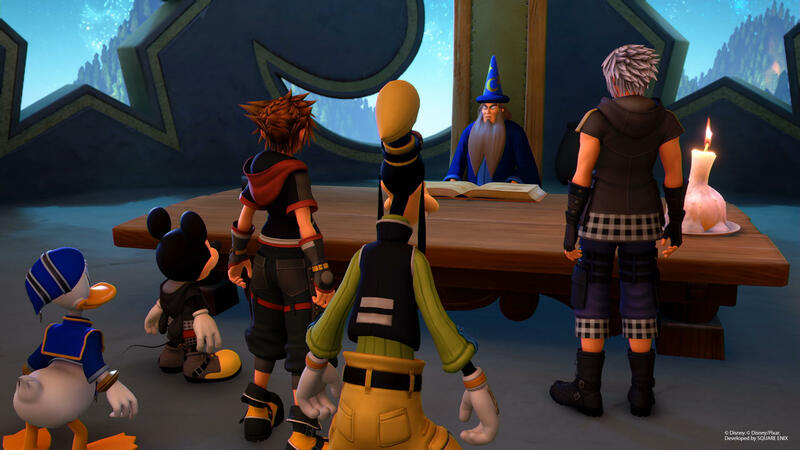 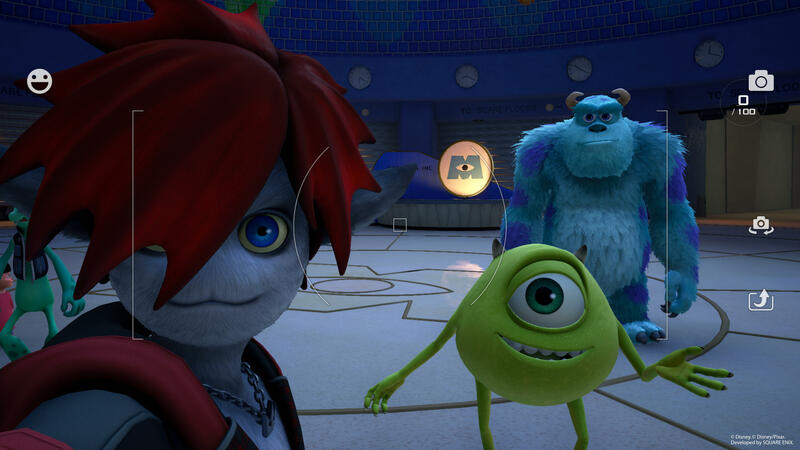 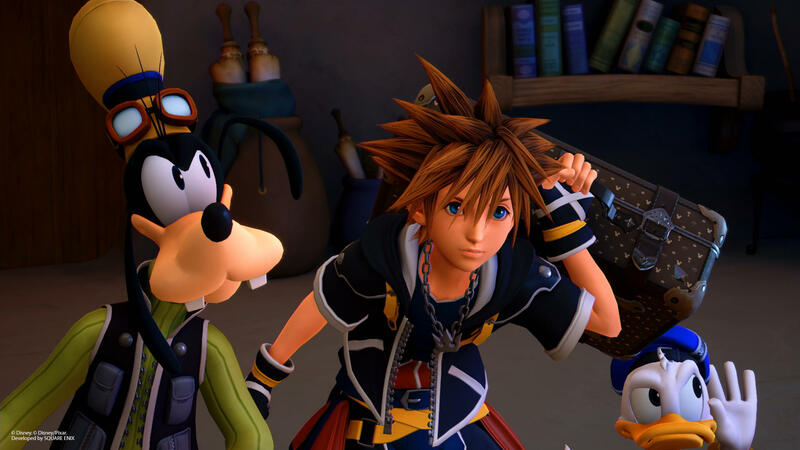 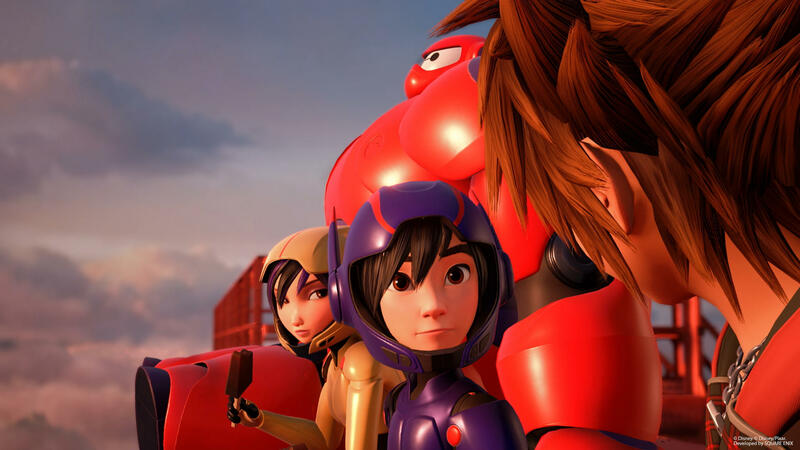 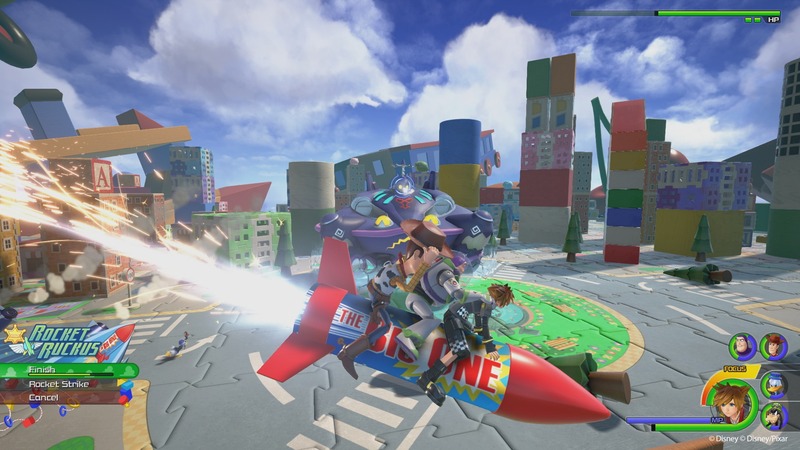 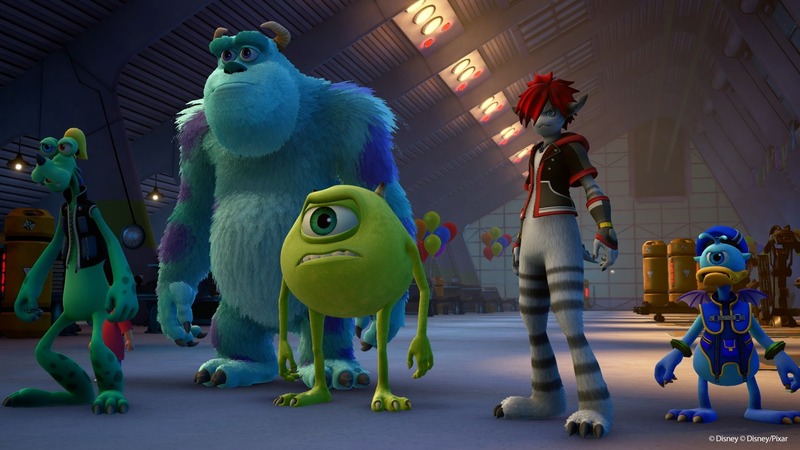 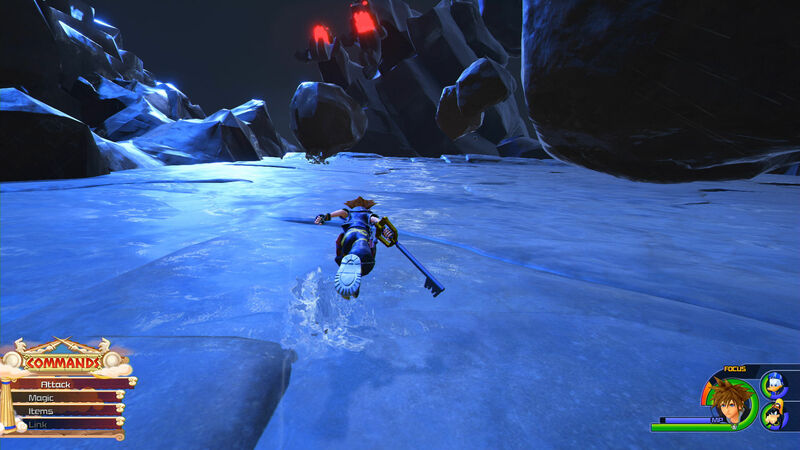 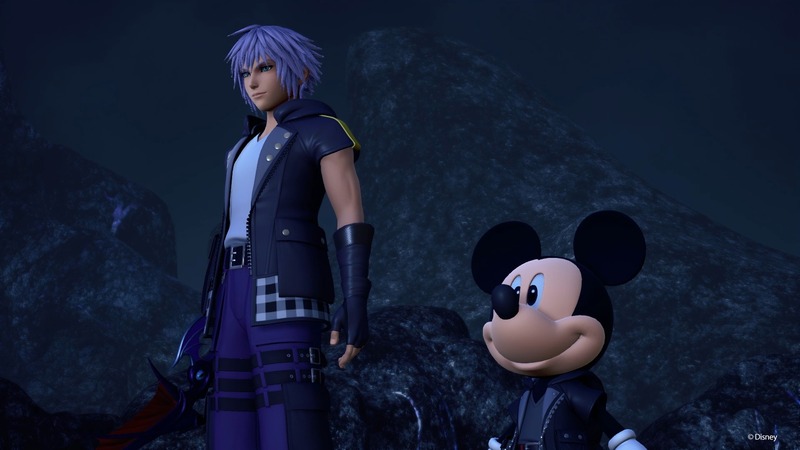 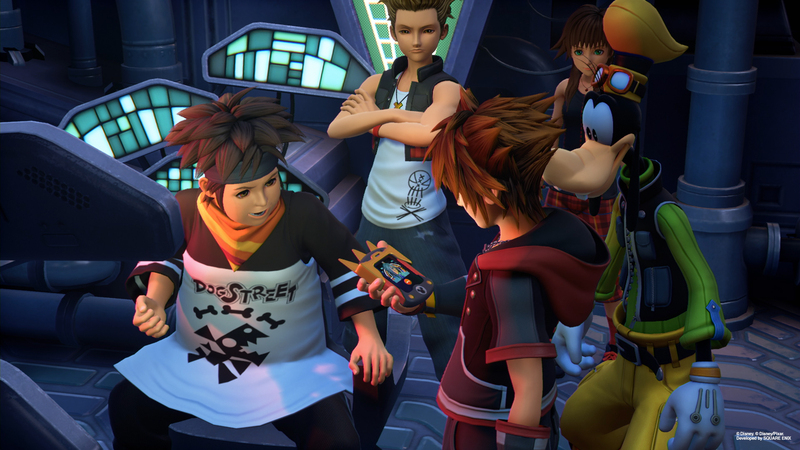 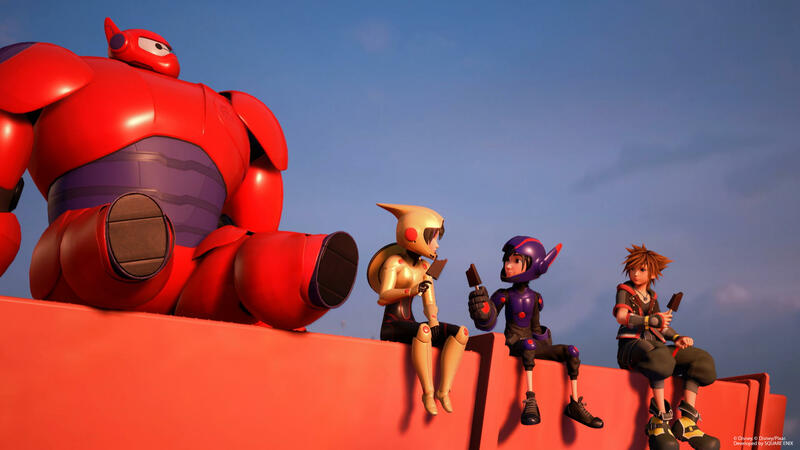 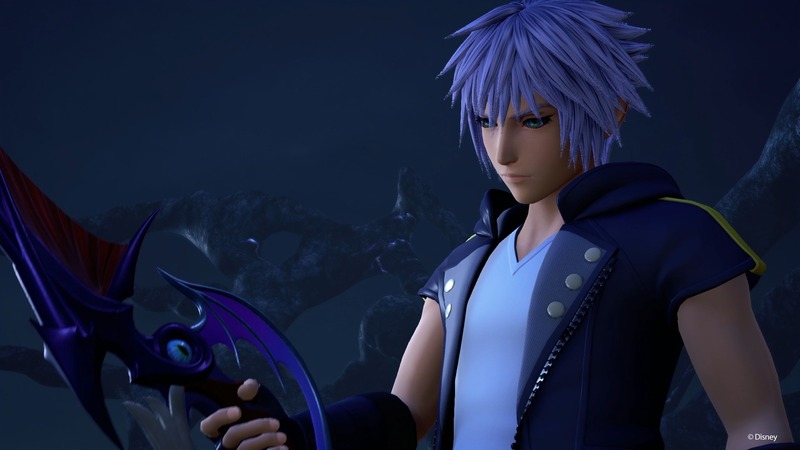 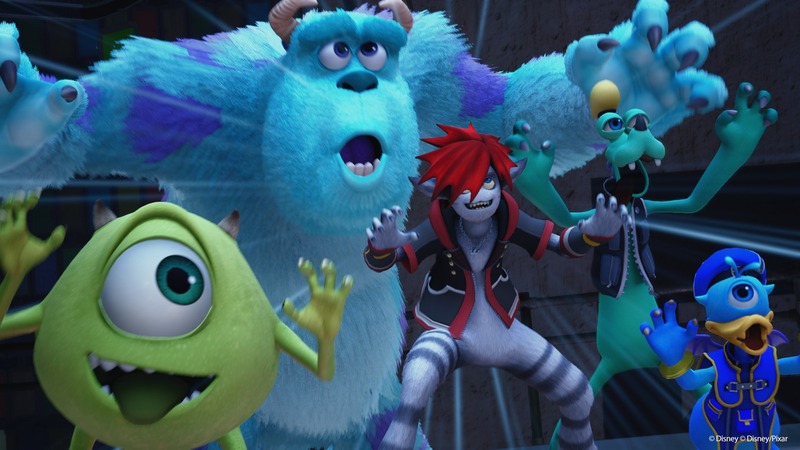 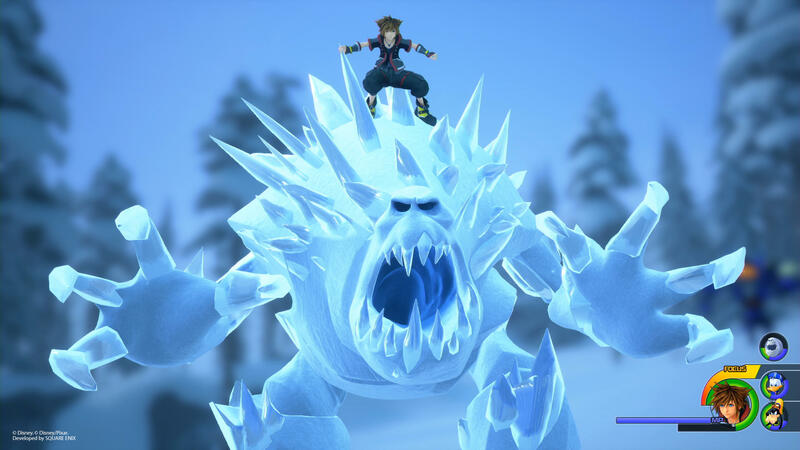 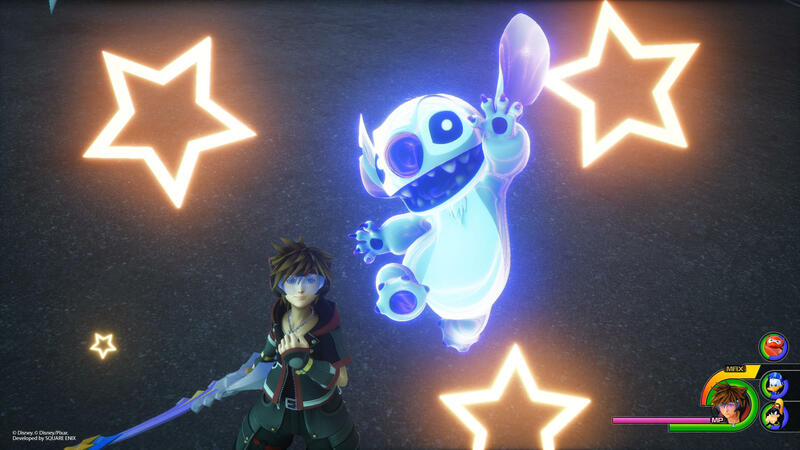 Director Tetsuya Nomura has revealed that development on Kingdom Hearts III has wrapped up. 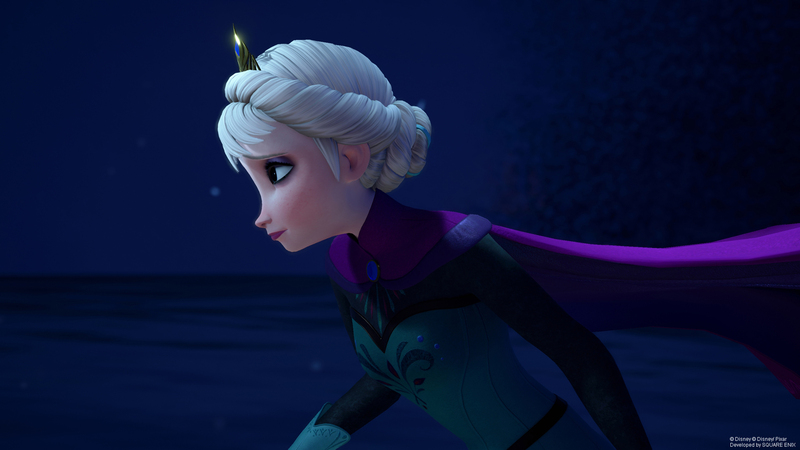 Marking the occasion is a new trailer, a new extended version of one currently being shown in US cinemas. 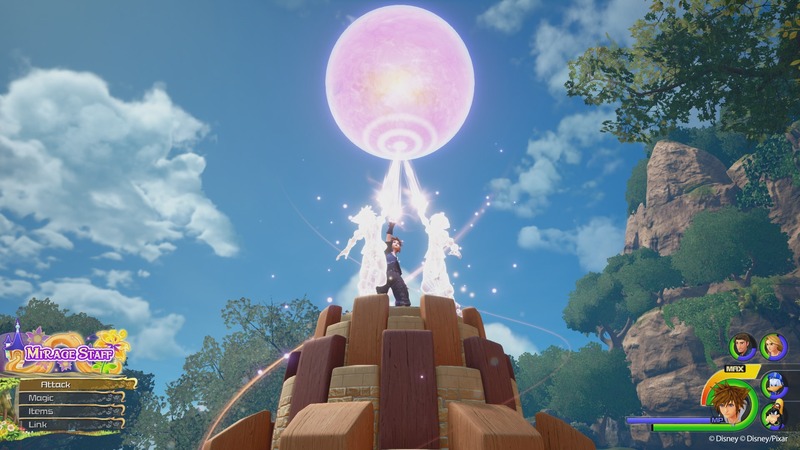 The biggest RPG news from Microsoft’s X018 event is that the company is acquiring both inXile Entertainment and Obsidian Entertainment. 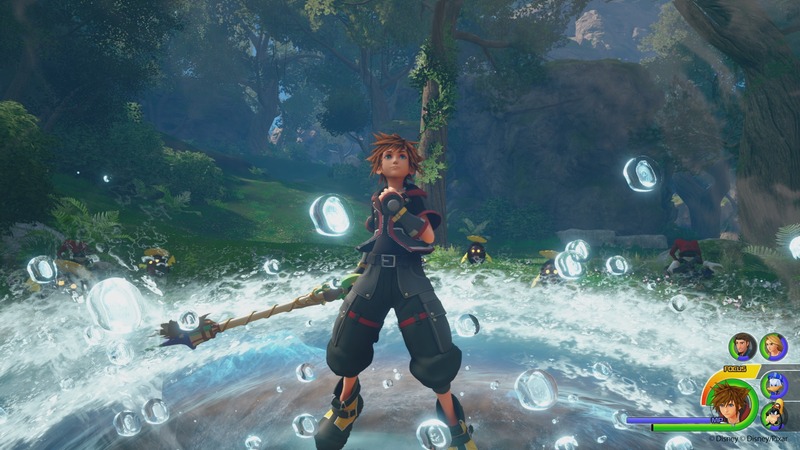 Meanwhile, The Good Life and the Final Fantasy XIII are coming to Xbox One, with Kingdom Hearts III also getting a new trailer. 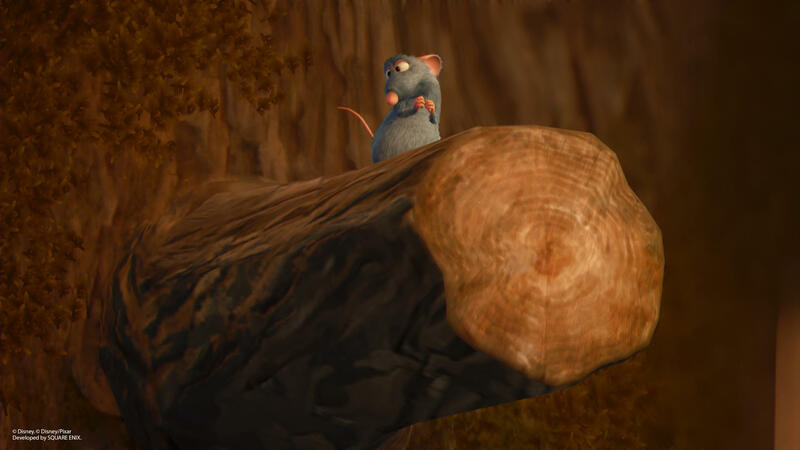 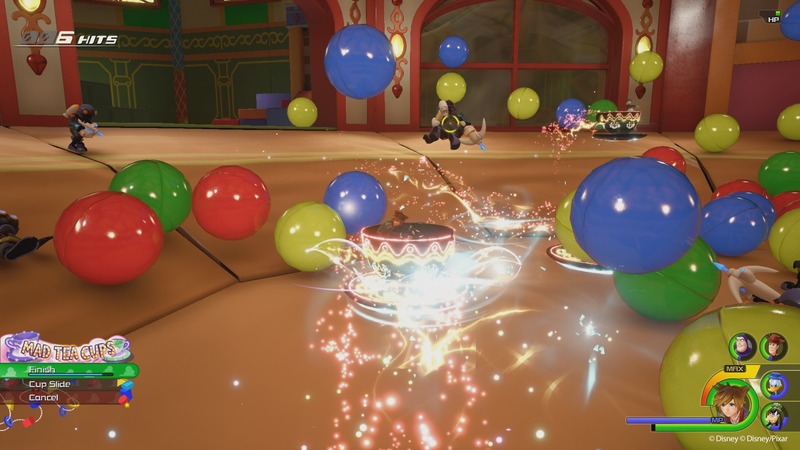 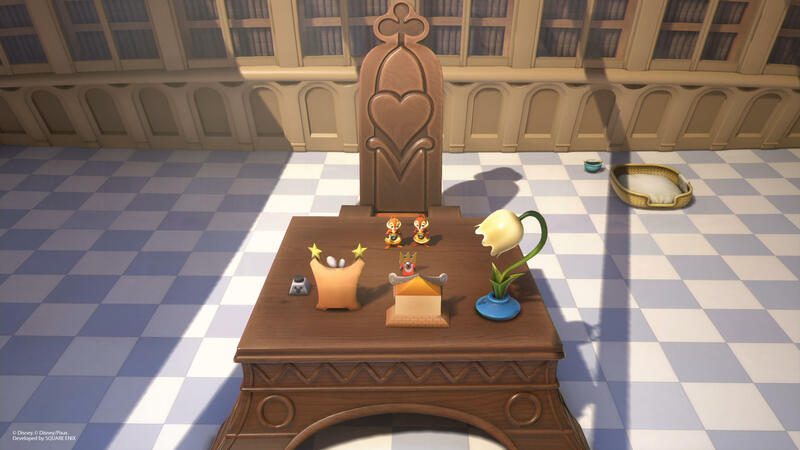 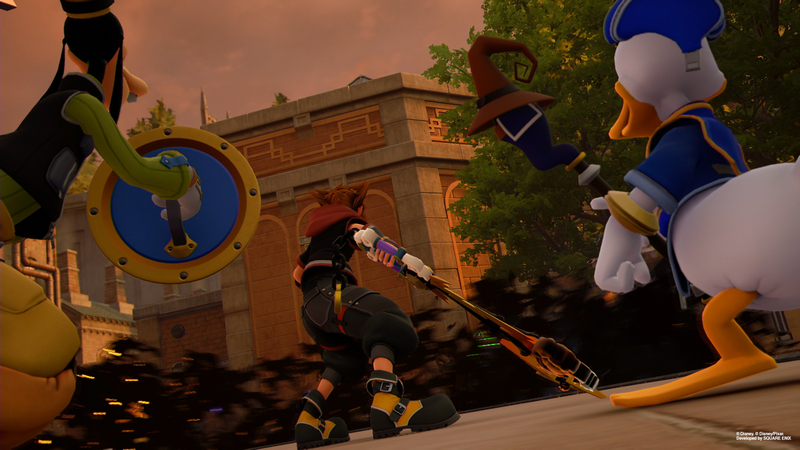 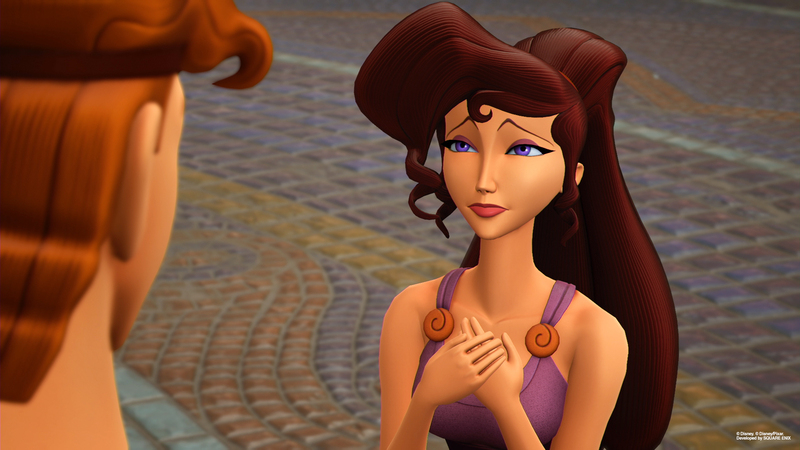 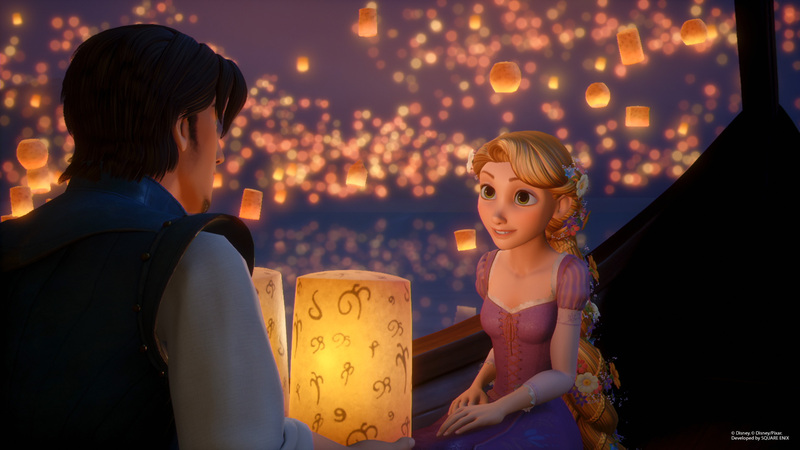 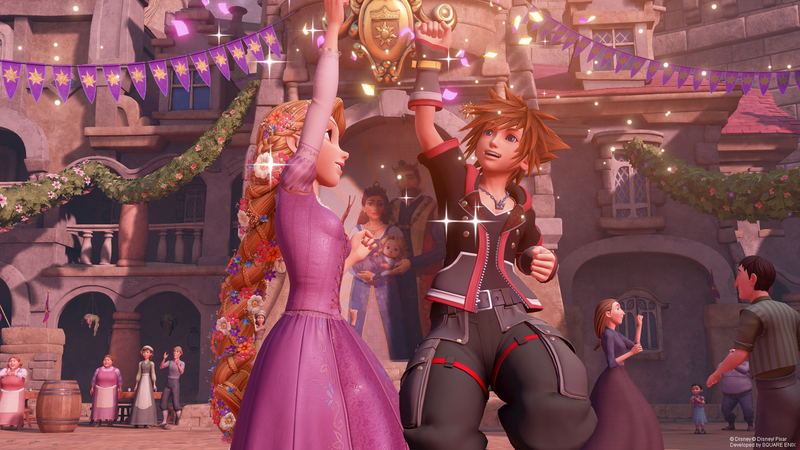 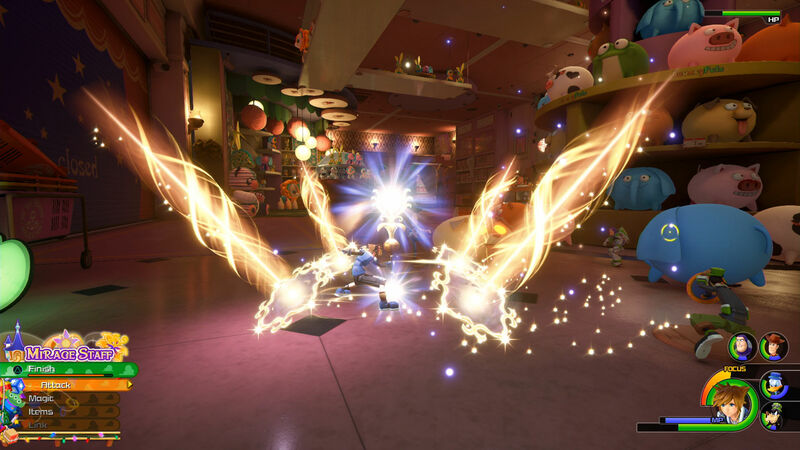 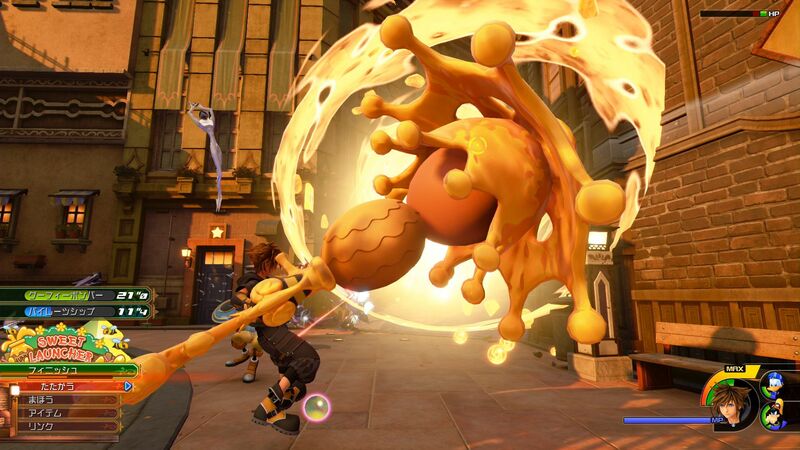 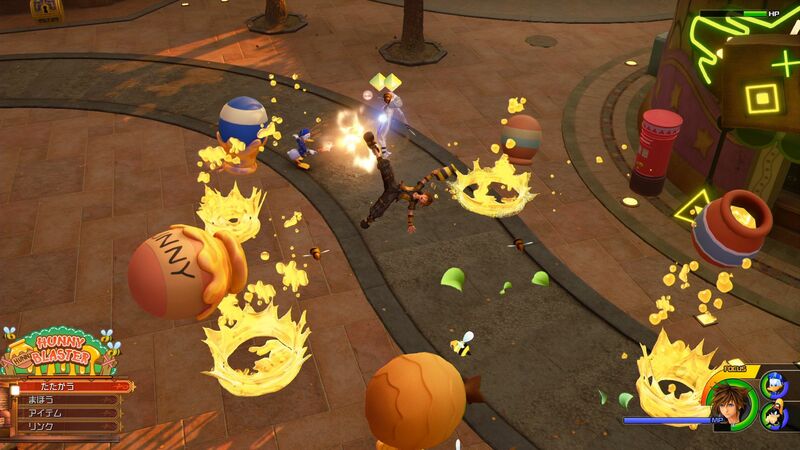 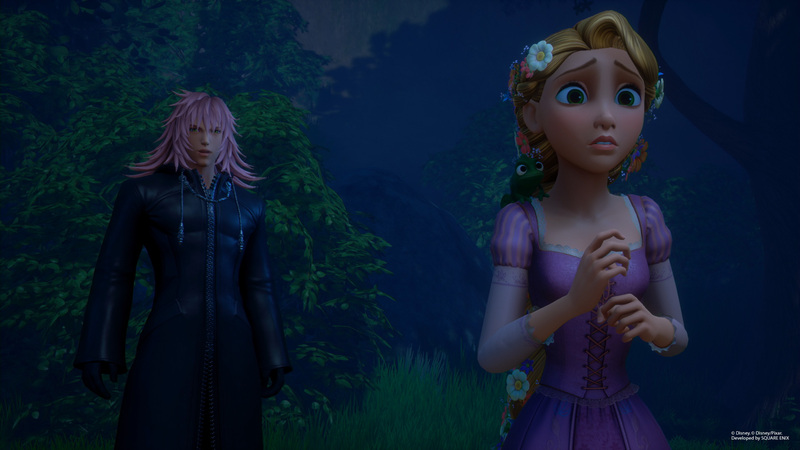 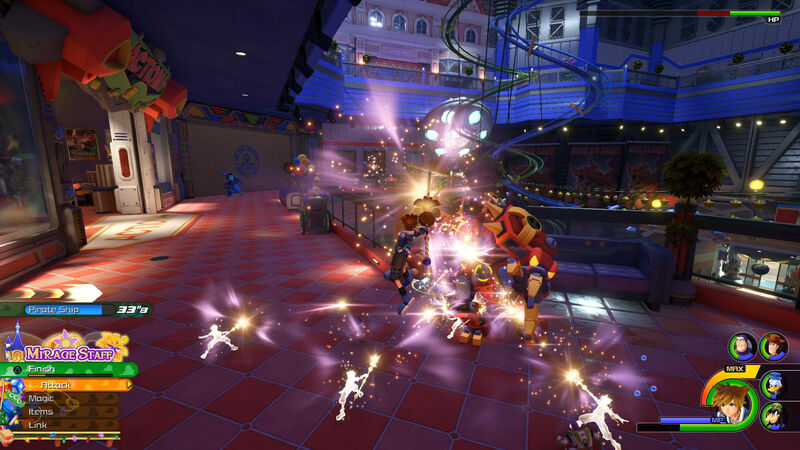 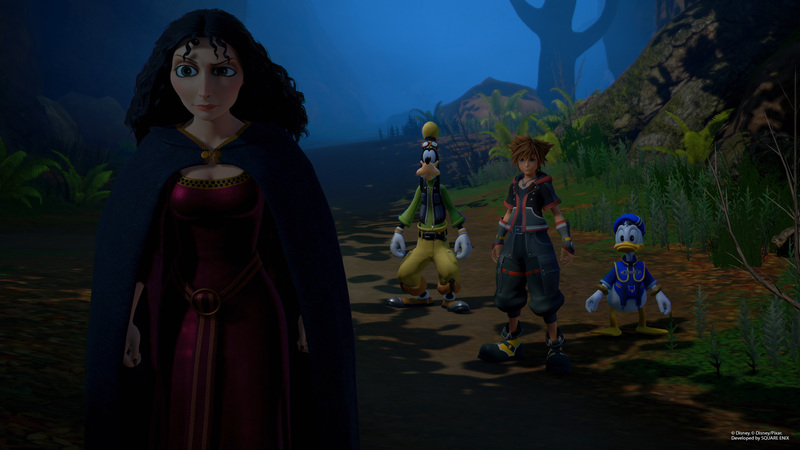 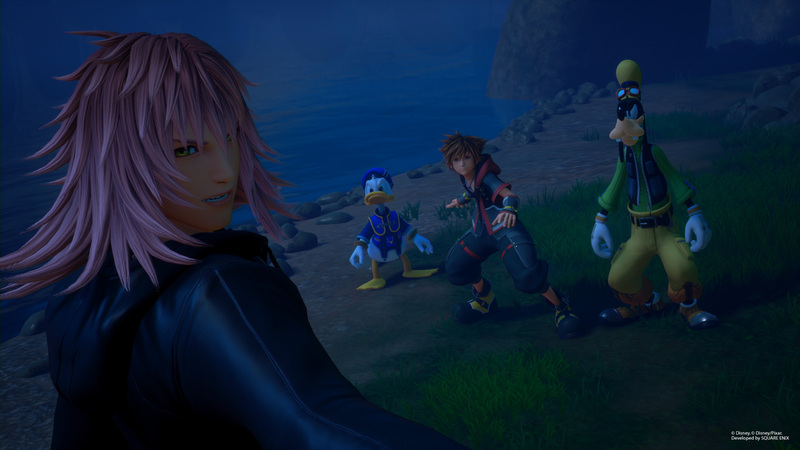 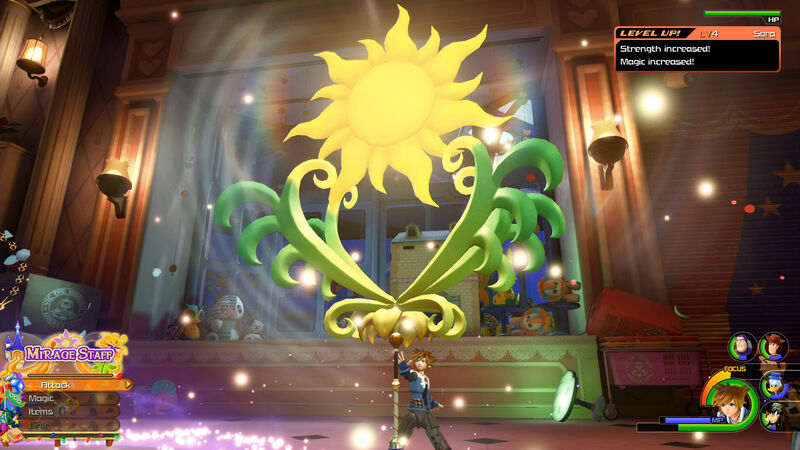 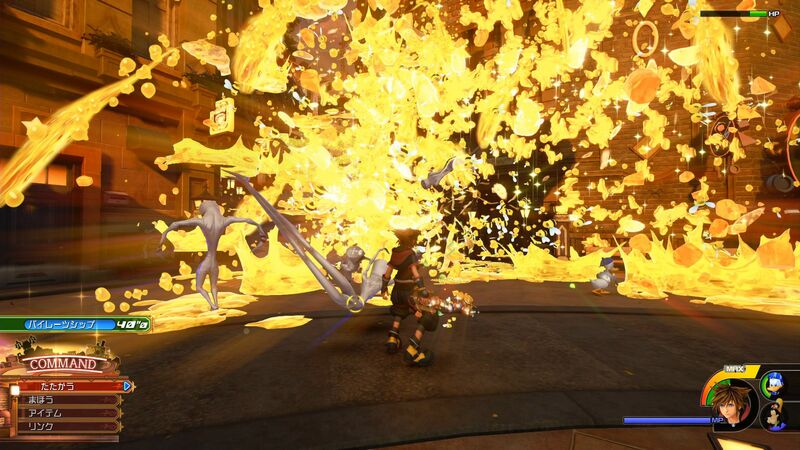 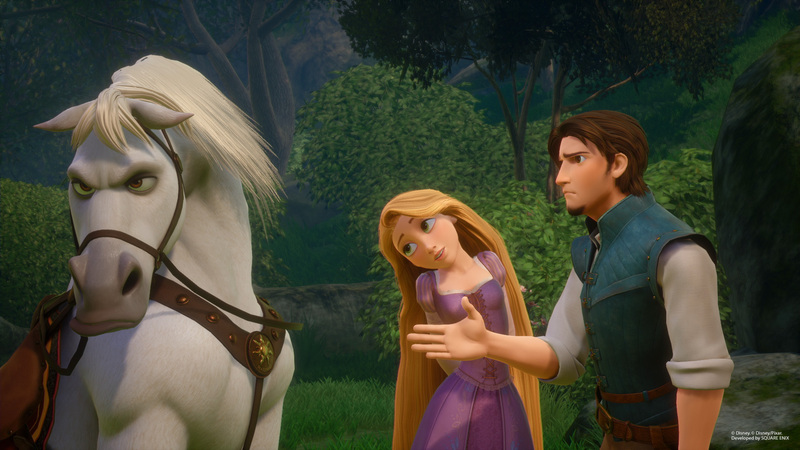 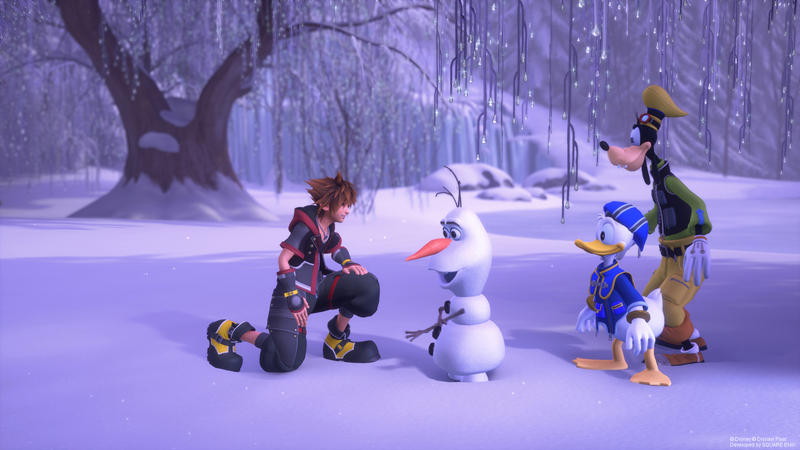 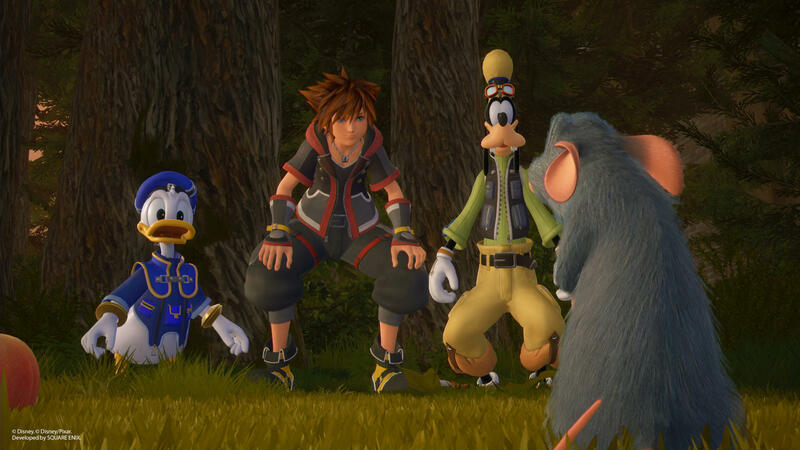 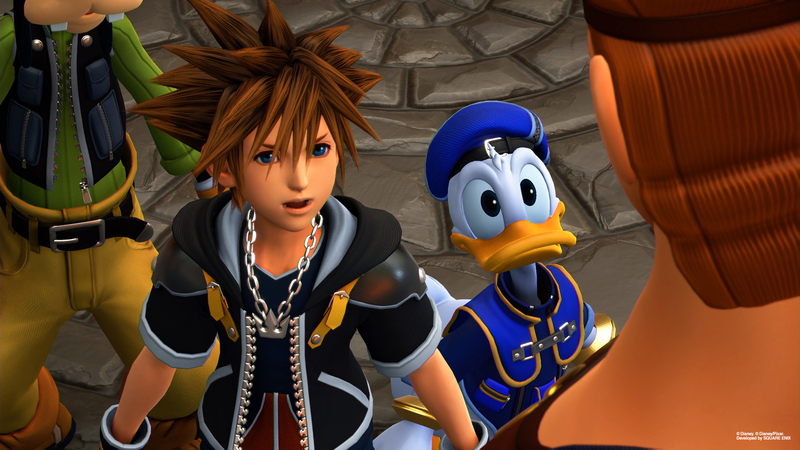 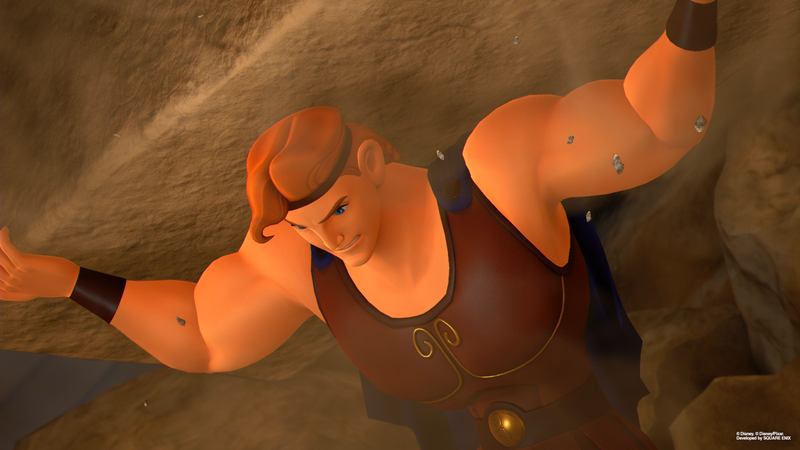 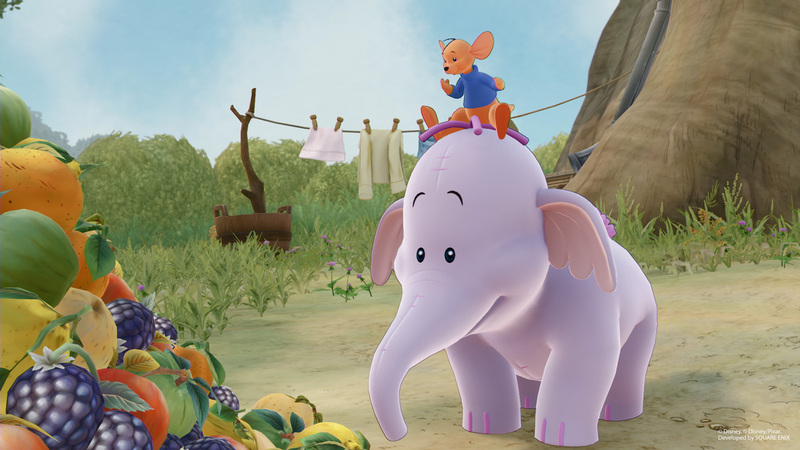 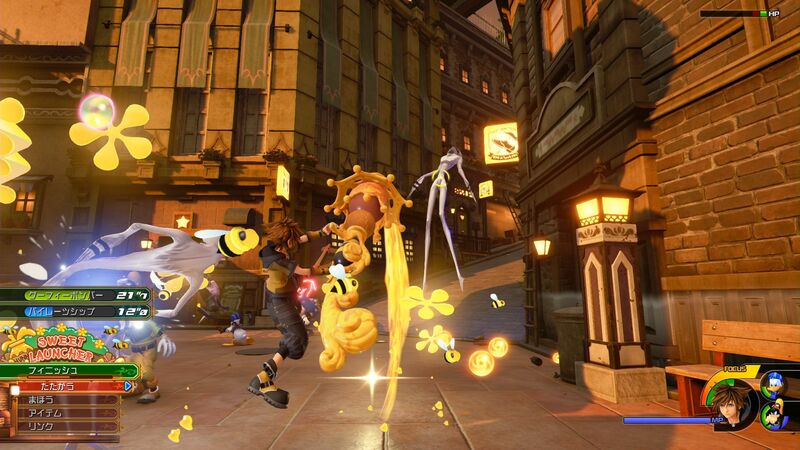 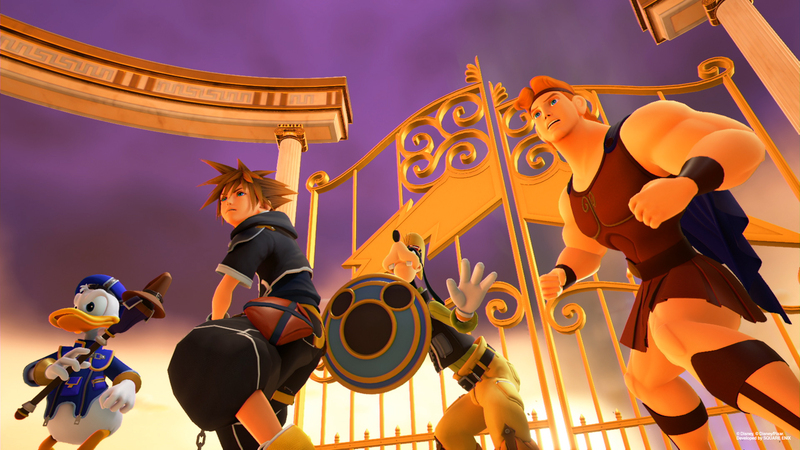 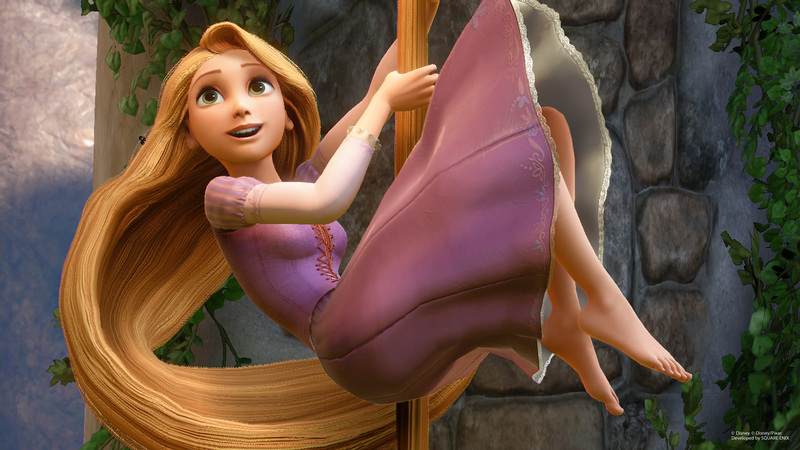 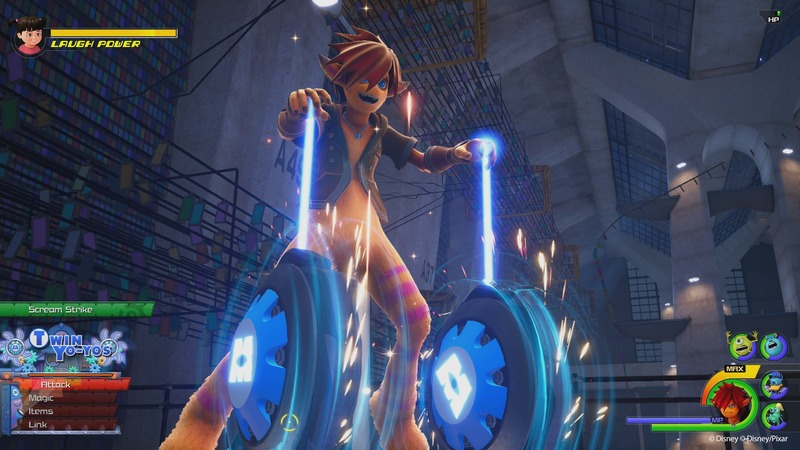 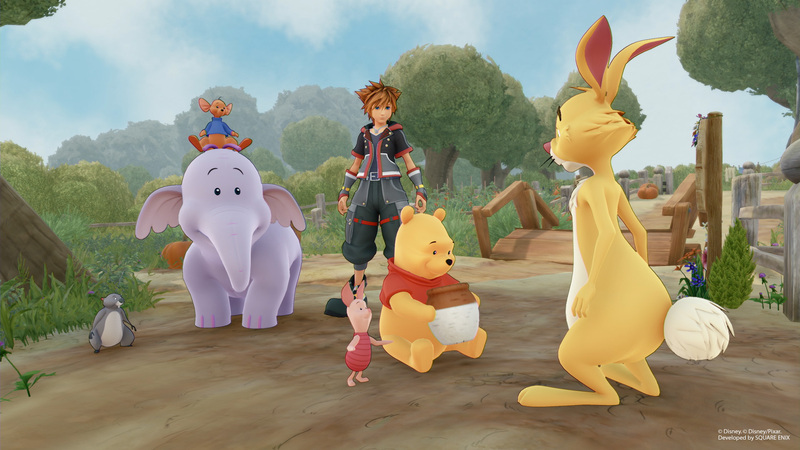 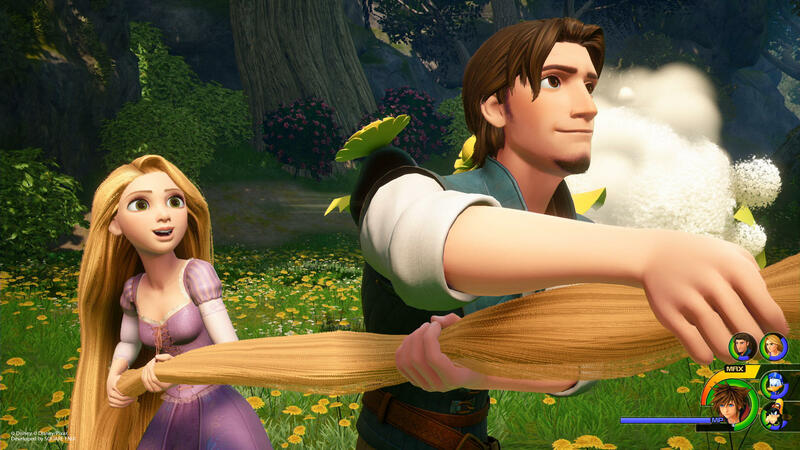 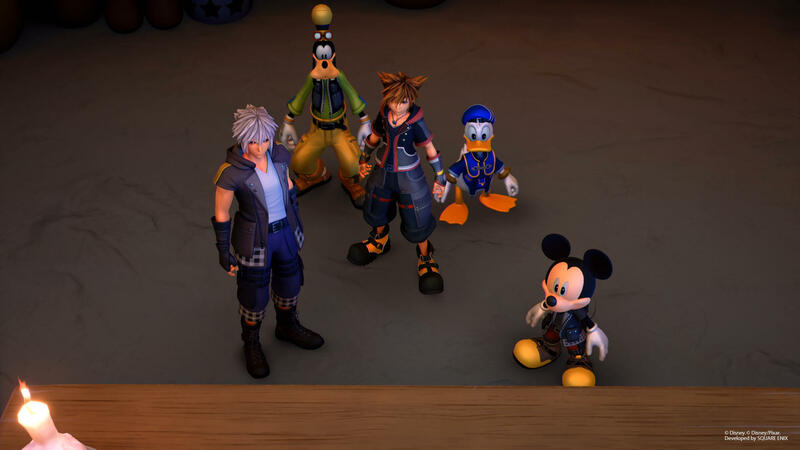 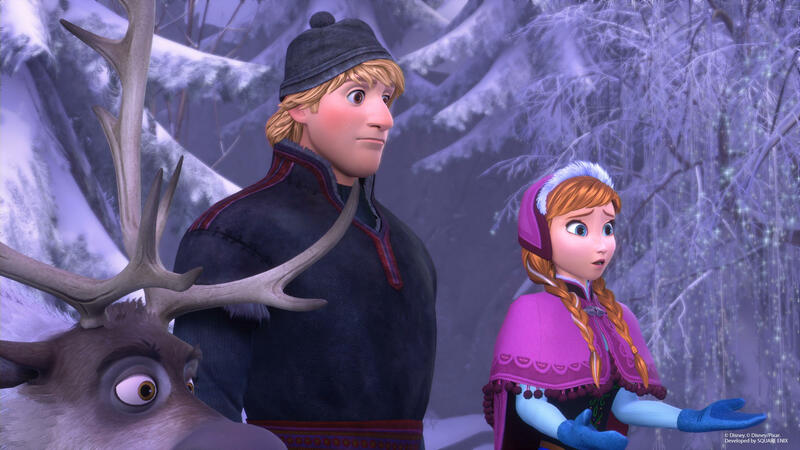 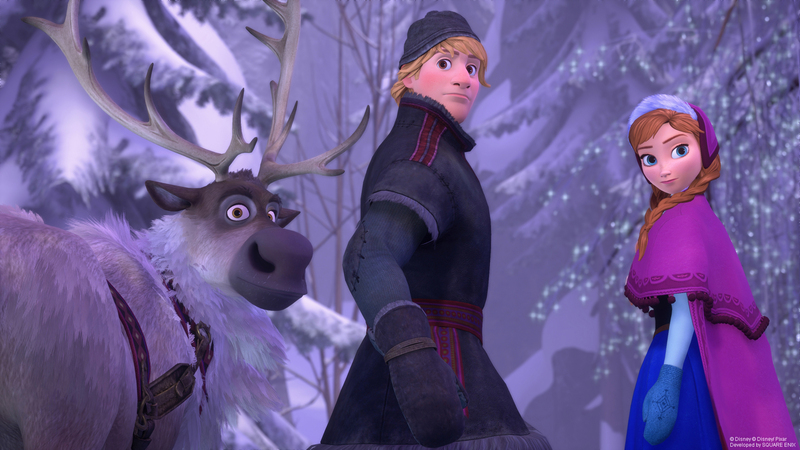 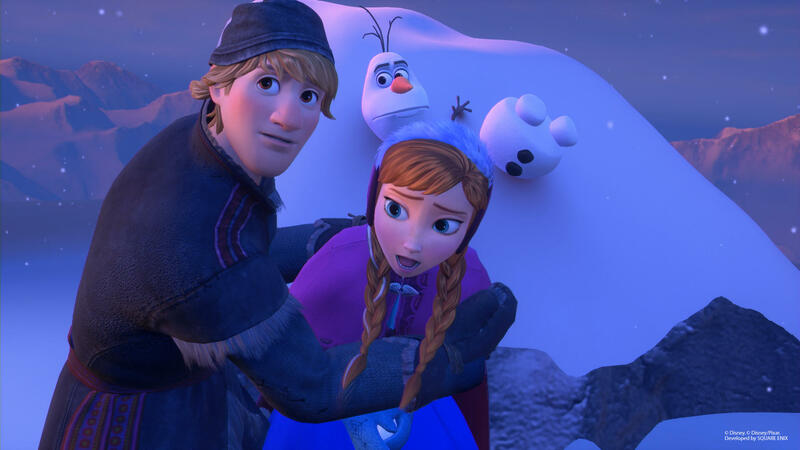 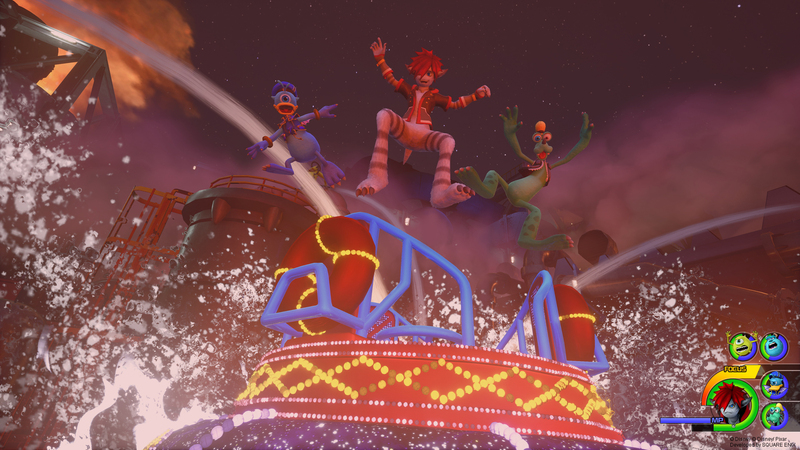 Kingdom Hearts III will see Sora, Donald, and Goofy travel to the world of Disneys’ Tangled. 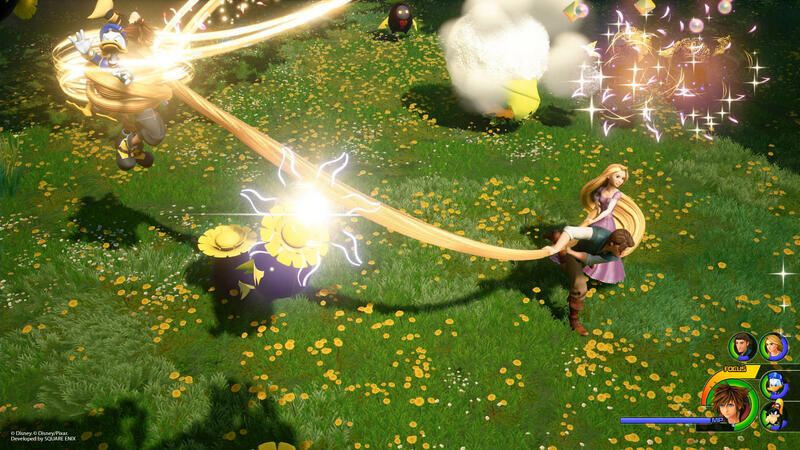 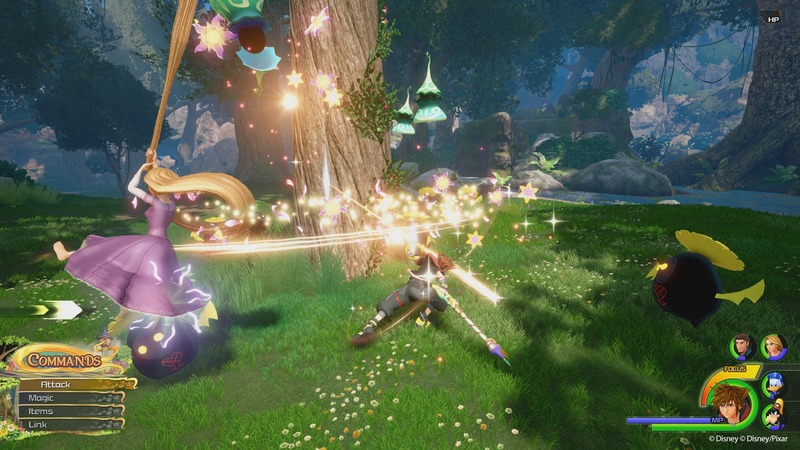 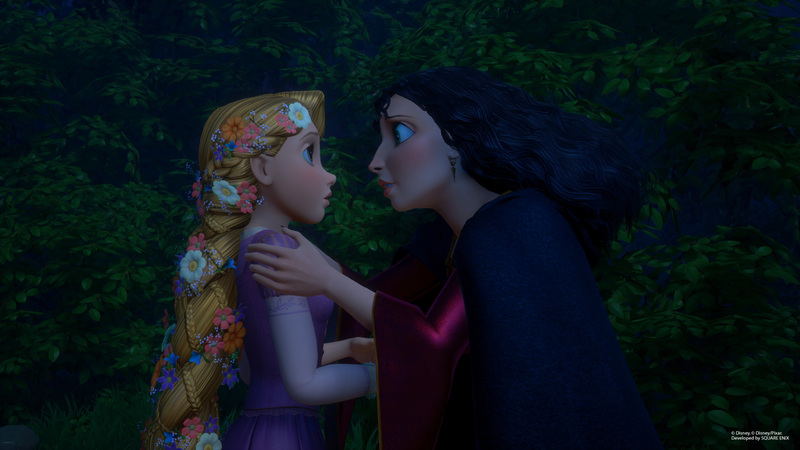 Rapunzel and Flynn will join the trio in their battle against the Heartless. 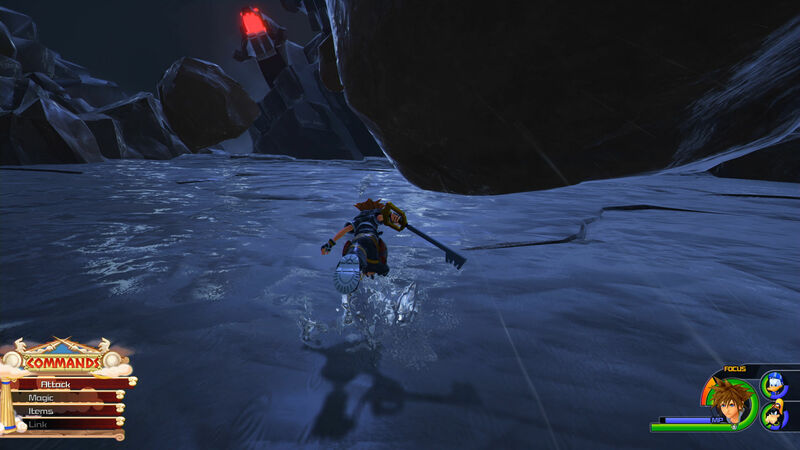 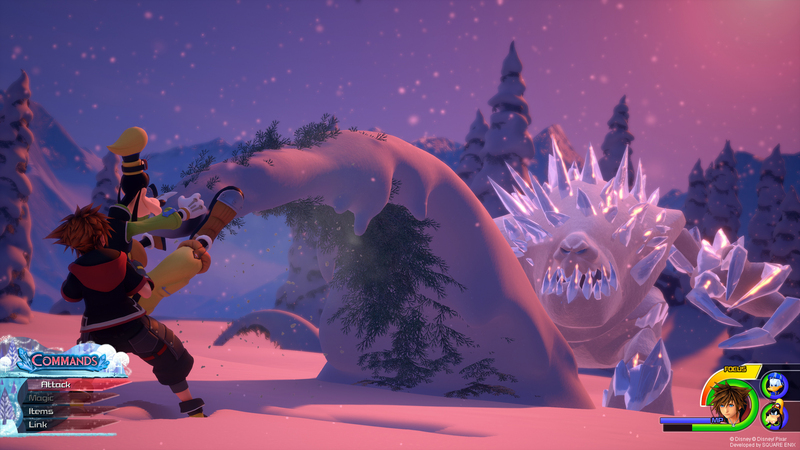 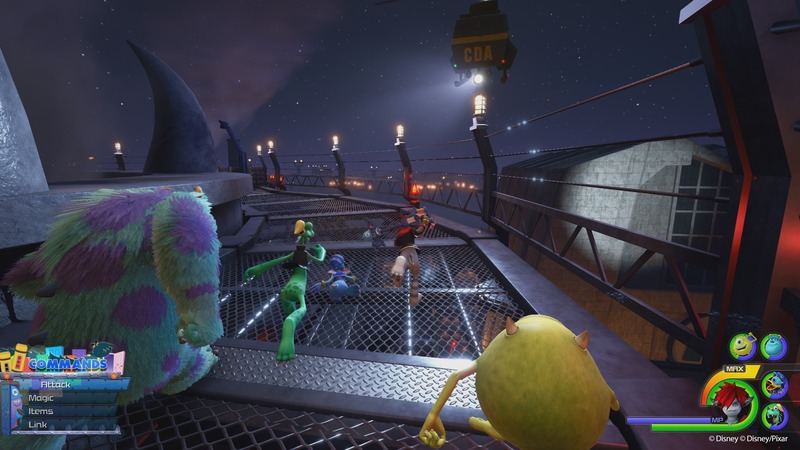 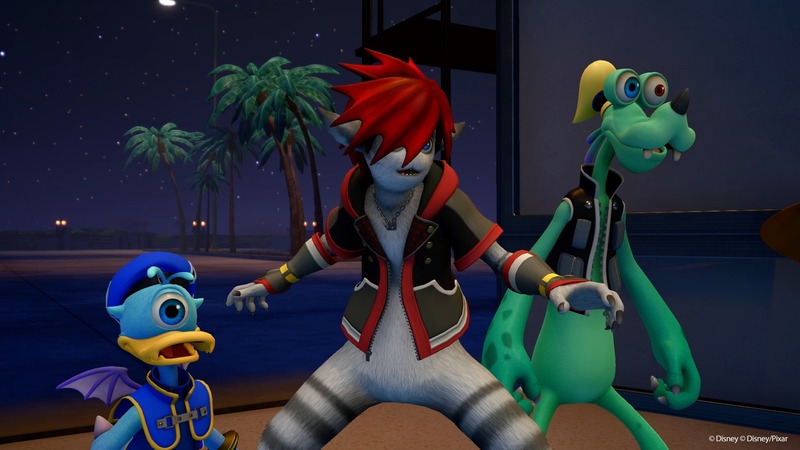 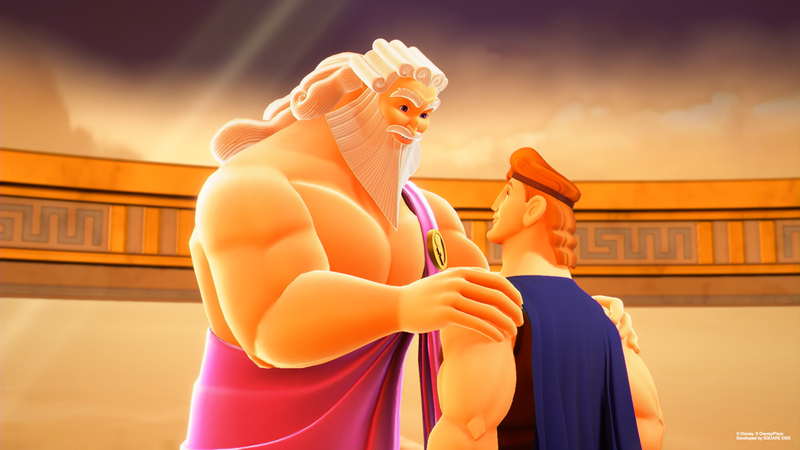 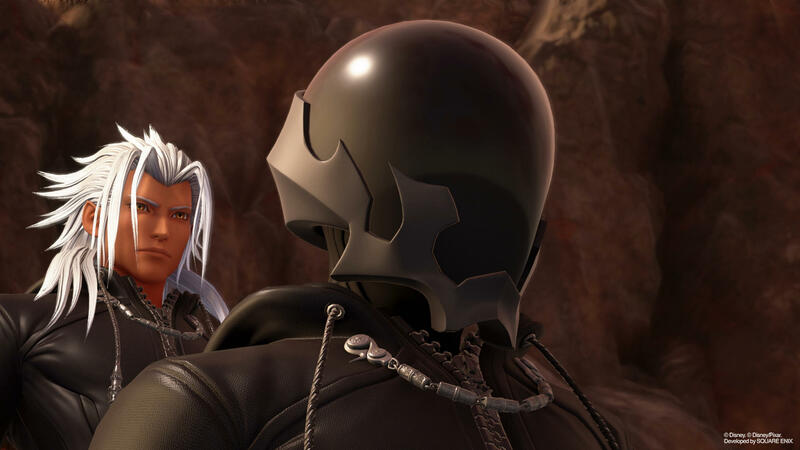 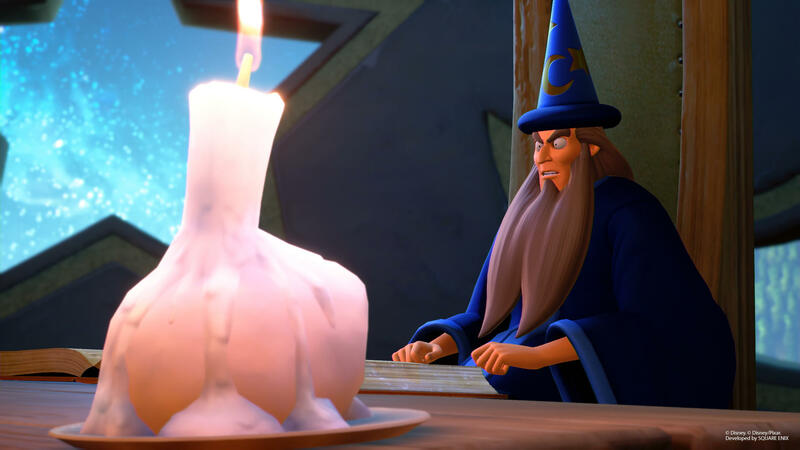 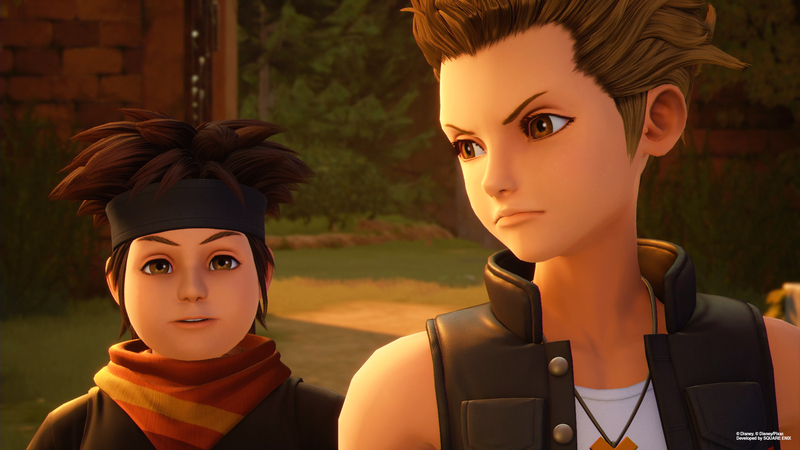 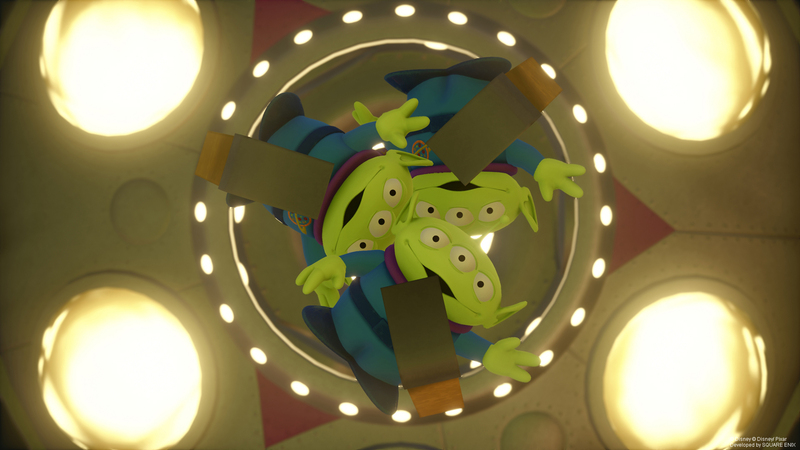 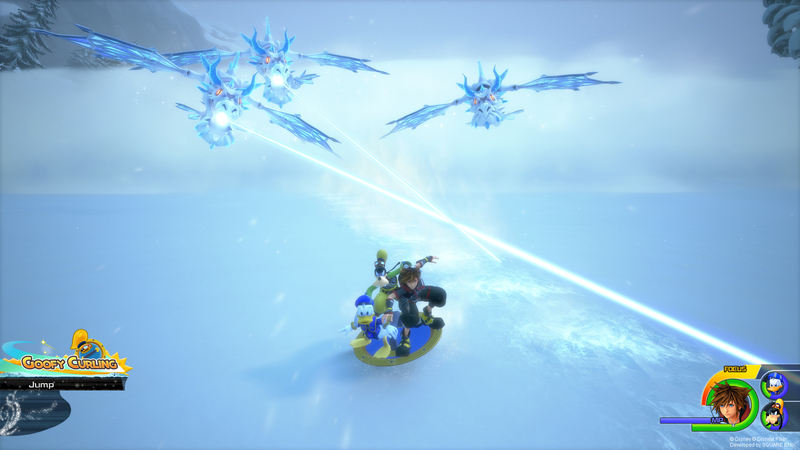 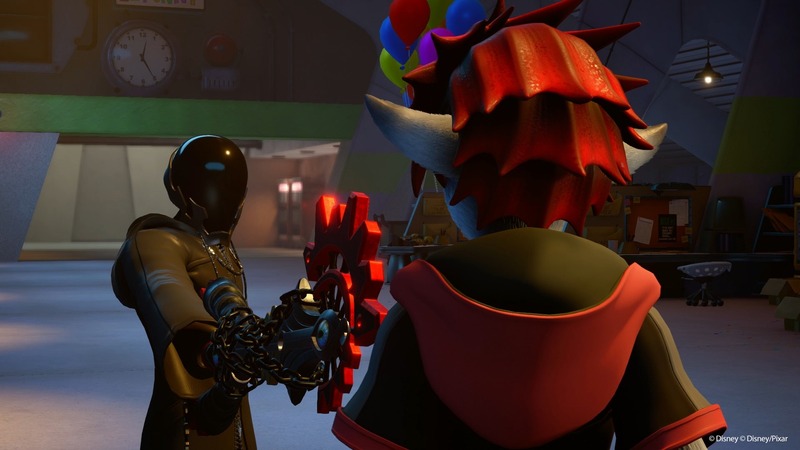 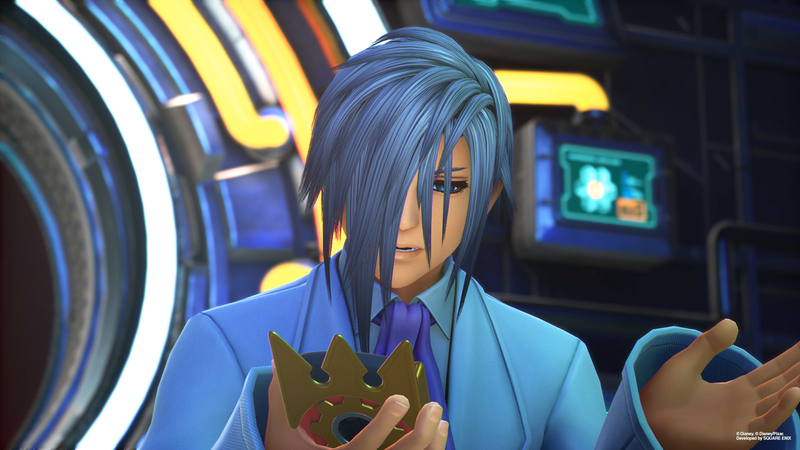 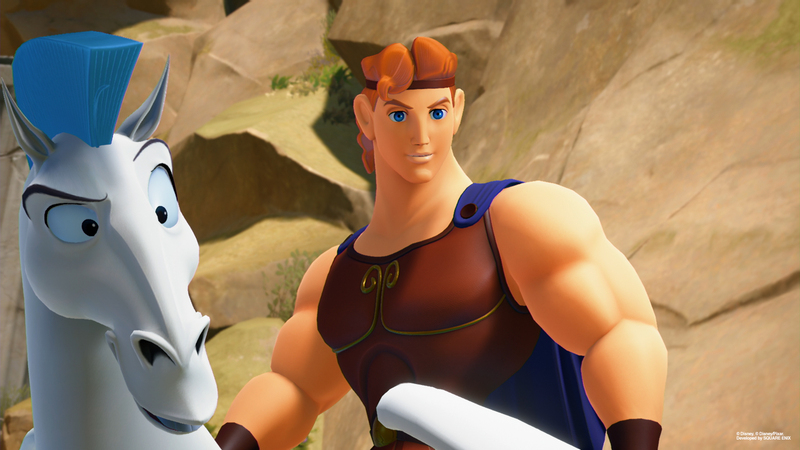 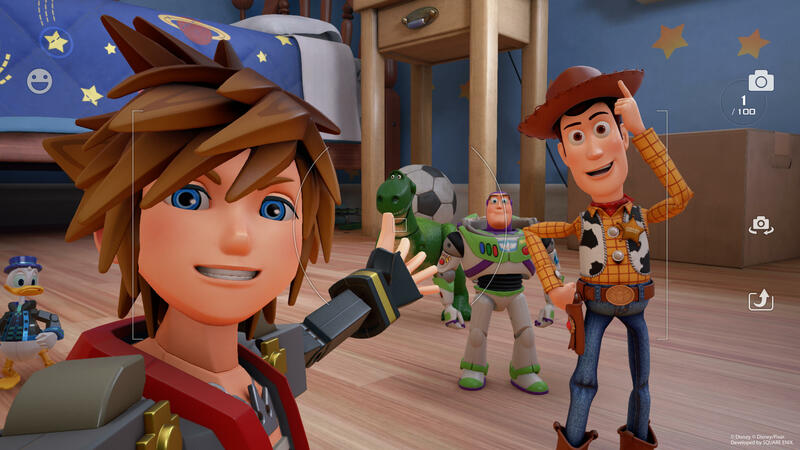 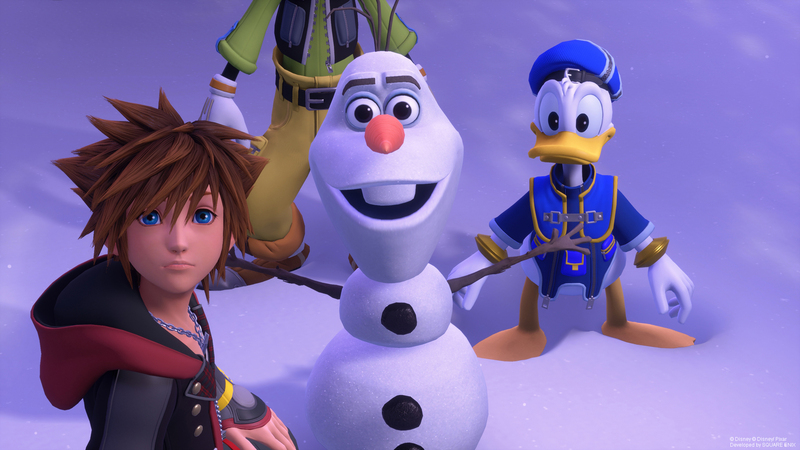 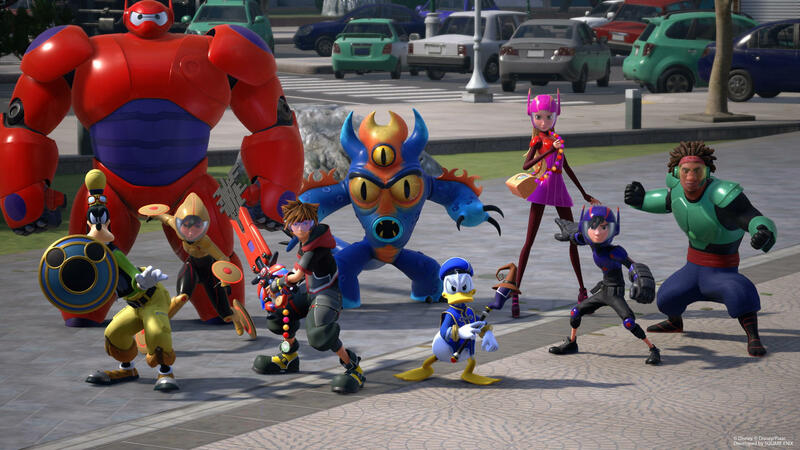 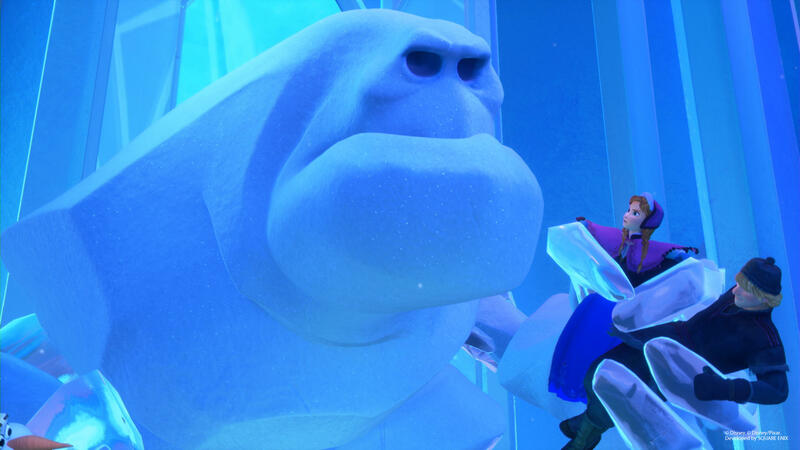 A new batch of Kingdom Hearts III screenshots show some familiar faces and places. 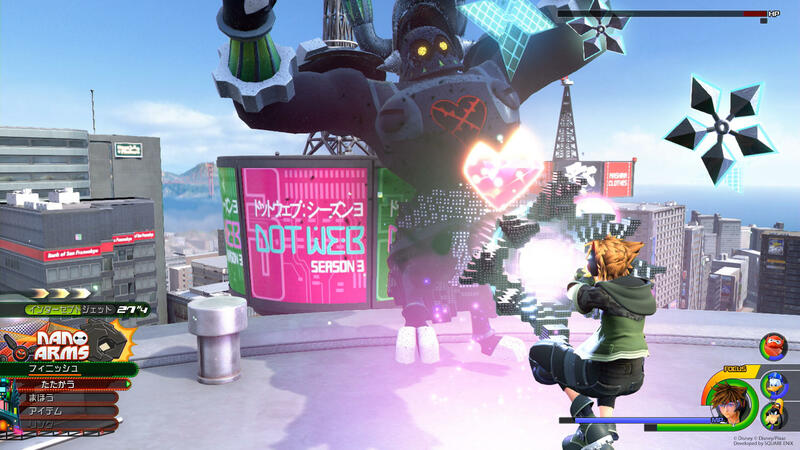 RPGamers will be returning to Twilight Town and Olympus in January. 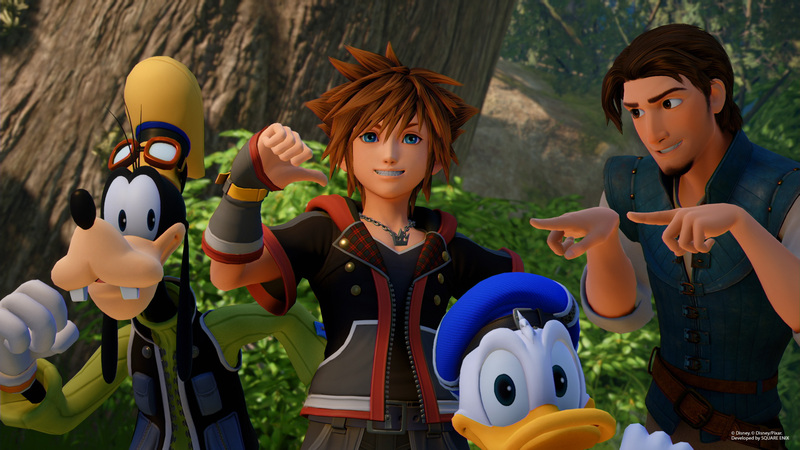 Kingdom Hearts III has lots of characters and thus lots of voice actors. 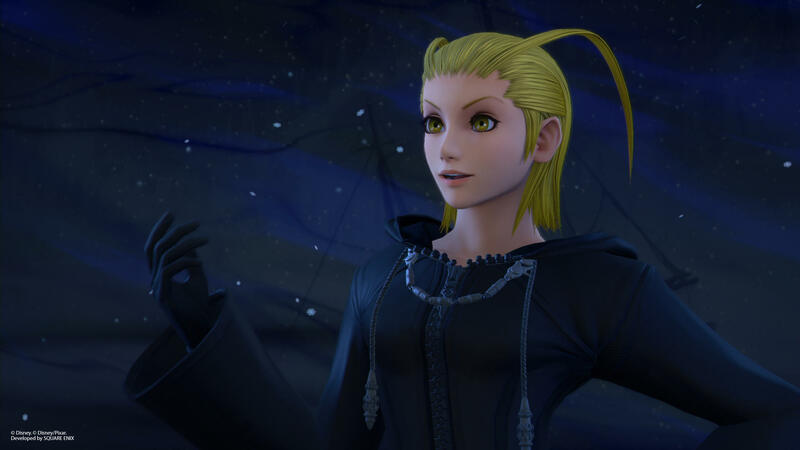 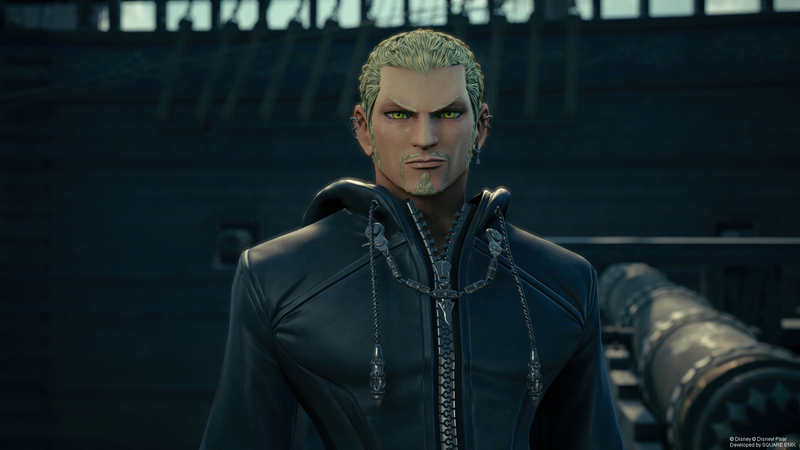 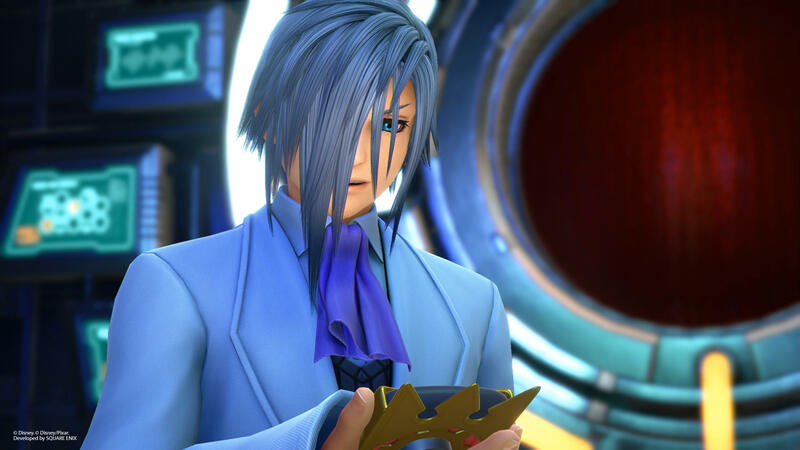 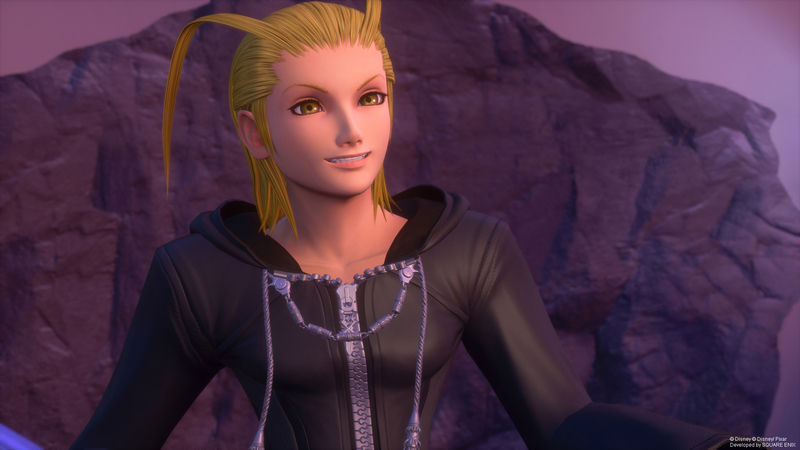 Square Enix has reveled a number of the cast members who are reprising their roles from elsewhere. 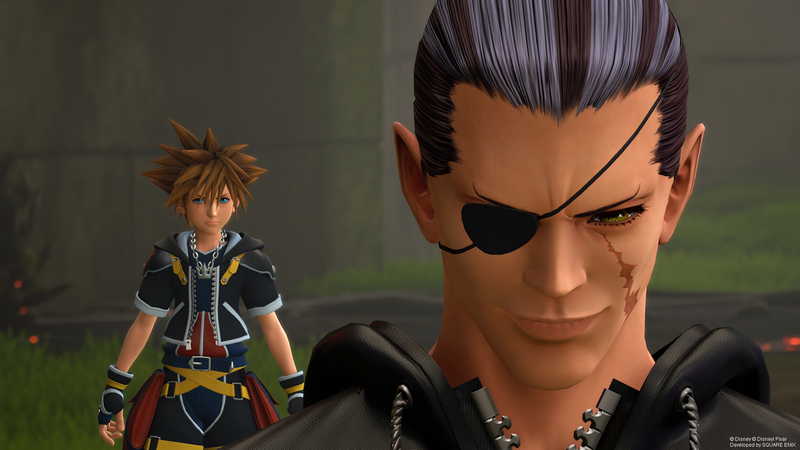 Square Enix has been hosting various presentations throughout TGS for its many upcoming releases. 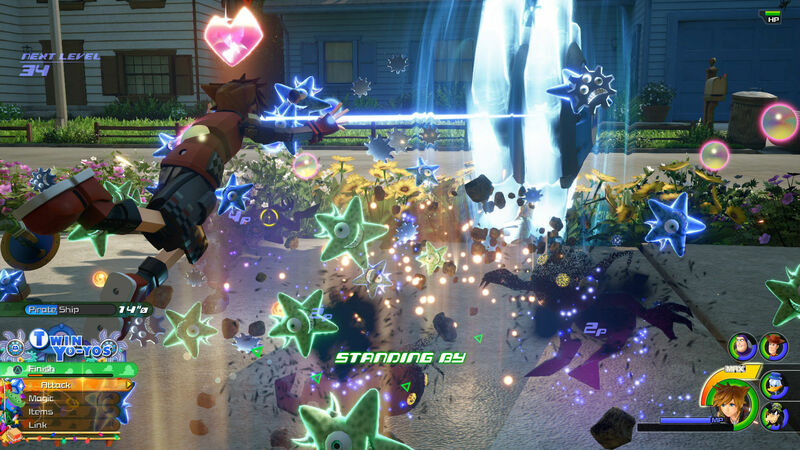 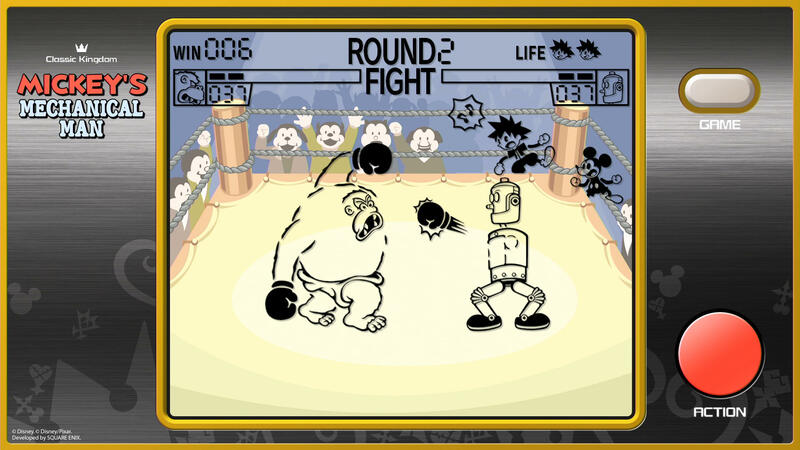 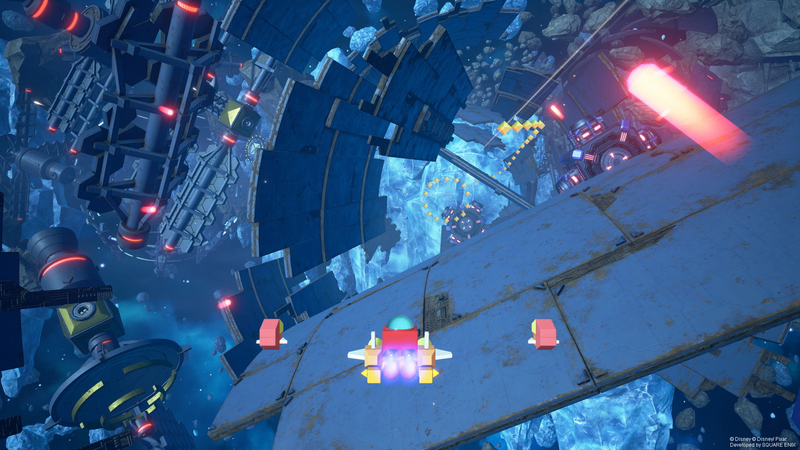 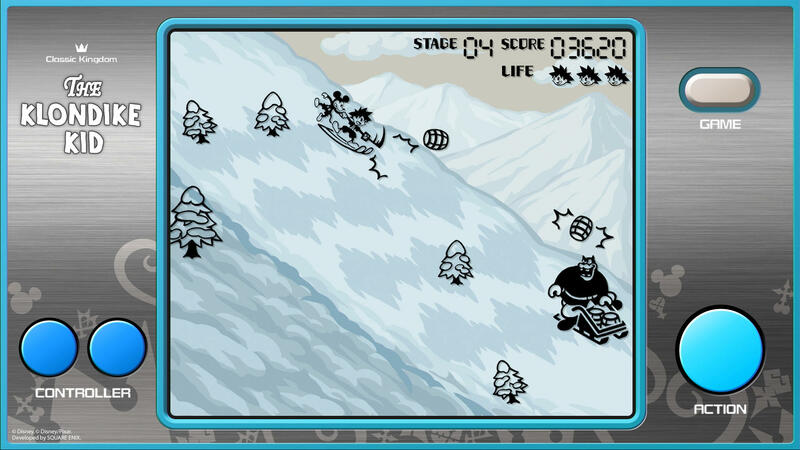 As part of those presentations, a number of the RPGs on show received substantial amounts of gameplay footage. 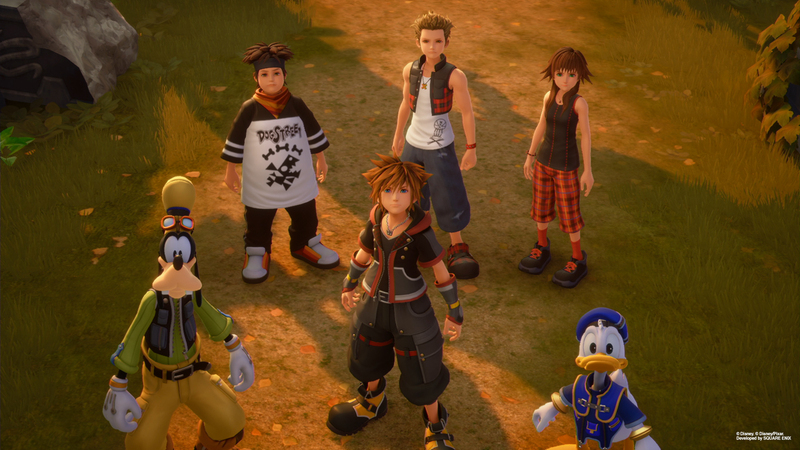 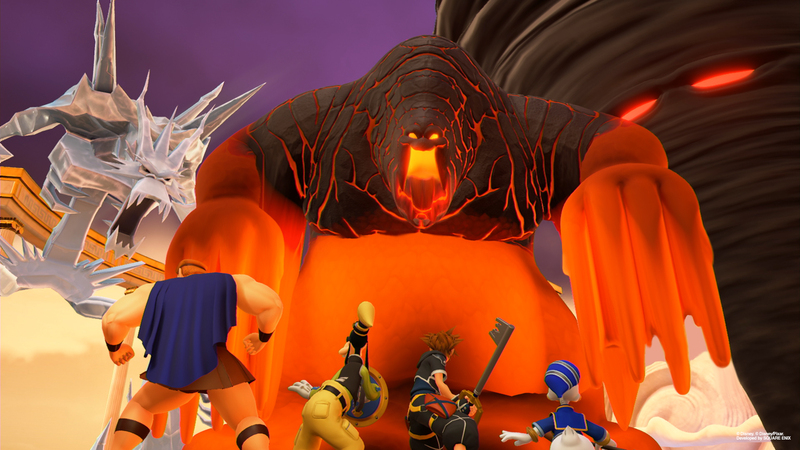 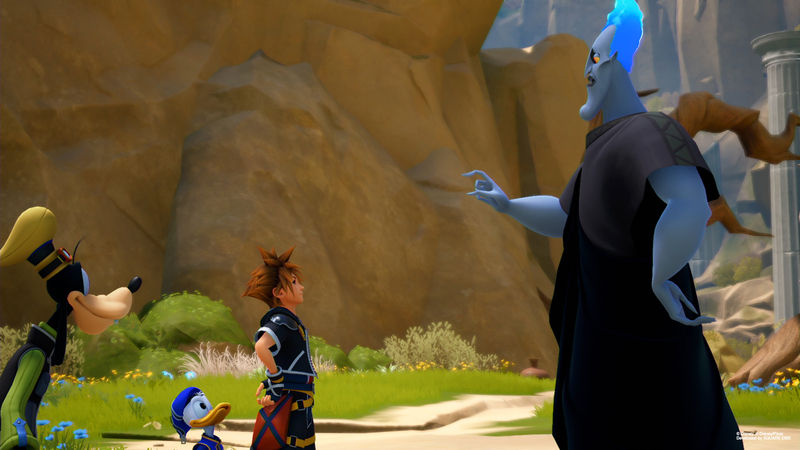 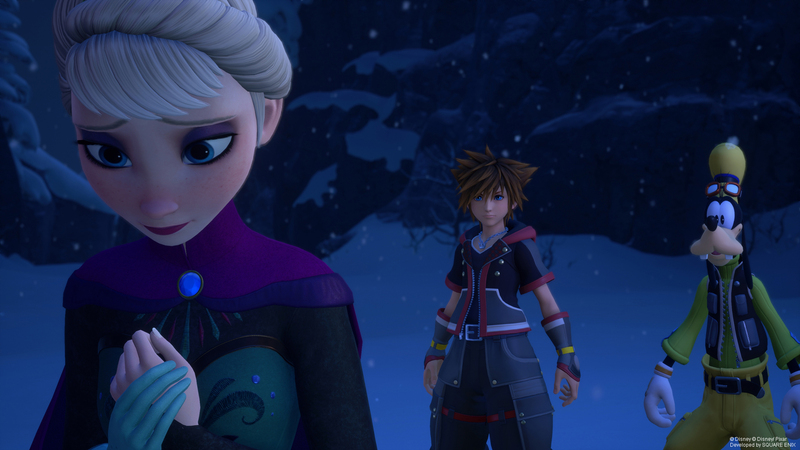 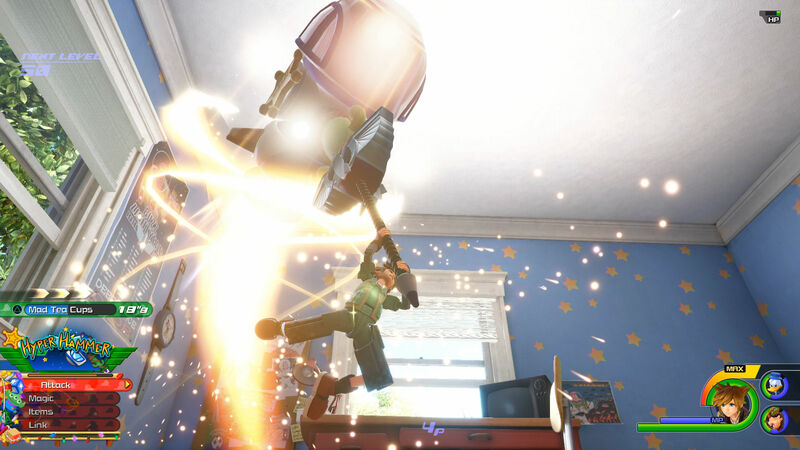 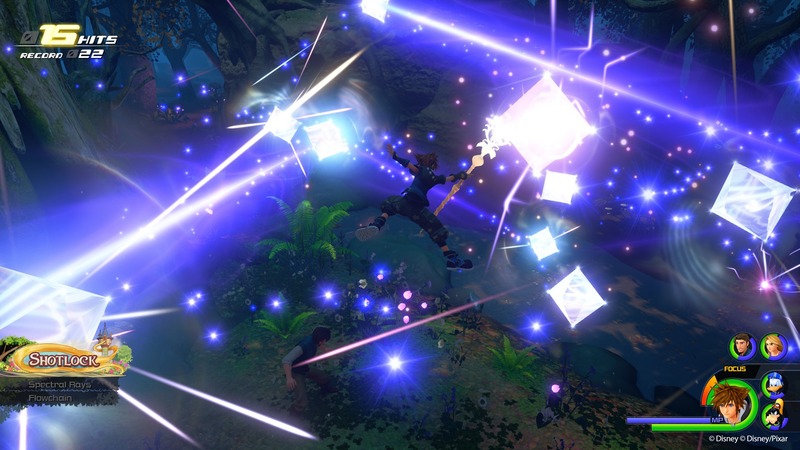 A new extended Kingdom Hearts III trailer is out now ahead of the game’s TGS appearance. 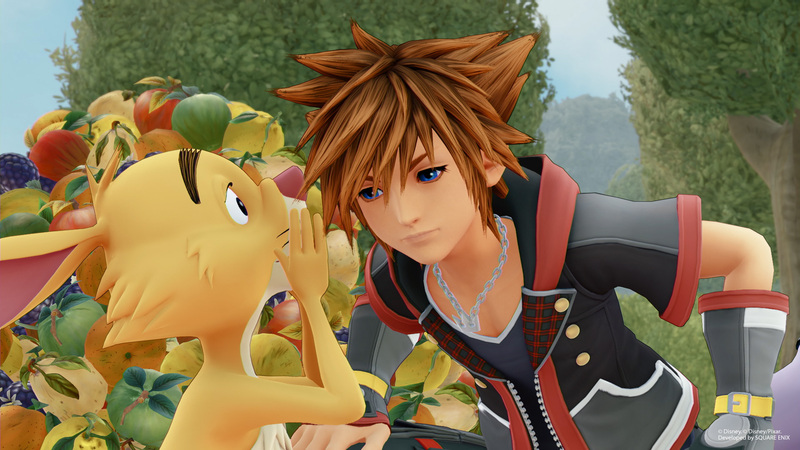 The wait for January is steadily approaching its conclusion. 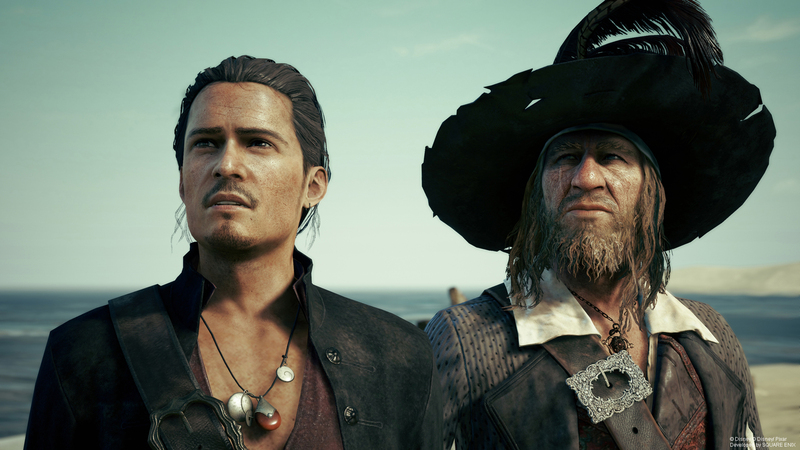 Sony held its annual pre-TGS presentation showing some upcoming PlayStation titles. 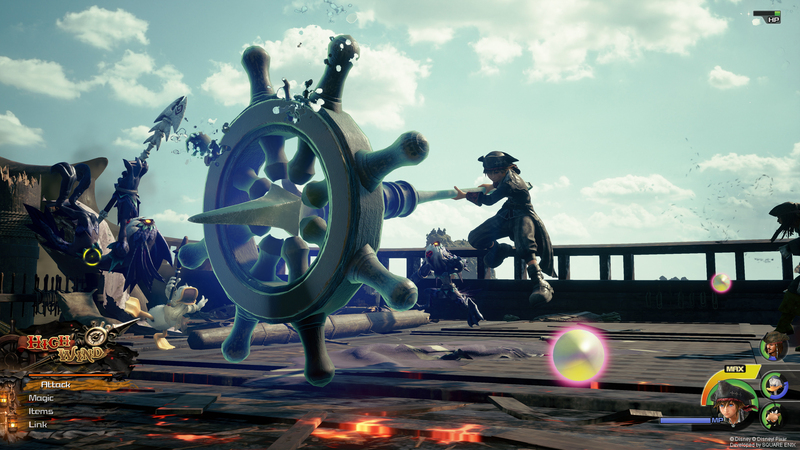 A number of RPGs appeared, including new teasers for projects from CyGames and Studio Istolia, a Final Fantasy remaster, a release date for God Eater 3, and a brand new title from the studio behind Yakuza. 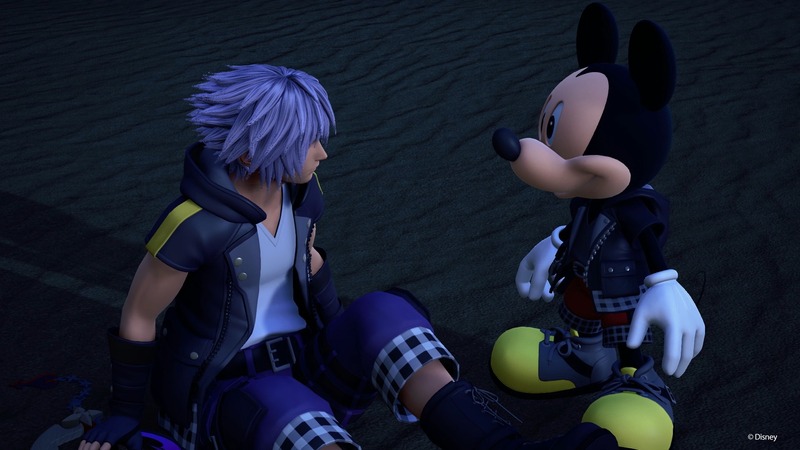 I have always been baffled by Kingdom Hearts even though its something that should appeal to me. 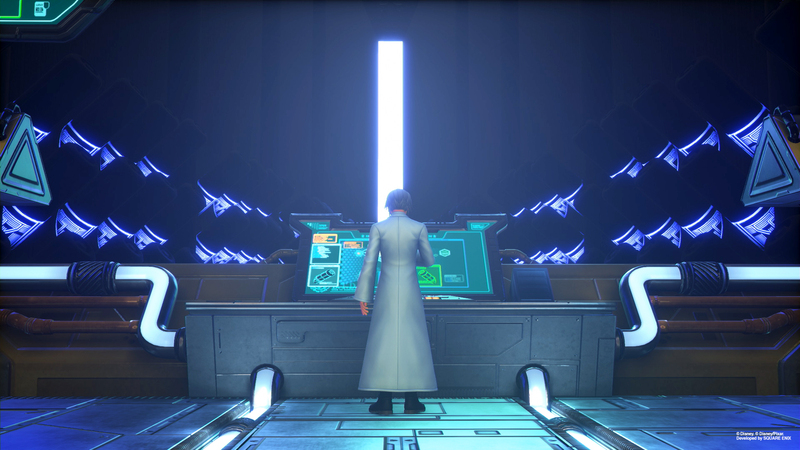 Then Square Enix attendants accidentally sent me to the wrong kiosk desk so I had the opportunity to play the upcoming third entry. 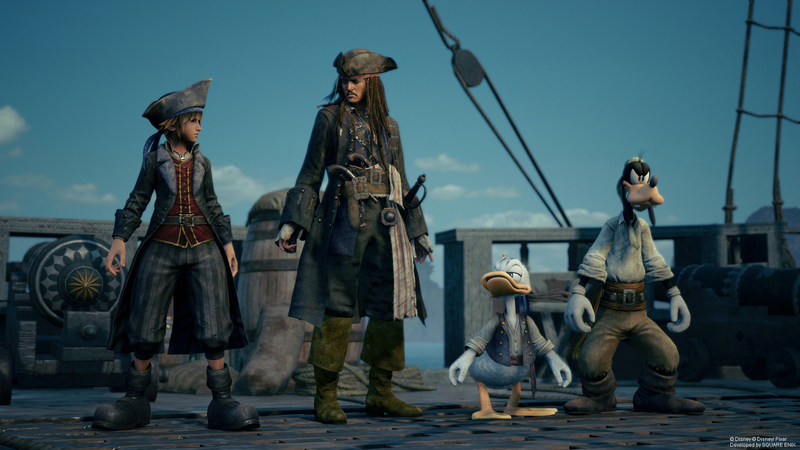 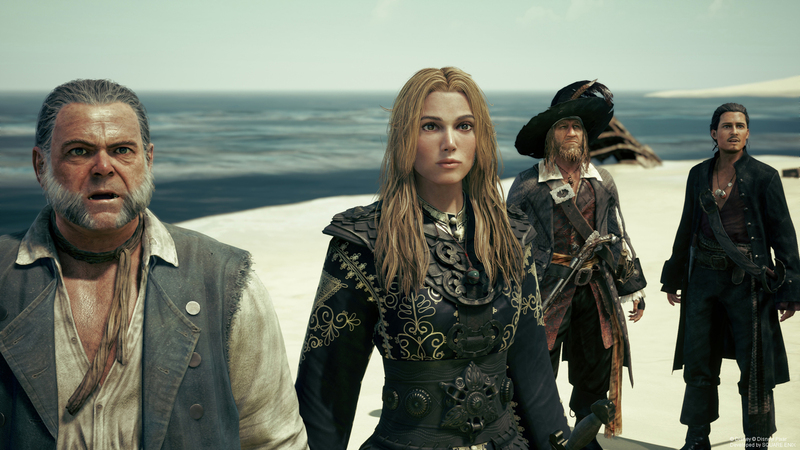 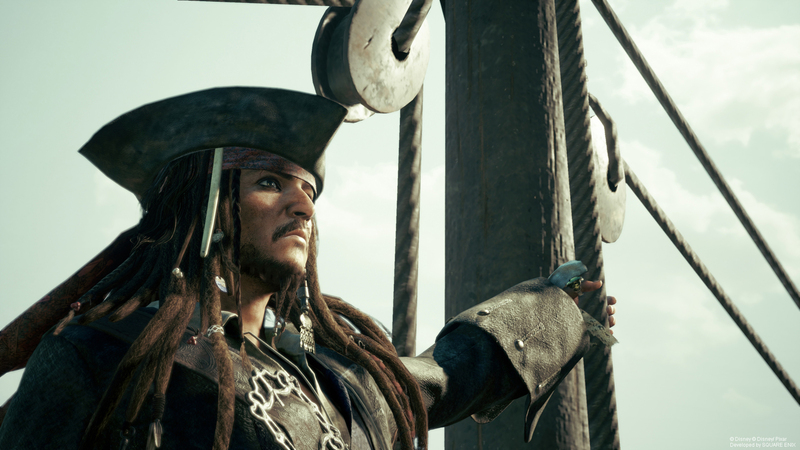 In addition to the multiple trailers Square Enix provided, there is also some new gameplay footage. 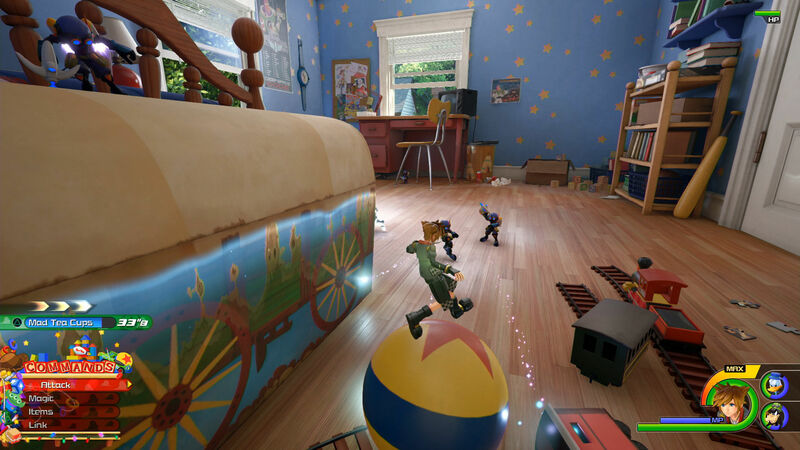 Sony’s PlayStation Live from E3 show spent around ten minutes in the Hercules and Toy Story worlds. 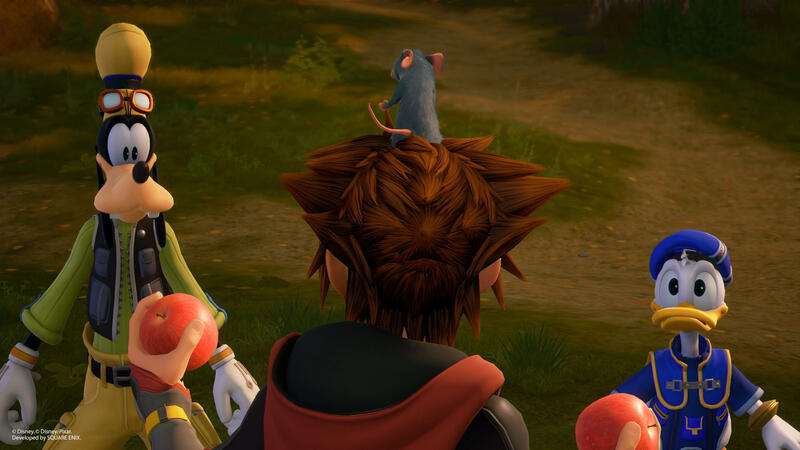 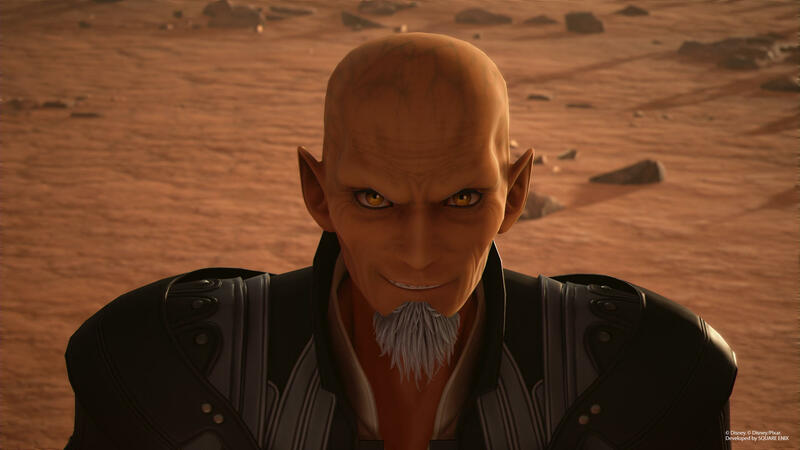 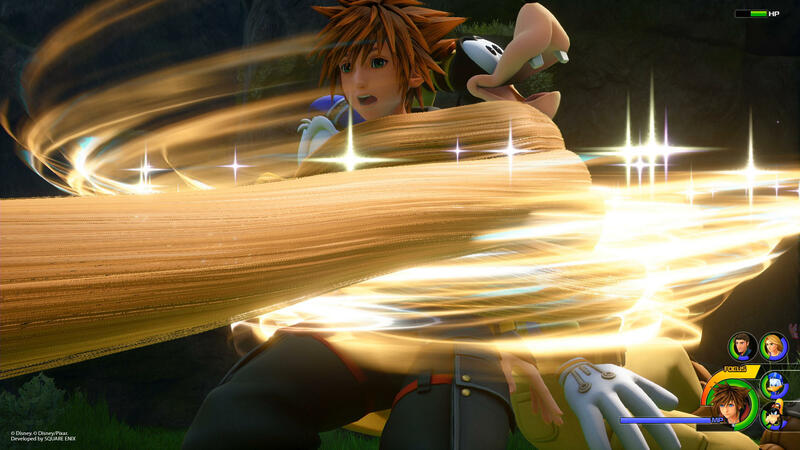 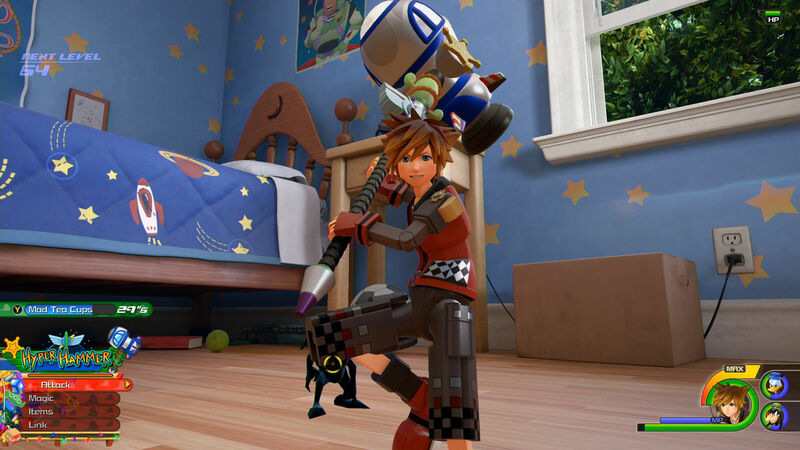 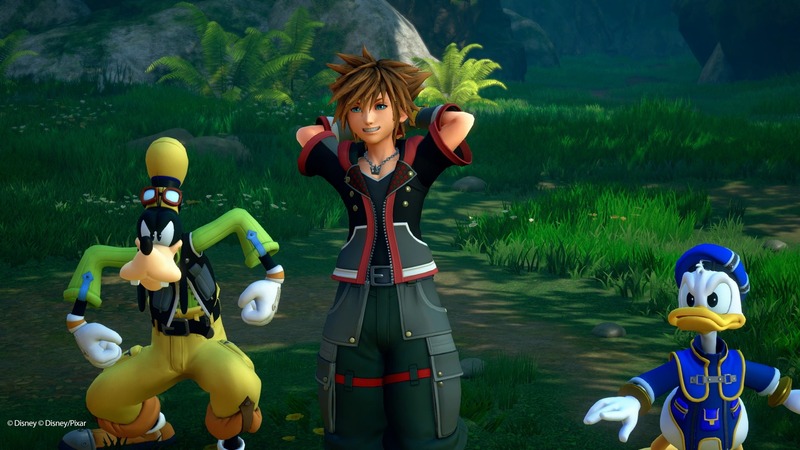 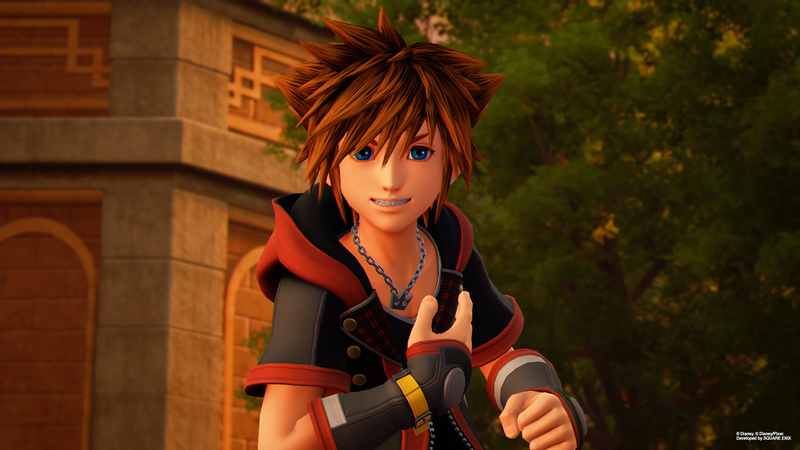 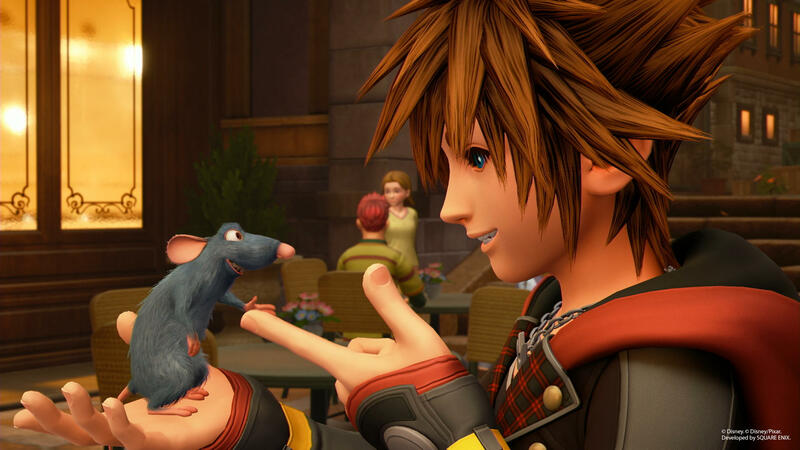 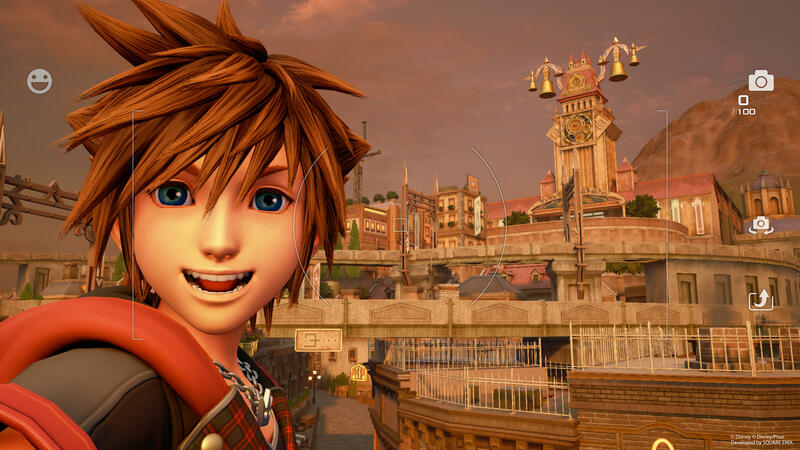 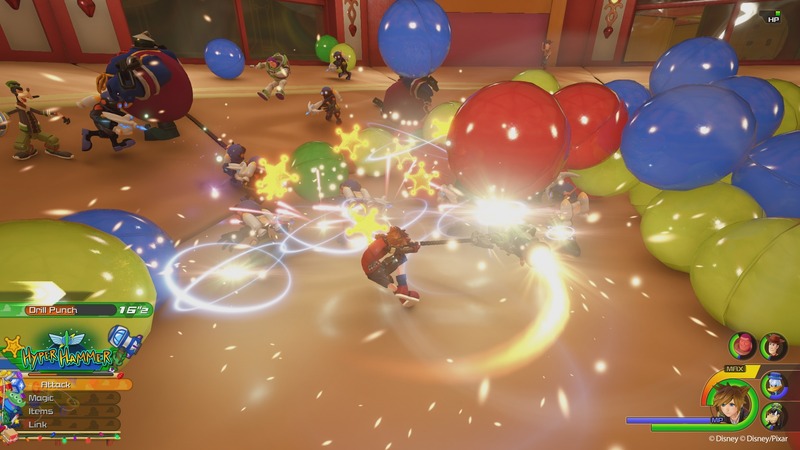 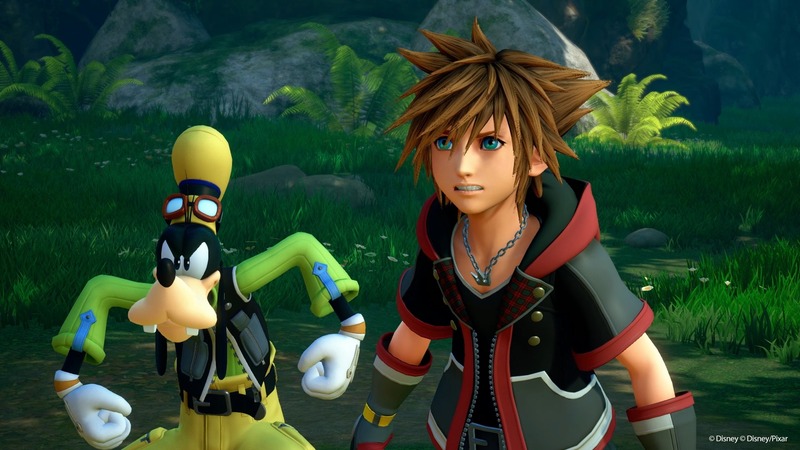 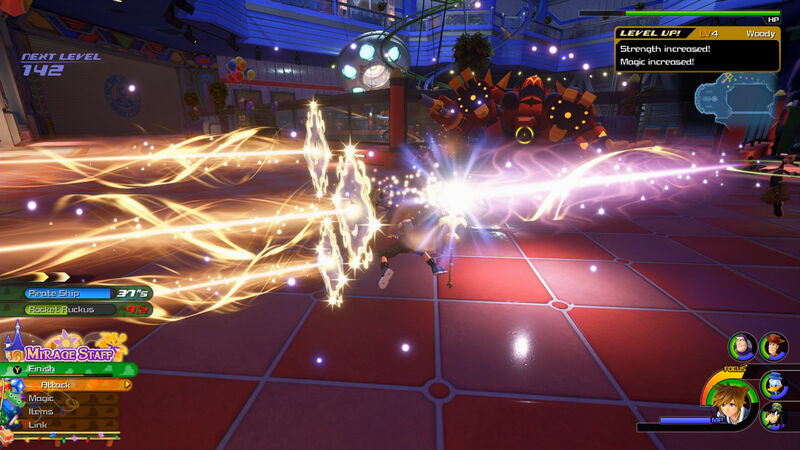 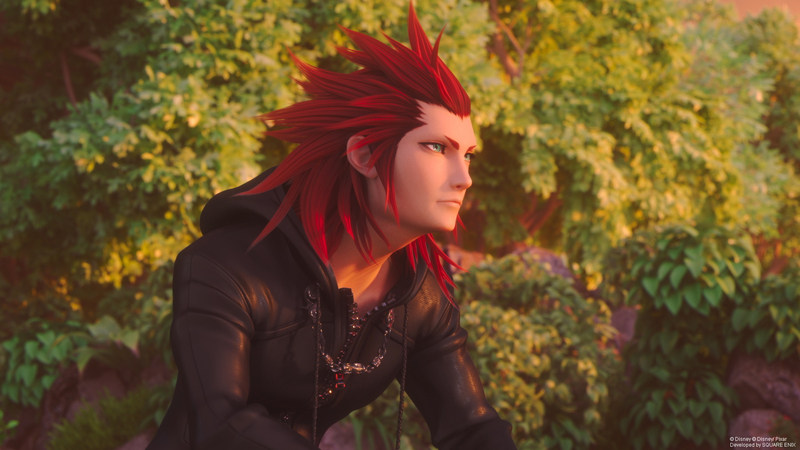 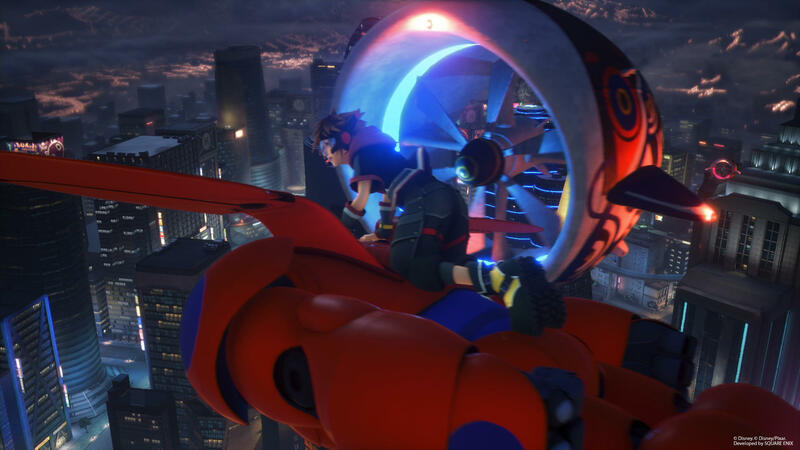 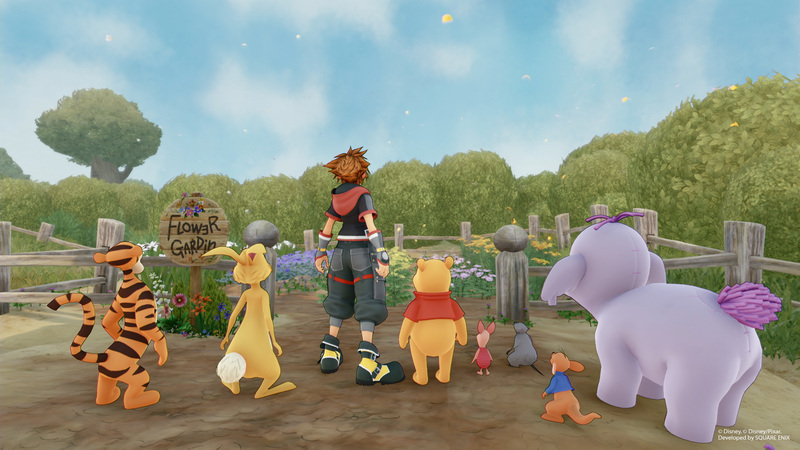 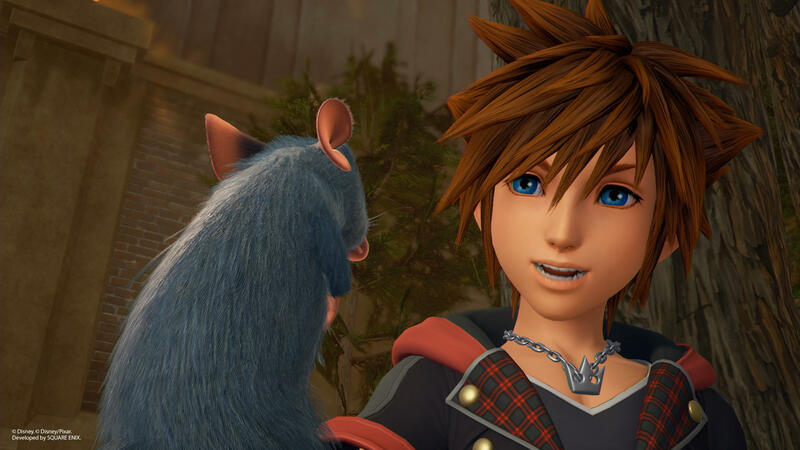 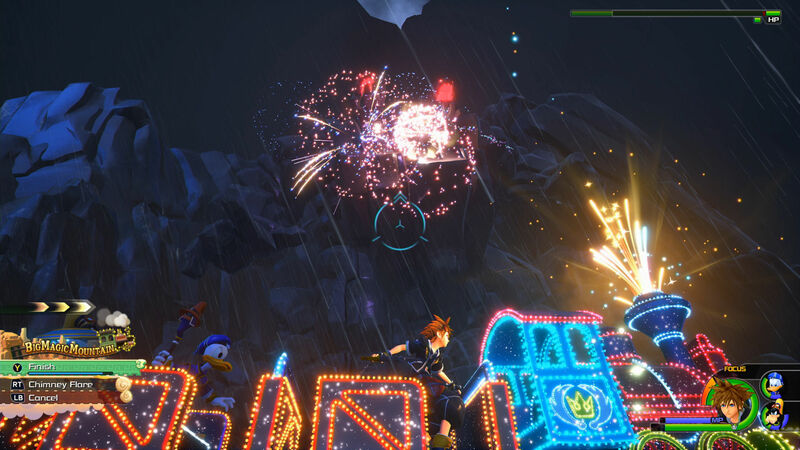 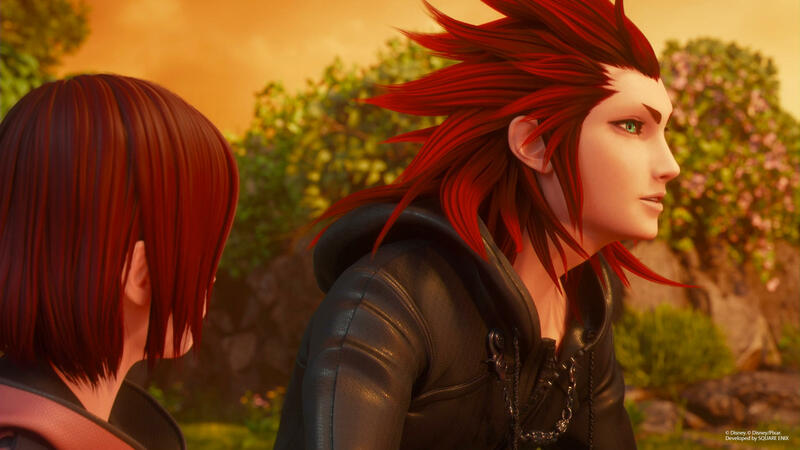 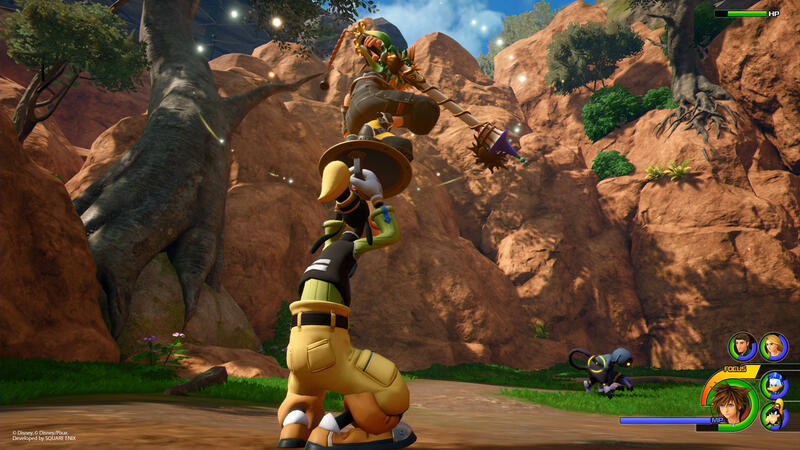 There were two different demos for Kingdom Hearts III at E3 2018, and RPGamer had the chance to check out both of them. 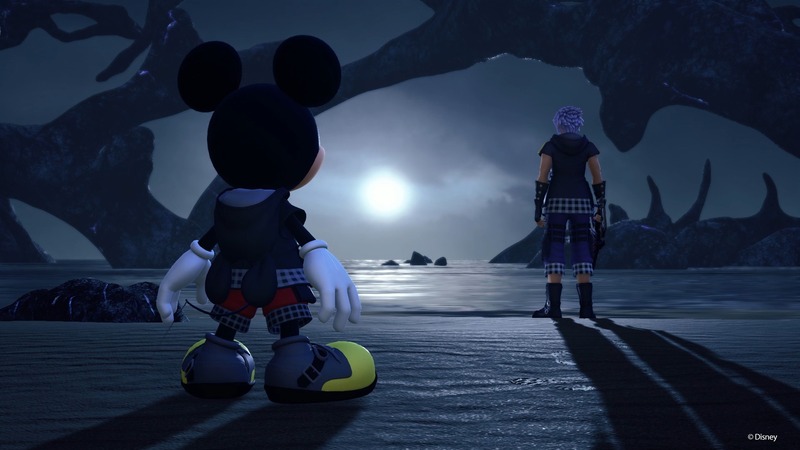 Were they Final? 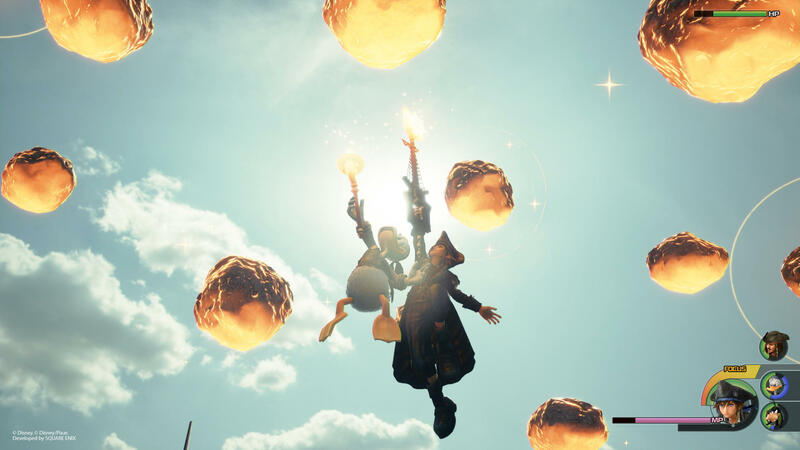 Were they Fantasy? 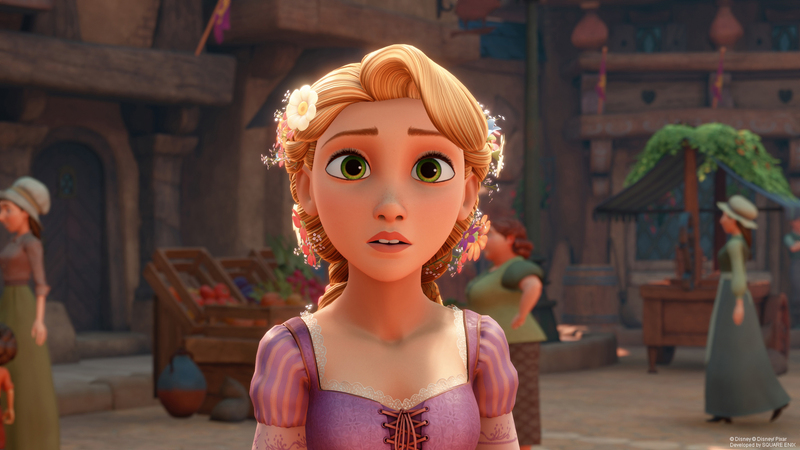 Were they Disney? 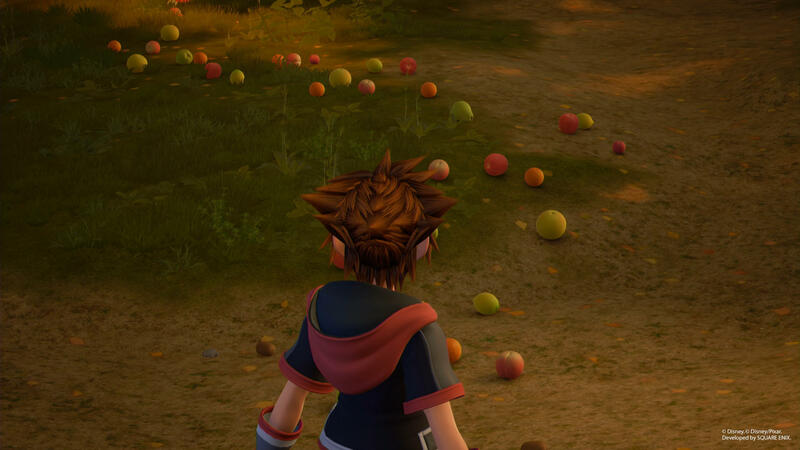 Or were they just Simple and Clean? 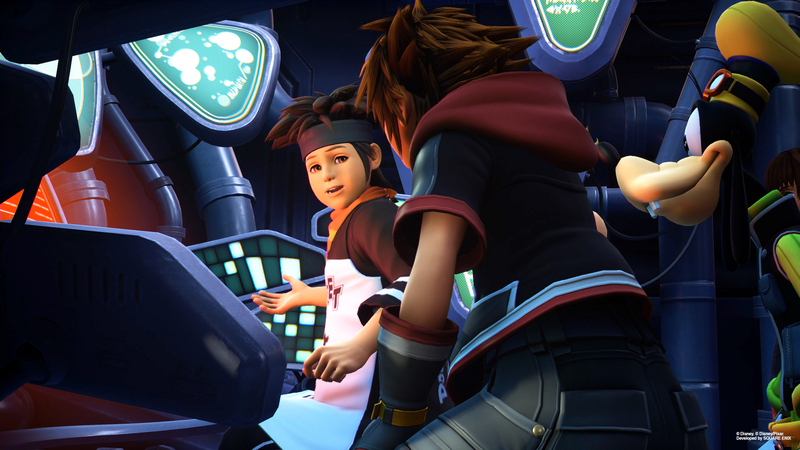 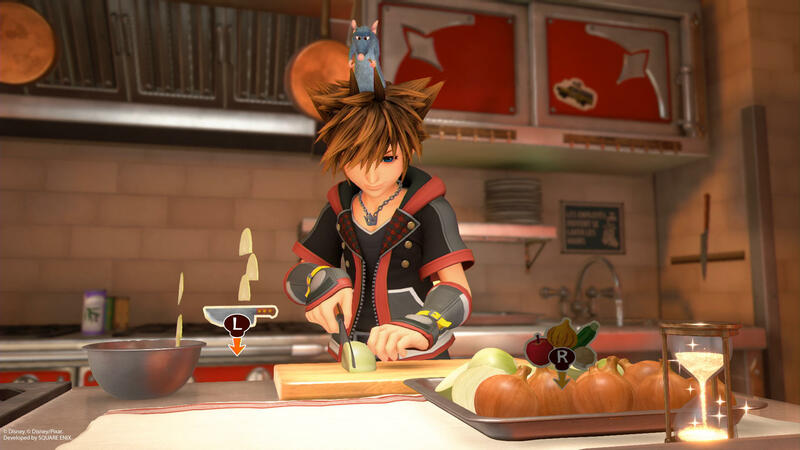 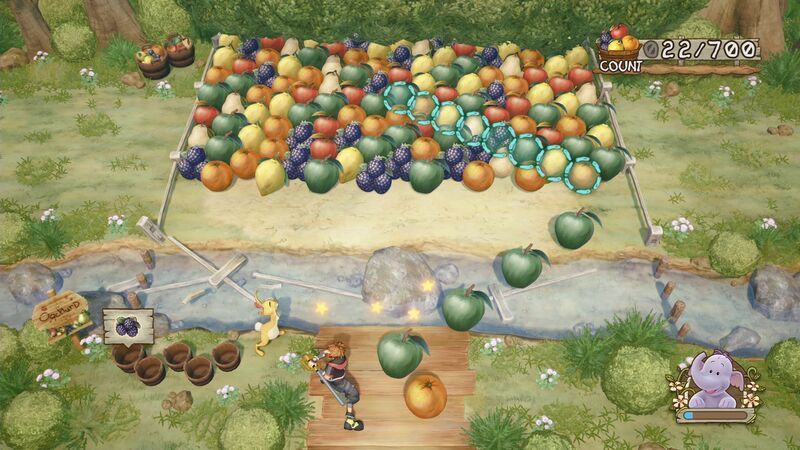 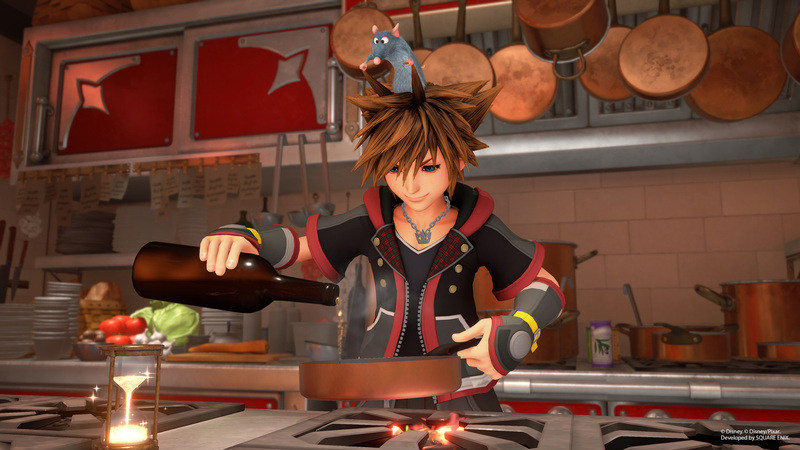 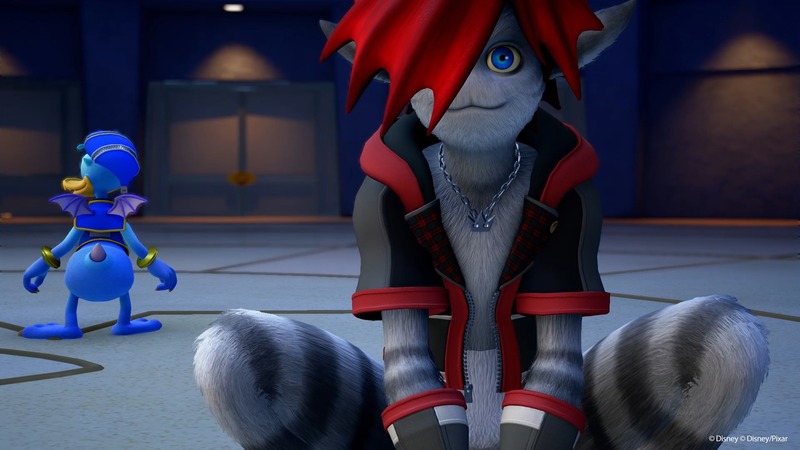 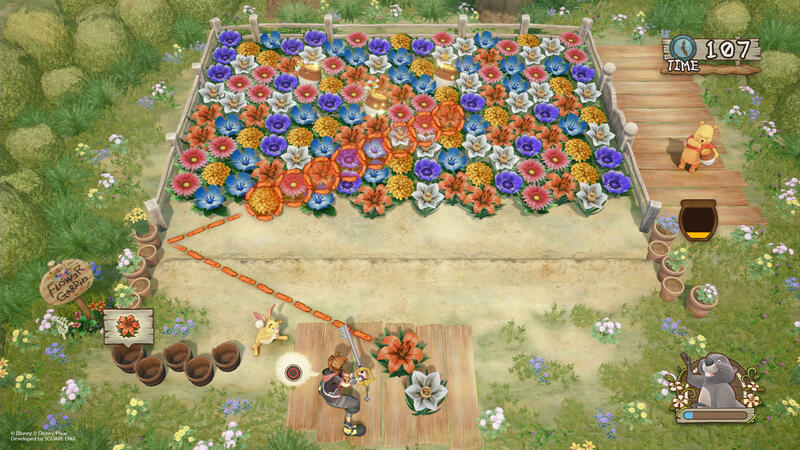 Once Sora stops messing around the plot picks up, but that takes him the vast majority of the game to do. 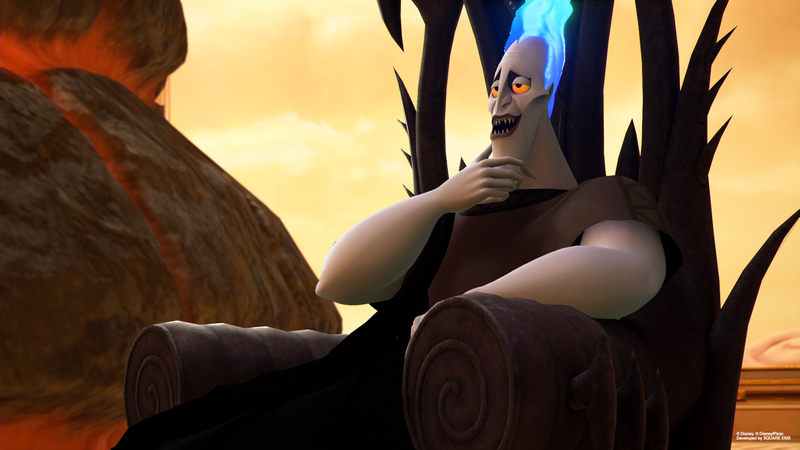 All of the antagonists appear, with no idea what is it exactly they're trying to achieve.